Experimental processing of materials from fashion history opens up new interpretations of daily life in bygone times. Aalto University Professor Paula Hohti has been awarded a 2 million euro ERC Consolidator Grant by the European Research Council (ERC). 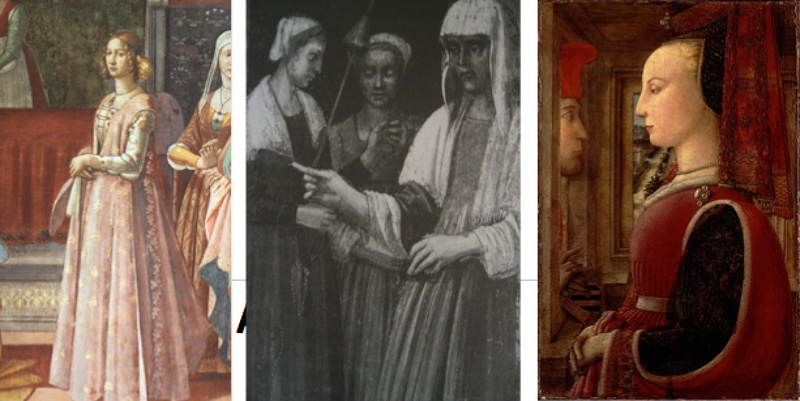 The five-year project, entitled Re-fashioning the Renaissance: Popular Groups, Fashion and the Material and Cultural Significance of Clothing in Europe, 1550-1650, will investigate the meaning and spread of western fashion in 17th century Europe. 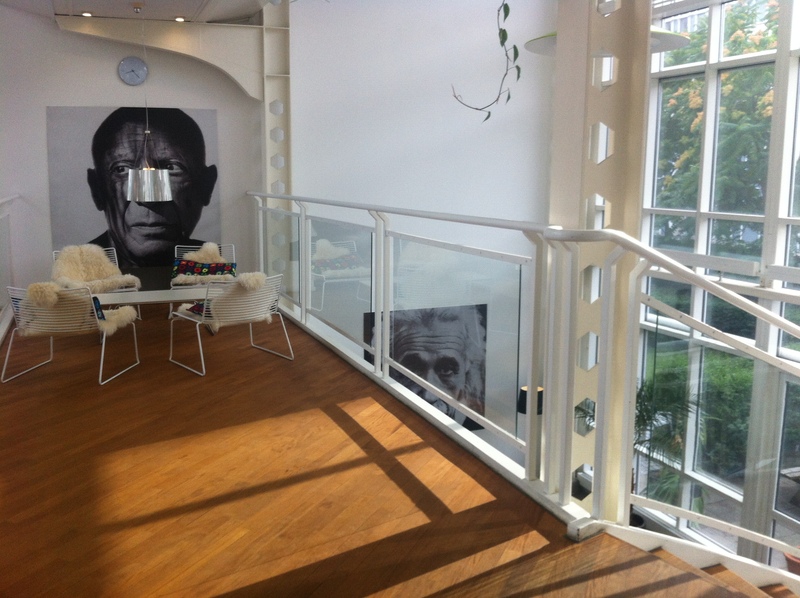 Ms Hohti is making a significant step forward for science in the study of fashion, culture and history. In this experimental research, the sense of touch will also be brought into play. 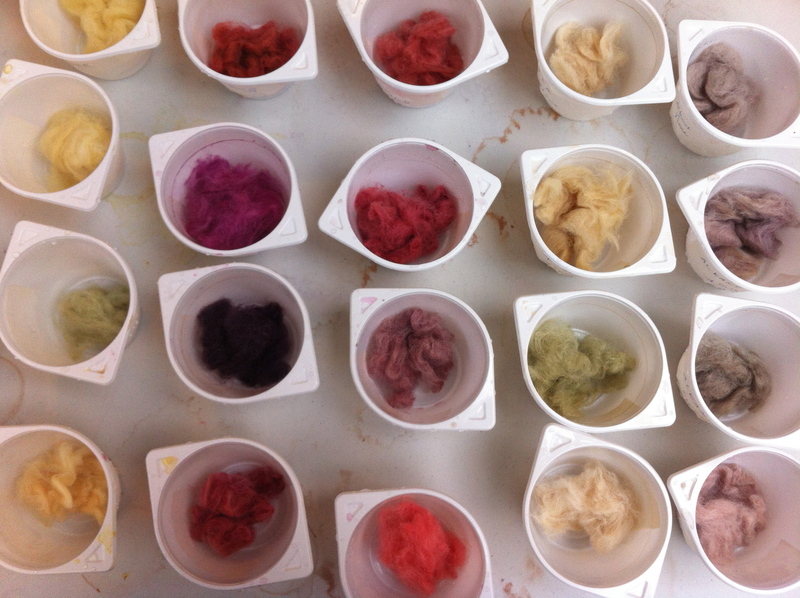 ‘We will develop hand-on methods in which we will work in many different ways with the textile samples’. 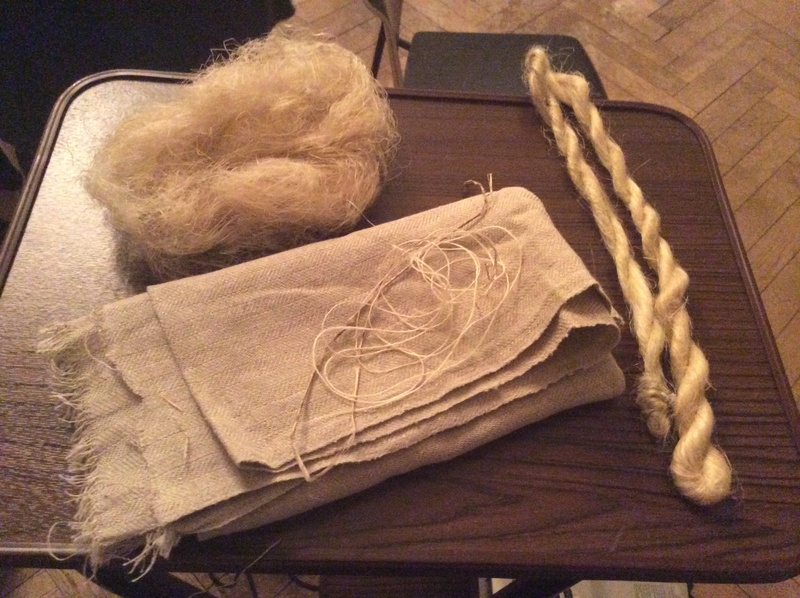 Using manuals preserved from the 16th century, we have access to the textile manufacturing recipes of that time and we can reconstruct them now and see, for example, what the weaving of the fabric meant in practice,’ explains Professor Hohti. 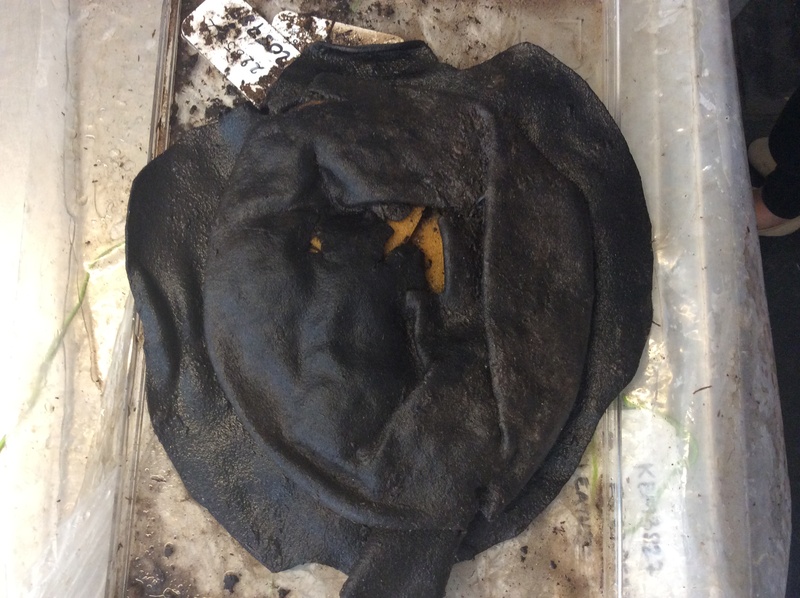 Using up-to-date techniques, we can also experiment with new methods and reconstruct poor-quality articles of clothing. A 3D camera will assist in the modelling process and using 3D printing we can produce woven fabrics and clothing. 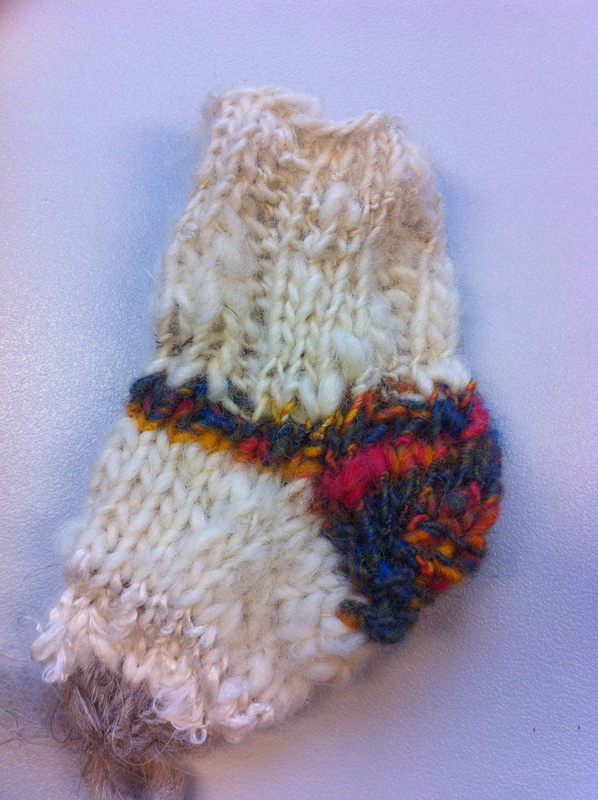 Fibre and colour analyses reveal details of the living environments in which articles of clothing were used. 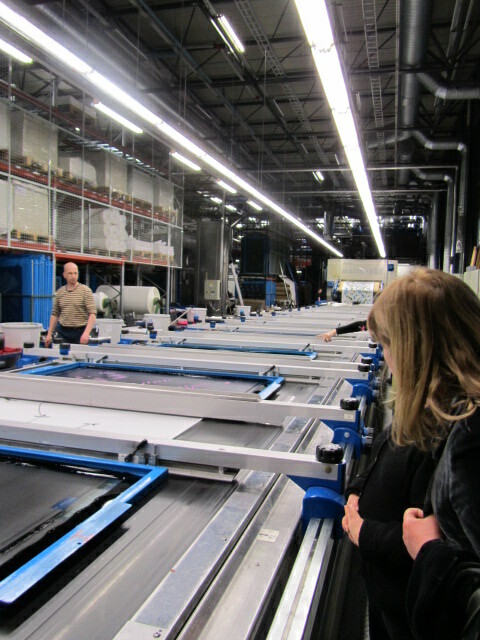 The intention is that the researchers will also grow flax in their own greenhouse facilities. 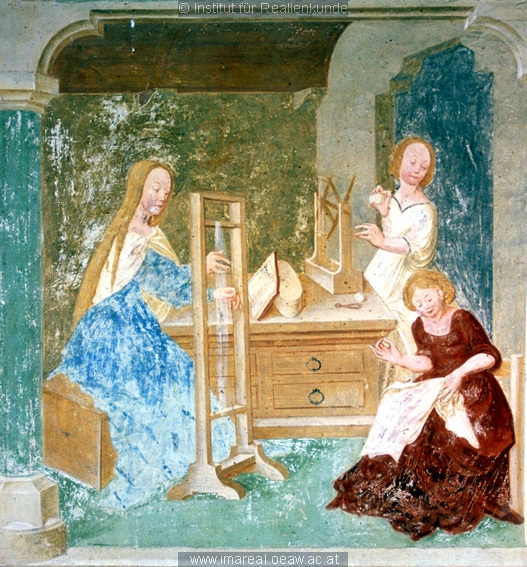 The spread of western fashion in the 16th century was aided by the growth of cities, new manufacturing techniques and the development of printing technology. 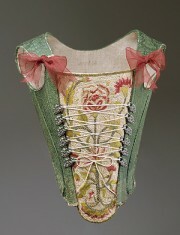 Fashion began to spread into the life of the average citizen as new and cheaper fabrics became available. Rather than the resplendent clothing of the rich, Ms Hohti is interested in the lives of the working classes. 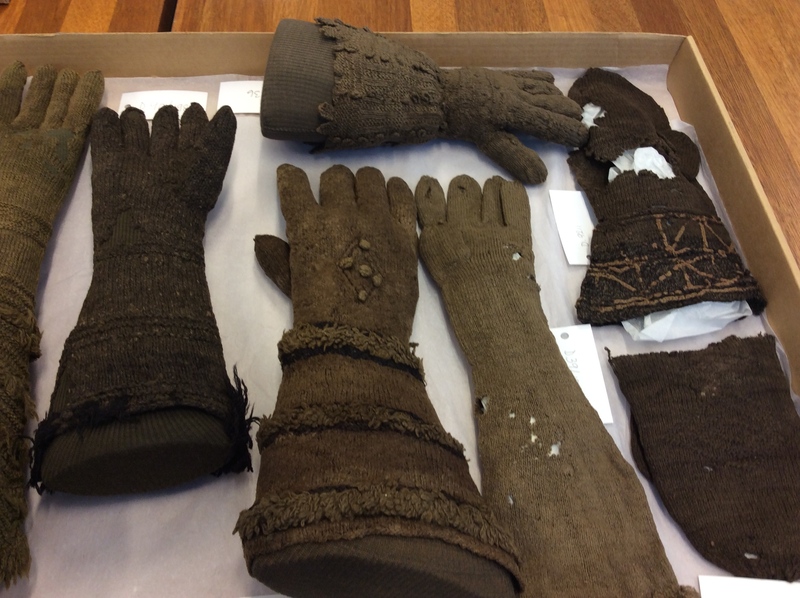 ‘We will focus on the spread of textiles and fashion among barbers, tailors and shoemakers in Italy and Scandinavia during the period 1550–1650. There is much tacit knowledge in the articles of clothing. 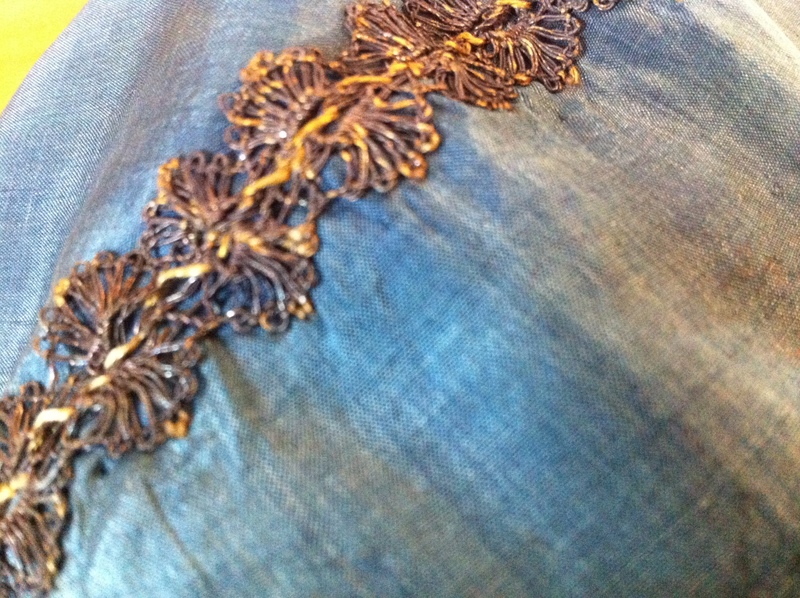 For example, a refined fabric produced by a poor family can tell of things not found in the history books’. 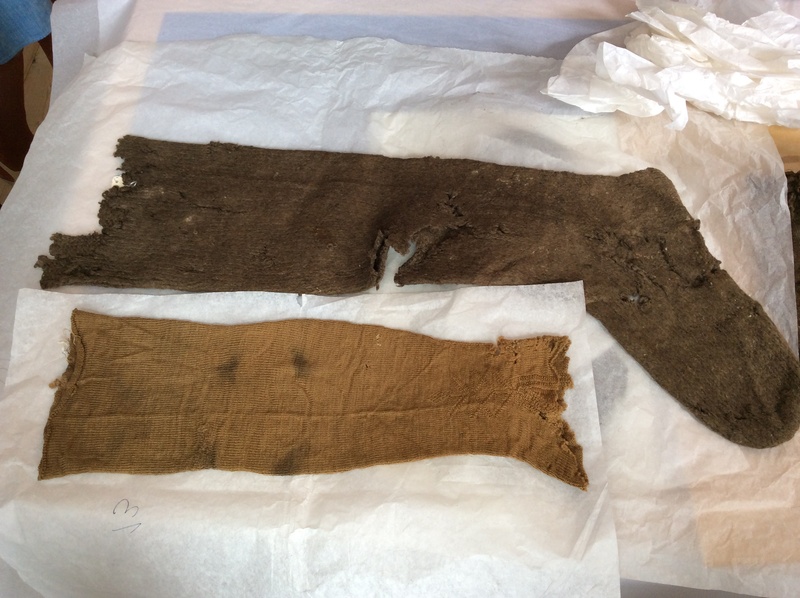 Ms Hohti is looking forward with excitement to getting access to a significant textile and clothing collection discovered at a metro construction site in Copenhagen. 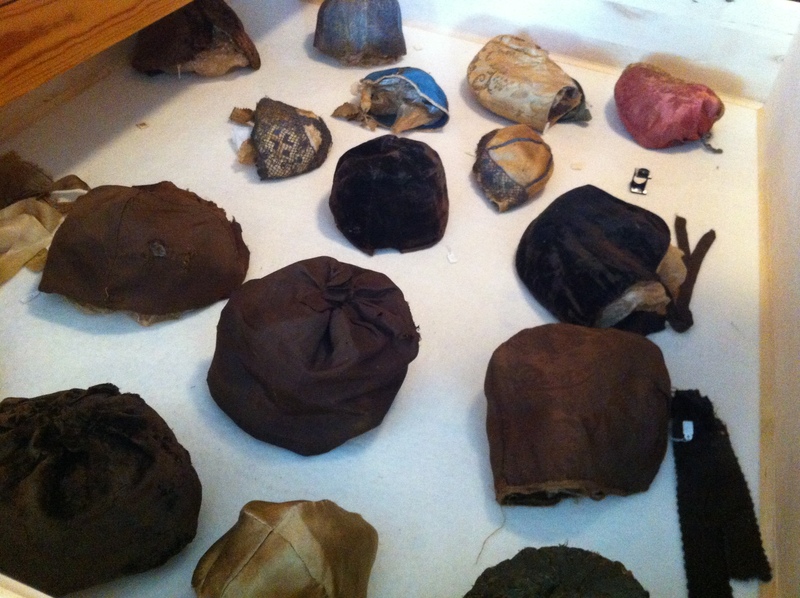 The discovery is like a fashion history researcher’s dream: a large quantity of wigs, shoes, hats, socks and other articles of clothing used by the people from the 17th century onwards. The ERC will be funding the ground-breaking cutting-edge research, and the project, due to begin in April, will be a continuation of Ms Hohti’s more than ten years of international research work. Picture: Lasse Lecklin, Text: Marjukka Puolakka, created by Saara Koskinen, Aalto University, School of Arts, Design and Architecture, 2.2. 2017. Over the last three decades, consumption has become a major topic of scholarly investigation. Both within the social sciences and humanities, it is a booming field. 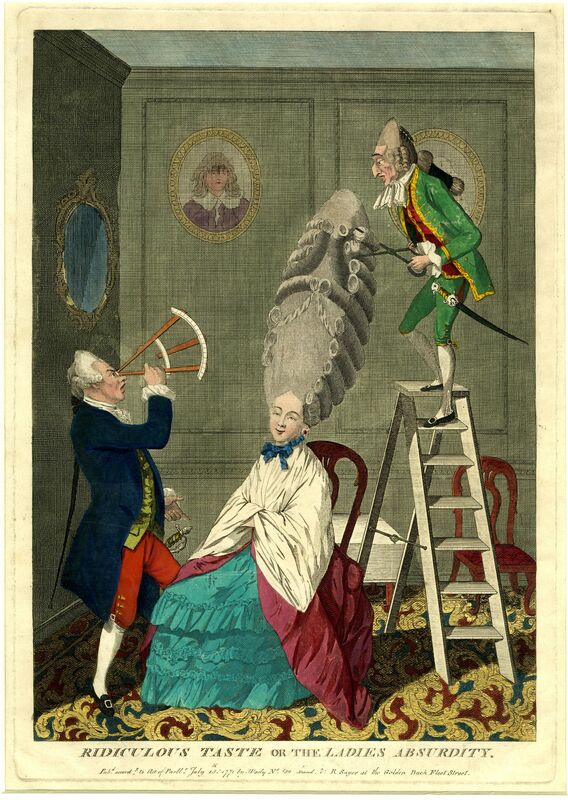 Historically, much light has been shed on the eighteenth century as a period of a ‘consumer revolution’ or a ‘birth of a consumer society’, as people began to accumulate more and more consumer goods and personal possessions. In discussing these changes, scholars have highlighted the role that global goods (cotton textiles, cocoa, tea, tobacco, indigo, gum arabic, etc), and the growing consumer demand for them, played in spurring these changes. As stimulating as this research has been, most of it has been confined to developments in Colonial America, England, France, and the Low Countries. 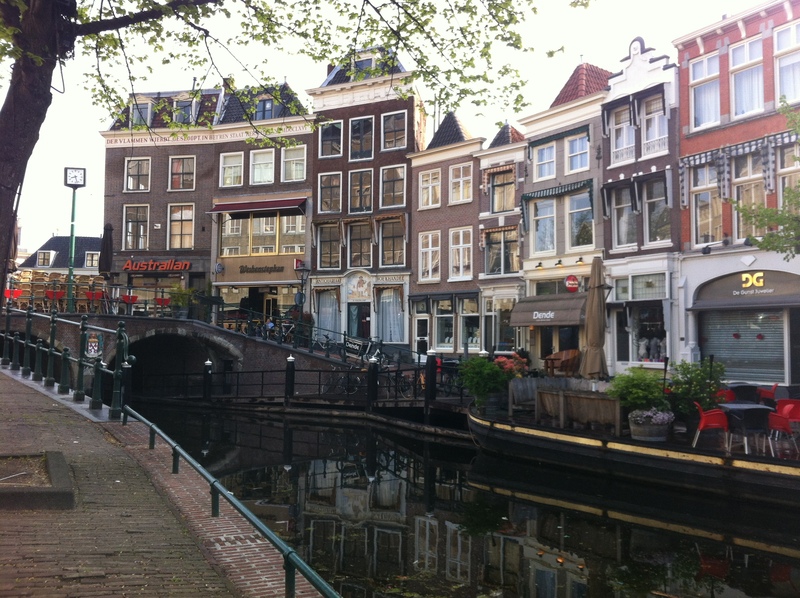 Within Europe, these studies have often concentrated on metropolises such as London, Paris, or Amsterdam – cities at the forefront of these changes. How, when, and whether similar developments played out in other European, or global, urban communities remains under researched. Our goal with this session is to explore changes in consumption practices and the development of consumer societies in other European cities. With such an approach, we hope to cast these developments in a more holistic light, and bring a pan-European focus to the idea of an eighteenth-century consumer revolution. • Consumption patterns in Southern, Central, Northern, or Eastern European cities. Which elements of a ‘consumer society’ can be detected in these regions? Did changes in consumption patterns occur, and if so, when? What were people consuming? Which ‘global’ goods found resonance in these cities? How wide-spread through society were these changing consumption patterns? • Comparative work between European cities. What kind of comparisons in consumption patterns can be drawn between Western European cities and Southern, Central, Northern, or Eastern European cities? 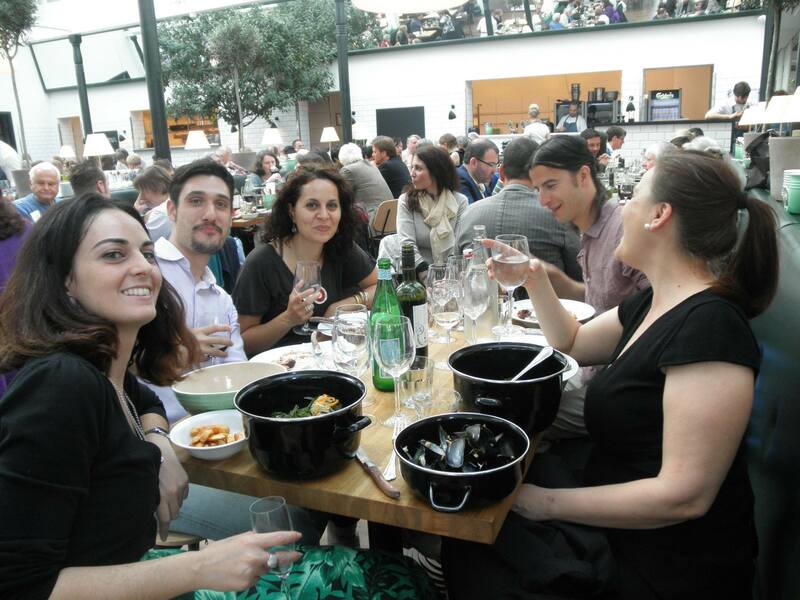 Temporally how did consumption patterns vary between other European urban communities? • Broader issues surrounding consumption. What role did urban areas play in these changes? What role did laws (eg. 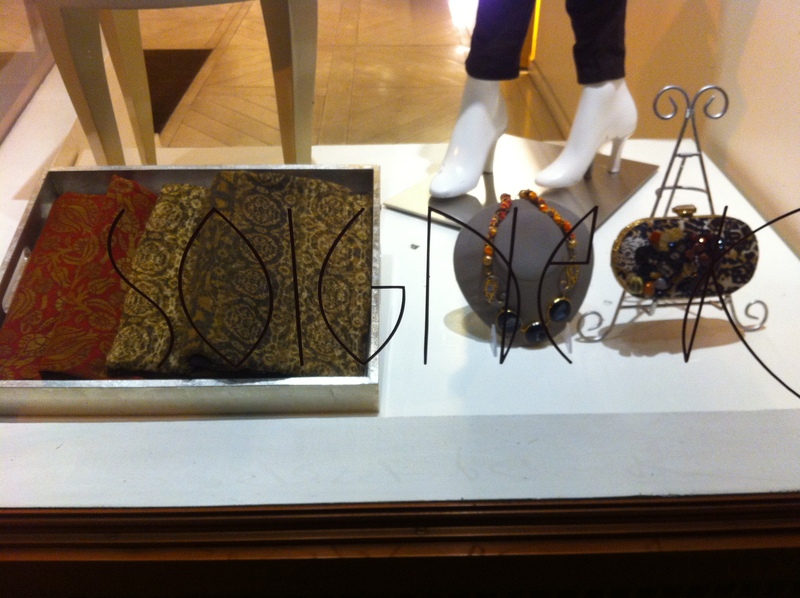 sumptuary legislation) play in changing consumption patterns? How are changes to consumption related to broader social, legal, economic, and political developments? 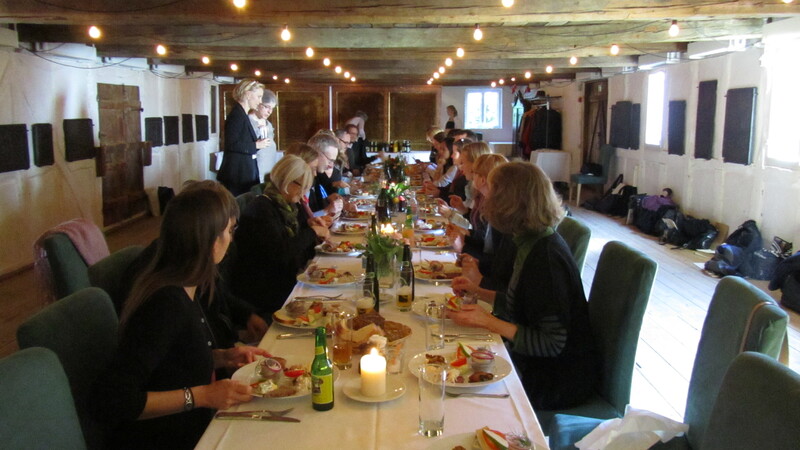 My two-year Marie Curie research fellowship at the Centre for Textile Research in Copenhagen ended at the end of February, and I am really happy to tell you that I will continue my work as the Professor of Art and Culture History at Aalto University, School of Art, Design and Architecture, in Helsinki, from 1 August onwards! Getting a permanent job in academia these days is a tough task, especially for international academics such as myself and my fellow researchers at the CTR who have been moving extensively from one international institute to another. 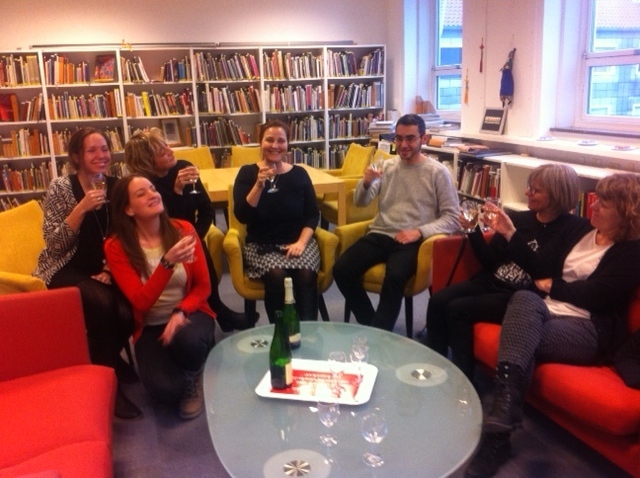 So once the news of my new job arrived late on a Monday afternoon just five days before my fellowship ended, my collegues took the sparkling wine out! My time in Copenhagen has been incredibly rich and varied. 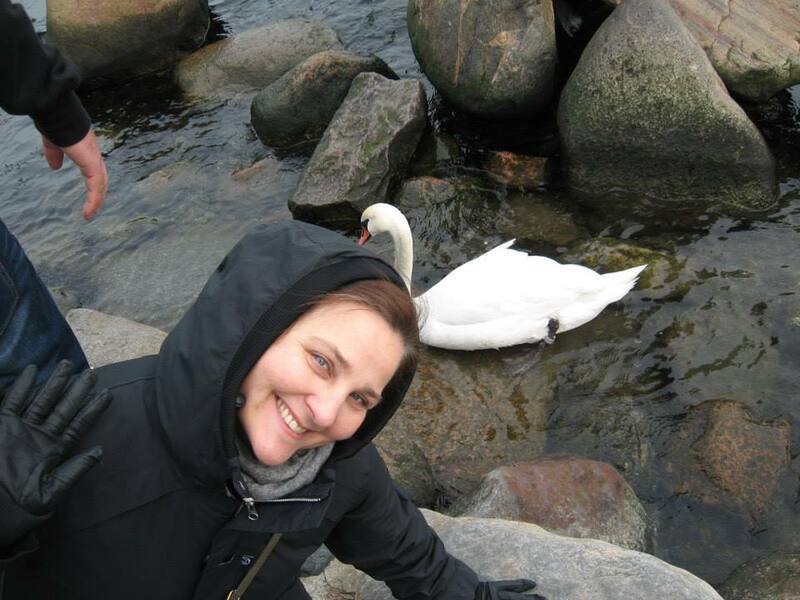 In addition to new research perespectives that I have been able to develop during my research fellowship, I have fully enjoyed my life and experiences in the small but buzzling city of Copenhagen. 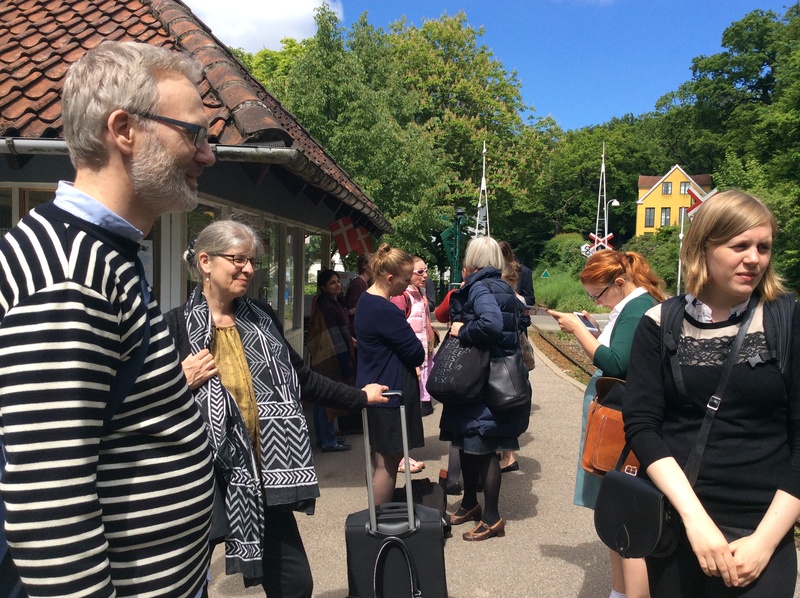 I have learned a lot about the Danish culture and language, enjoyed stunnigy beautiful city gardens and sea views, and explored so many fascinating cultural sites and great restaurants. I am so grateful that I got to share these experiences with so many wonderful people. I am above all eternally grateful for my fellow researchers Miguel, Salvatore, Berit, Matteo, Flavia, Romina, Malgorzata and Giovanni, as well as all CTR staff, and my daughter Venla and my dear Birger, for making these experiences so special. Here are just some of those precious memories. 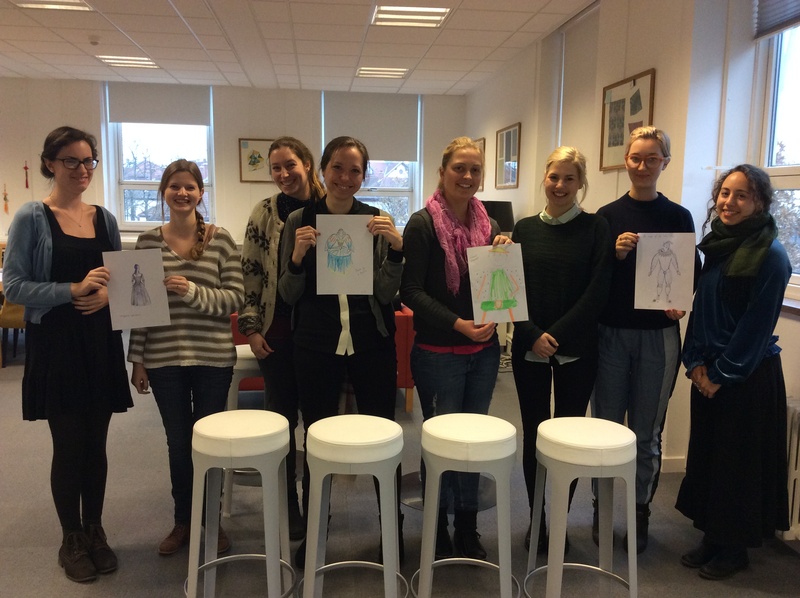 As part of my Marie Curie research fellowship at the Centre for Textile Research, I created a 15-week course on early modern dress and fashion for MA- and BA-level students at the University of Copenhagen. The goal of the course, taught in English, was to provide the students not only with new knowledge about historical dress, but also about how historical knowledge is being created in different academic fields. The range of topics were explored from various points of view, including archaeology, art and cultural history, social and economic history and museum conservation. 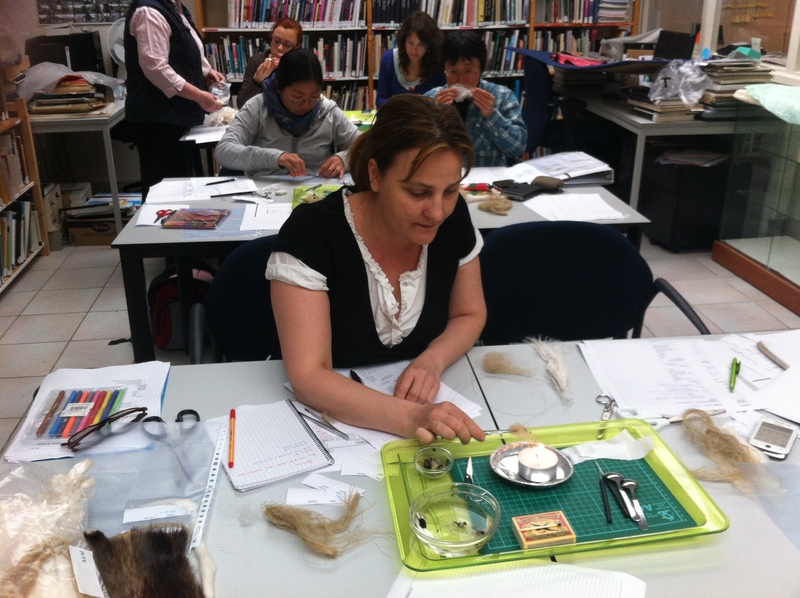 This way, the course aimed at providing the students with an interdisciplinary ‘tool kit’ to study the history dress, textiles and fashion. Here we are, at the start of the course in August. We started the course by looking at historical representations of dress, discussing to what extent garments might be idealised in visual images. We then moved on to discuss the social and cultural meanings of dress in Early Modern Europe, when I together with my colleague, the cultural historian and curator Mikkel Venborg Pedersen from the National Musuem of Denmark, discussed issues of status, identity and dress both among the elites as well as among popular segments of society. The social and cultural analysis of dress was followed by an examination of objects themselves. 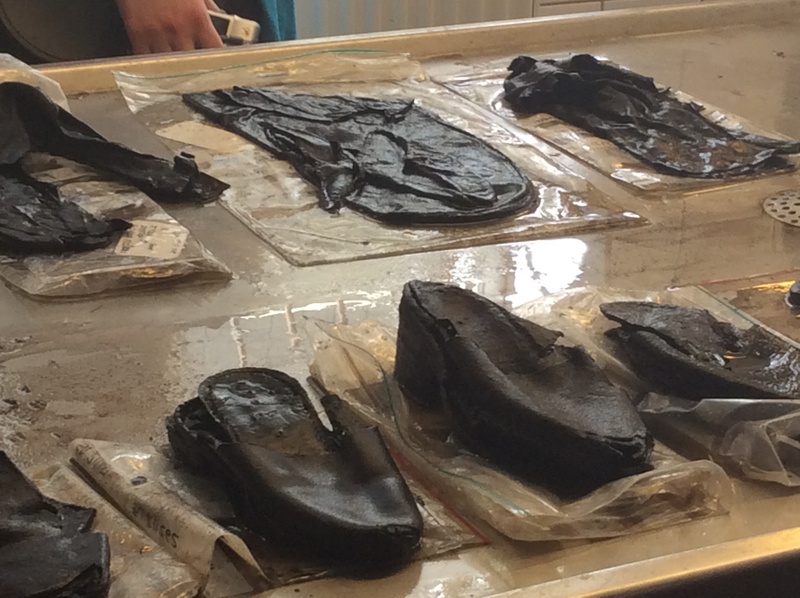 Two lectures, given by archaeologists Charlotte Rimstad and Vivi Lena Andersen, taught the students how real surviving 17th-century dress items, such as shoes, hats and gloves, excavated from Copenhagen moats, can be studied and used to understand early modern dress. 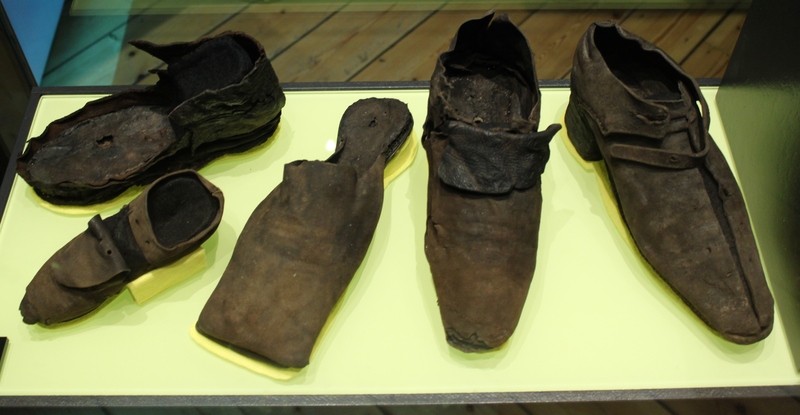 Below, is an example of a surviving 17th-century shoe, as well as Vivi Lena with the students, creating a future ‘Shoe-exhibition’ with the students. 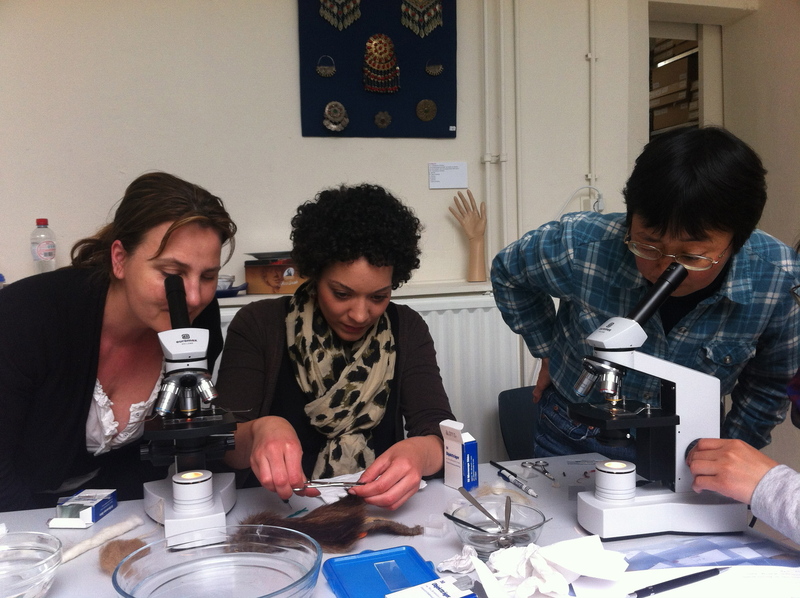 Charlotte also brought her microscope, allowing the students to learn about the structures of the textiles that the clothing was made of. 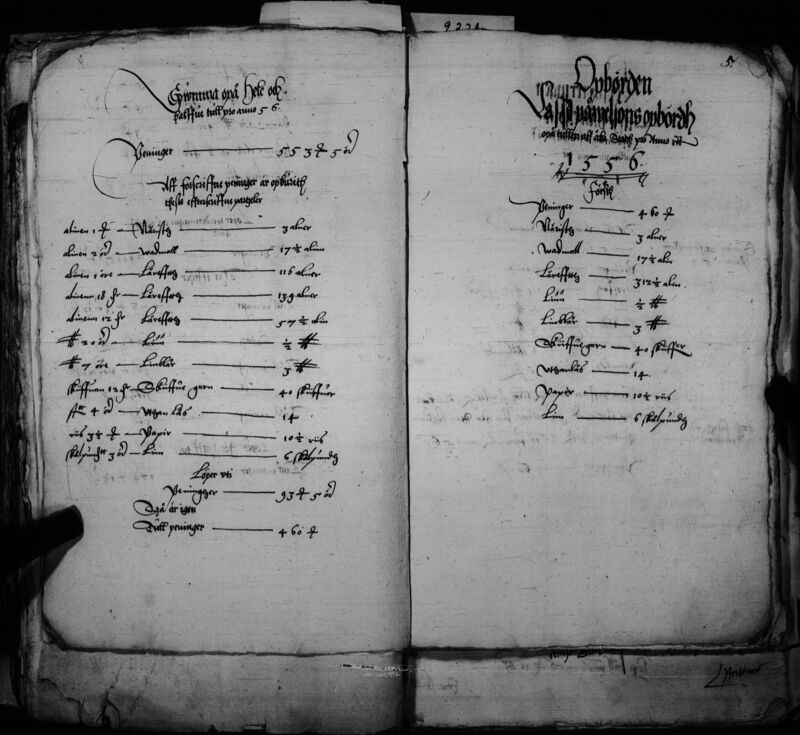 The historian Camilla Luise Dahl, then, in the next class, read probate inventories with the students, demonstrating how similar items were described in 17th-century archival records from Copenhagen. The second part of the course focused on new tehcnologies, novel fashion products and fashion dissemination in the early modern period. 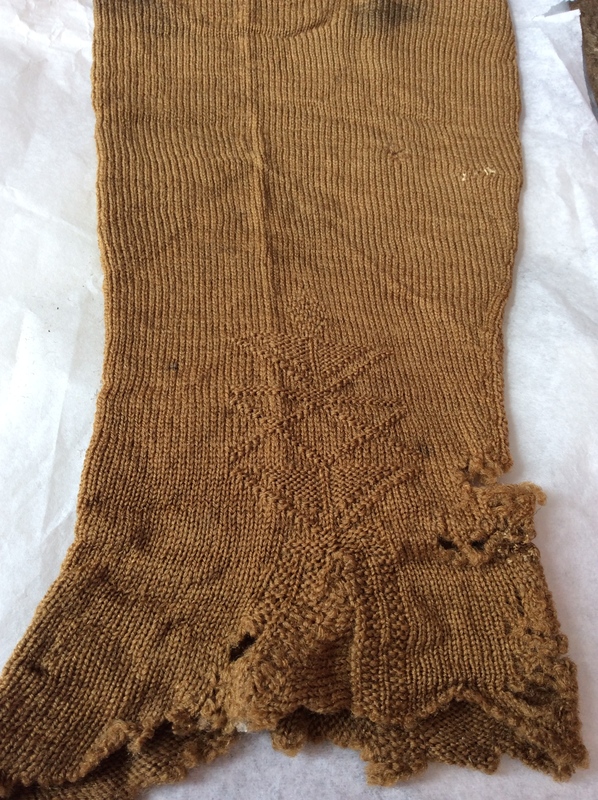 I had invited the conservator Maj Ringgaard from the National Museum to teach the students how knitting developed in the course of the 15th- and 16th-centuries, and created a great fashion and desire for fine stockings. 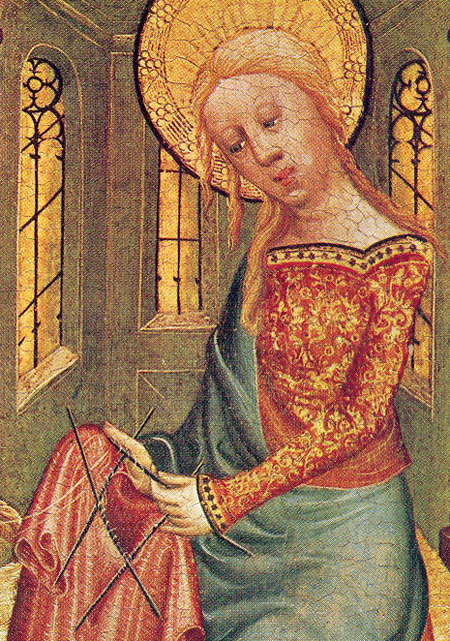 Below, you can see some visual and material evidence of the early dissemination of this craft; a pair of early hand-knitted socks (Deutches Strumpf Museum) from the late 16th- or early 17th-century, and a depiction of Madonna engaged with knitting, by Bertram of Minden, 1400-10. 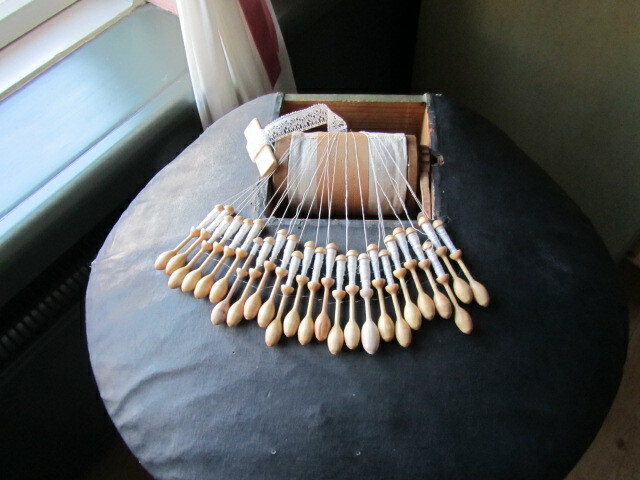 Maj had also brought some samples of lace and super fine needles that were required to produce the delicate lace for the students to examine. 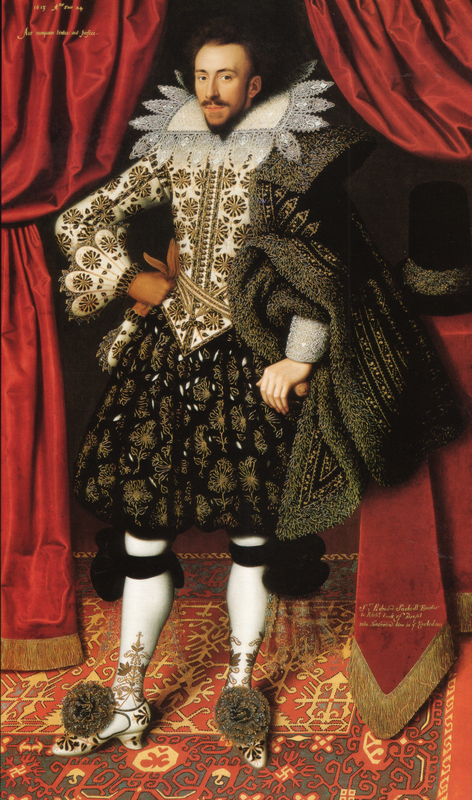 Lace and knitted stockings can frequently be seen also in late 16th- and early 17th-century portraits, such as below. 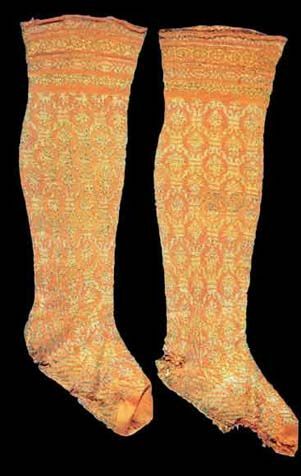 Stockings and lace, however, were not the only fashion novelty that spread with an increasing speed in Europe. The 16th-century was a period of a wide circulation of new fashion innovations which, popularised by Spanish and French courts and promoted by flourishing international cloth and clothing trade, introduced new concepts into the traditional, local ways of dressing. Together with my students, we learned and studied how fashions disseminated and international dress fashions spread in Early Modern Europe. Below, the early seventeenth century portraits show two figures dressed in their best, the Earl Richard Sackville, in 1613, and Isabella Clara Eugenia, regent of the Netherlands, 1609. The third part of the course moved the discussion from the social and cultural spehre to the economic context of dress, taking up issues of production and trade of textiles as well as acquisition and consumption of dress items. 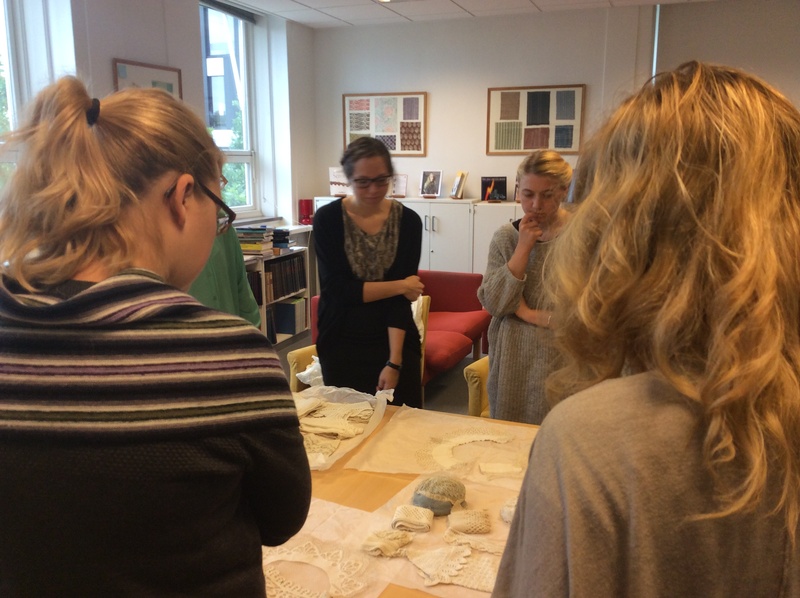 Karolina Hutkova, an economic historian from the Warwick University, connected to our CCCC programme here at Copenhagen, taught the student how valuabe silks were produced and traded on a global scale in the early modern period. We then continued with the students to think about the economic value of garments, discussing where and how textiles and garments could be bought, how accessible they were to the people from the lower social orders, how clohting could function as an economic ‘currency’, and what consumption of clothing means. Below is a representation of a 15th-century Bolognese market place, and an exotic, Ottoman cover fragment, made of linen with silk embroidery, 18th Century, today at The Textile Museum, Washington, D.C. The final part or the course placed the entire content in a theoretical framework, when we focused on the meanings of ‘fashion’ and tried to understand its systems both in the past and the present. 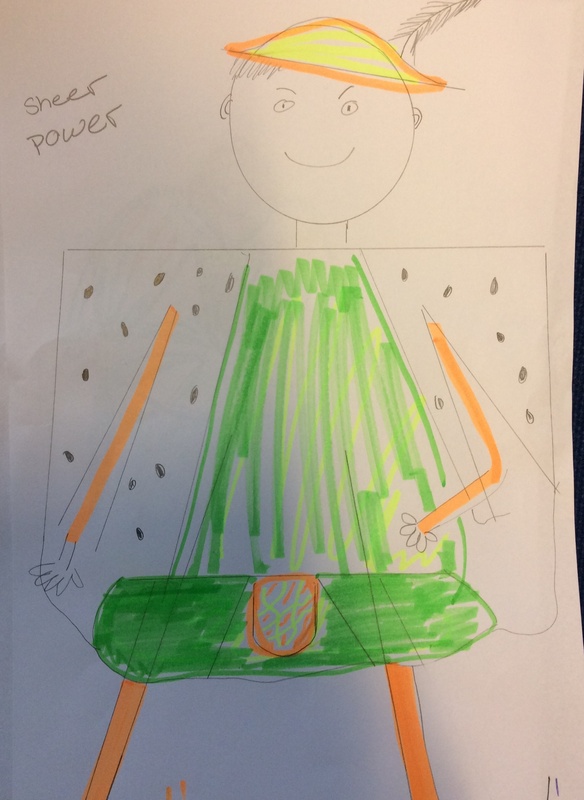 We practised making arguments against Veblen’s and Simmel’s trickle-down emulation models, using, for example, the famous case of jeans to create bottom-up models of emulation. Did you know, by the way, that Denim, a mix of linen and cotton fabric originally associated with the working classes and the poor before it became the clothing for all and a fashion item on the catwalk, was invented already in the 17th-century? 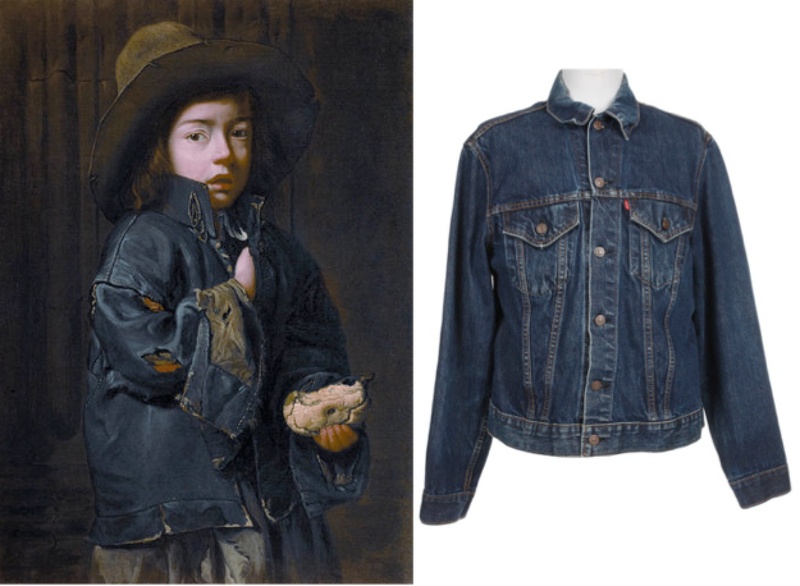 The painting on the left, originiating from the 17th century and painted by the ‘The Master of the Blue Jeans’, represent a poor boy in a worn out denim jacket! 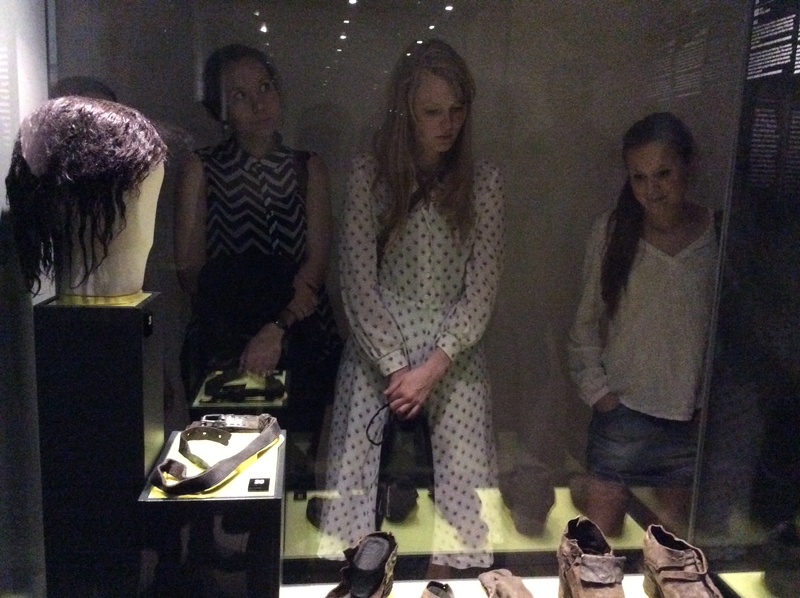 Making connections between past and present, we also charted some of the interesting historical influences on contemporary fashion, as well as identifed key differences in the use and regulation of dress in the past and present. 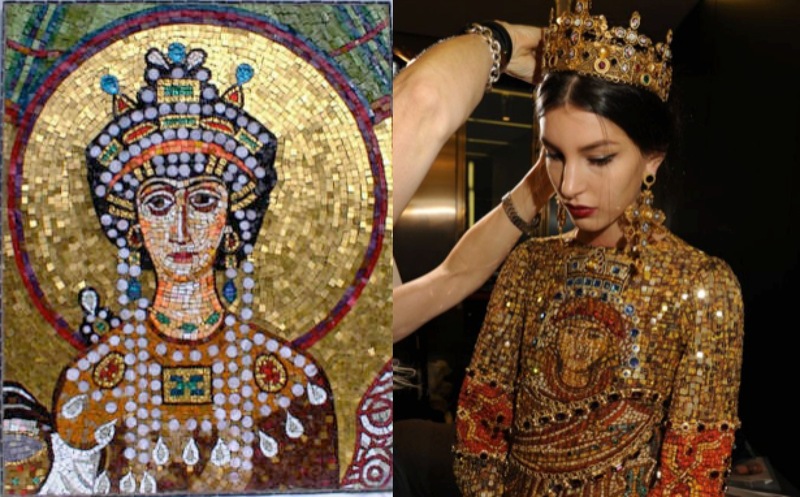 Here is one stunning example of the use of historical reference in contemporary fashion: the Dolce Gabbana FW13 Dress collection, with references to the Byzantine mosaics from Sicily. 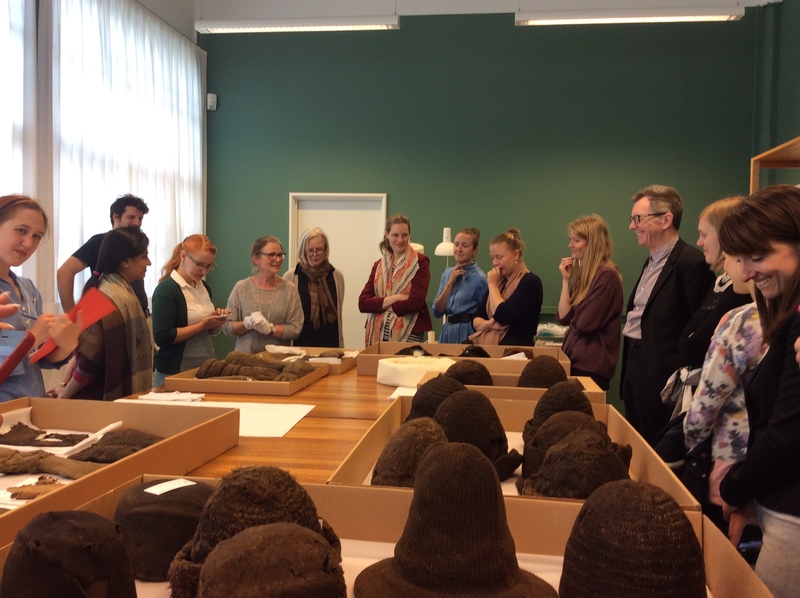 To finish the course, the students then spent a day at the National Museum, thinking about what constituted the museum’s textile and clothing collections, and how they were visually displayed in the exhibition space. 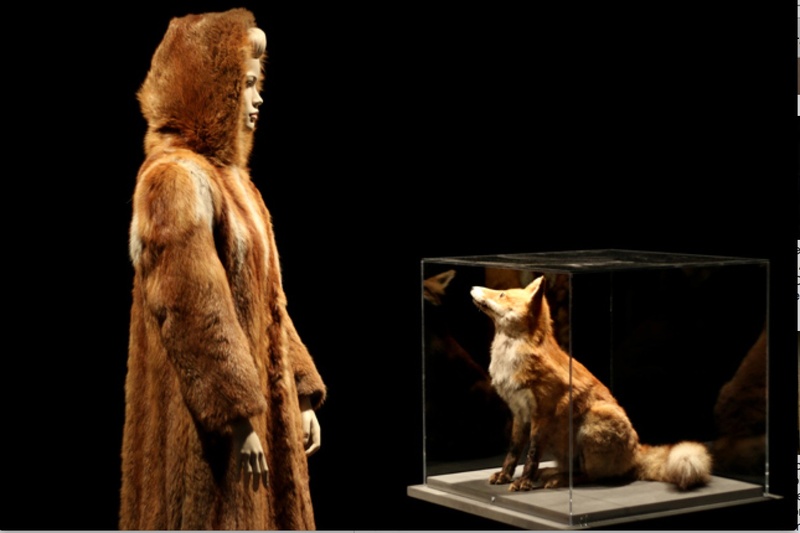 The current exhibition on historical fur, called ‘Fur-An issue of Life and Death’, offered a great visual comparison for the students, by contrasting the rather traditional and conventional display of the Renaissance gallery with its glass vitrines and thematic arrangement of the objects, with an exhibition that made a conscious attempt to appeal to emotions as well as senses beyond vision, such as touching and smelling. My course ended with students’ presentations of their exam topics. 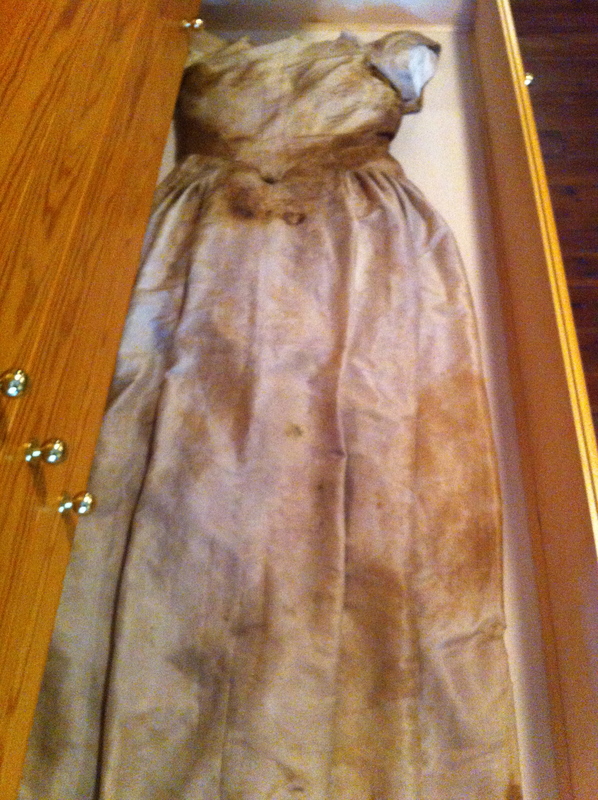 I was astonished how well my students were able to use primary sources, from written descriptions of dress and sumptuary laws to real surviving graments and printed and painted images of dress, as well as to apply approaches borrowed from archaeology, art history and economic, social and cultural history for their study. 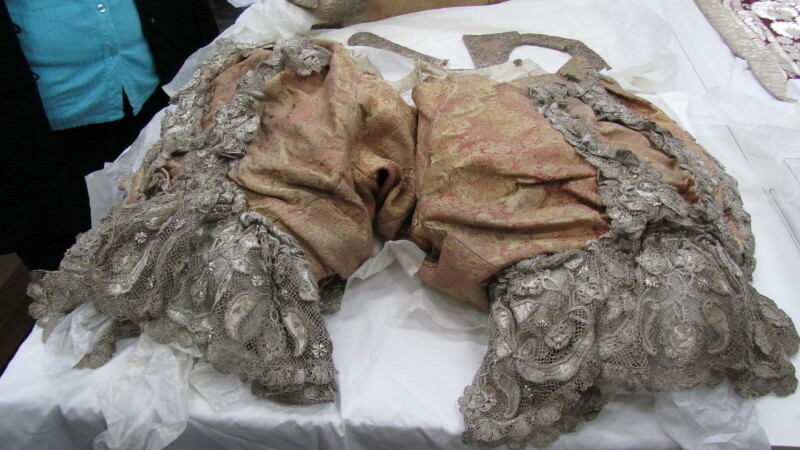 To me, it demonstrated that they had not only acquired new knowledge of early modern dress and it’s key concepts, but that they had really understood how historical knowledge is being created. At the end of the final class, we decided to have some fun and organise a drawing competition. 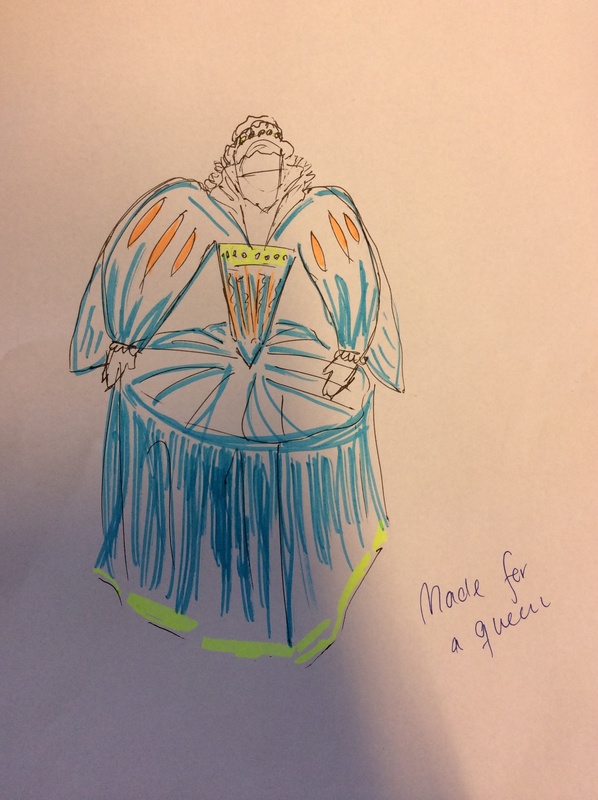 In pairs, my students were asked to design a fashionable garment in the 16th-century style and ‘sell’ it to the class, explaining how it was fashinoable and why it should win the competition. 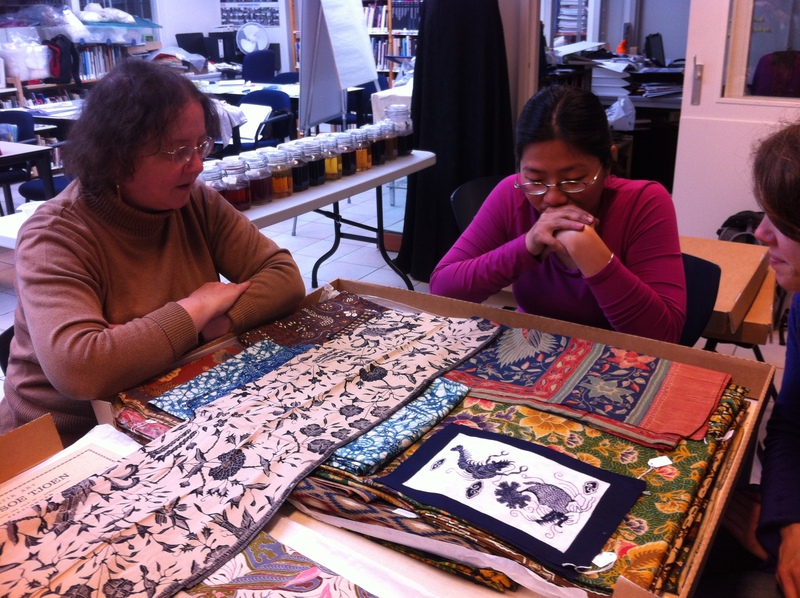 Here are my wonderful students, with their original 16th-century fashion designs! 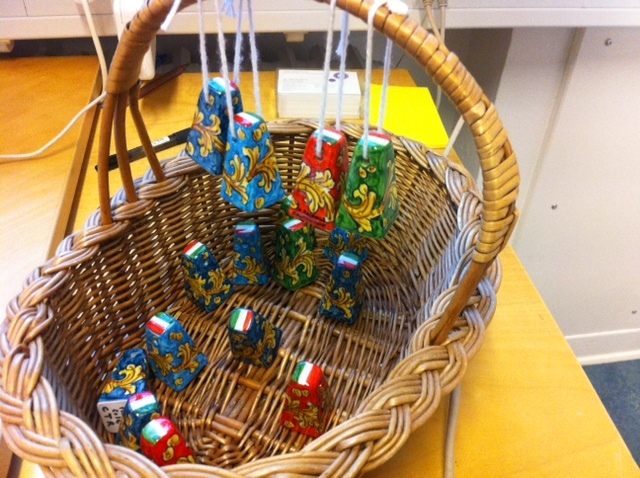 As a prize, the winning team got to pick some of these beautiful, Italian hand-painted loom weights. I was given the permission from my students to put the fun drawings online. 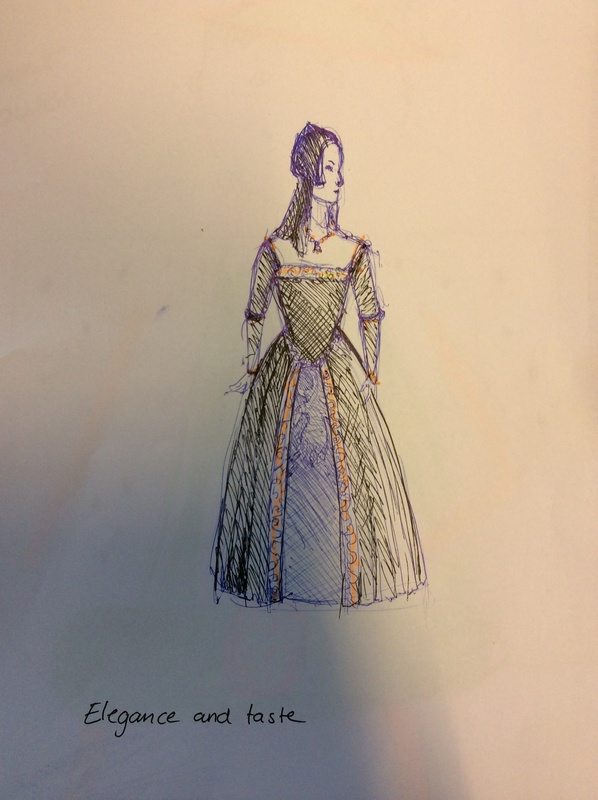 I wonder if you can you identify the famous historical figures in their designs? 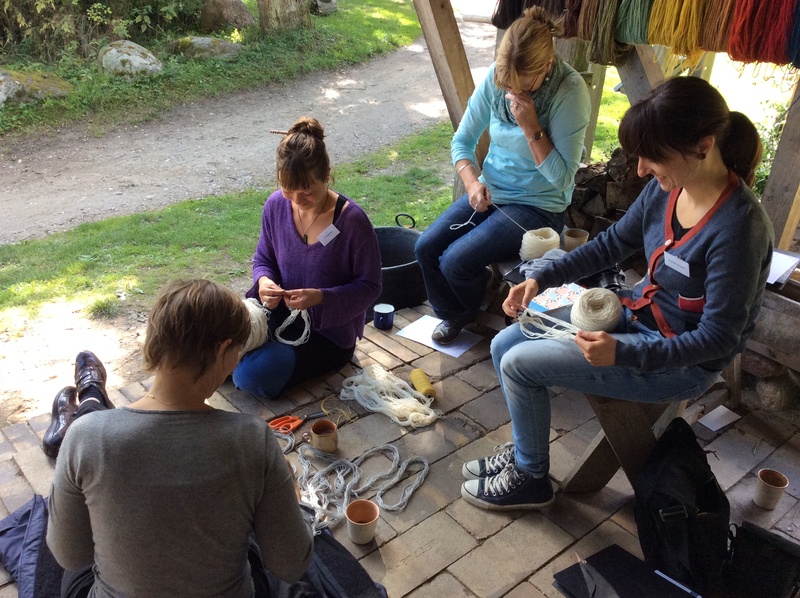 A few weeks ago, our entire research centre travelled to Lejre, Denmark, to spend four days at the experimental archaeology reserach centre (Sagnlandet) to learn how textiles were prepared and dyed centuries ago. 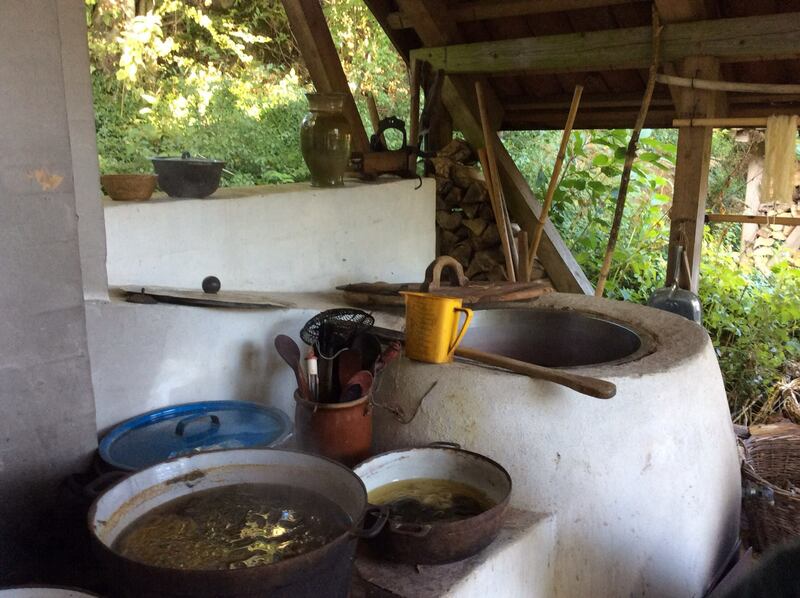 During the first two days, using real firewood to heat up the water, and locally grown plants such as woad and madder to dye our woollen samples, we were guided in this amazing coutryside setting by Fria Gemynthe through the processes of historical dying, creating some fantastic hues of yellows, oranges, browns, purples, blues, and greens. 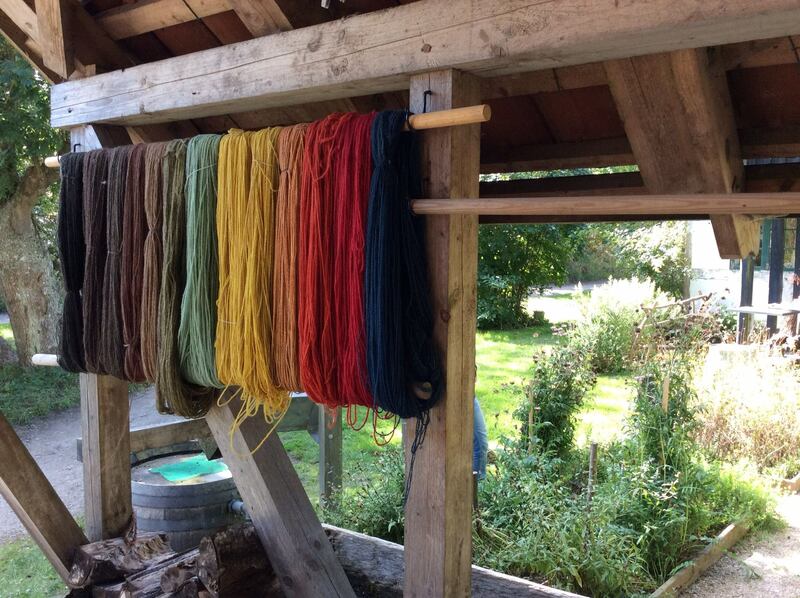 Just look at how beautifully the different of colours of naturally dyed wool, bathing in sunshine, have taken in the colours! 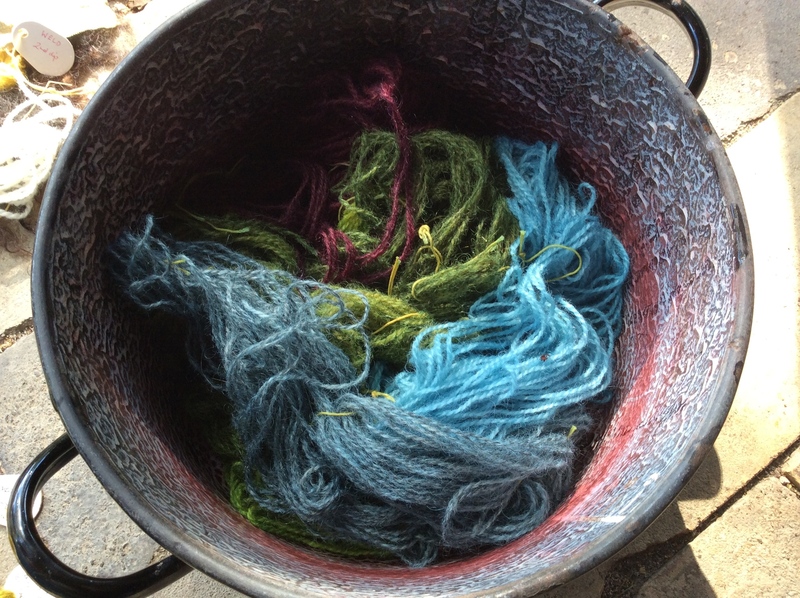 The first task of the dye-workshop was to set the fire going and heat up the water. 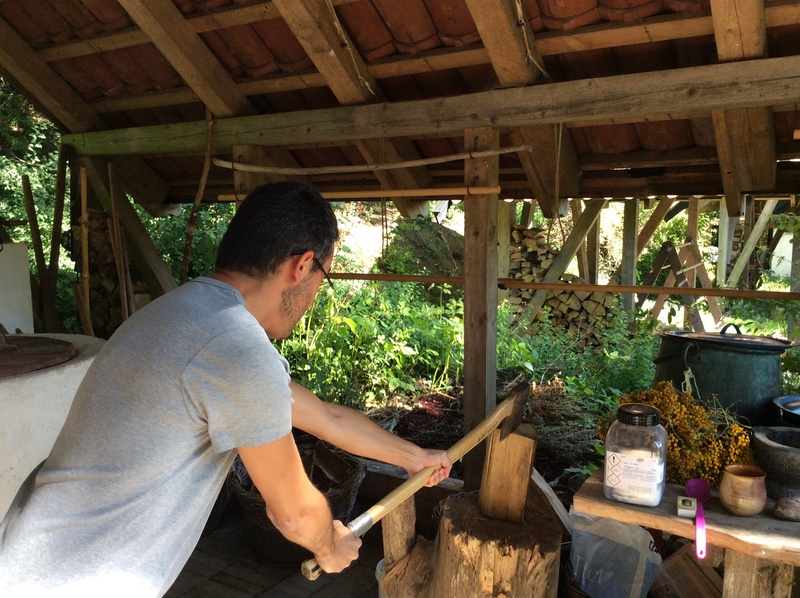 We were lucky to have our Spanish colleague Miguel Angel in our team, because he absolutely loved chopping firewood! 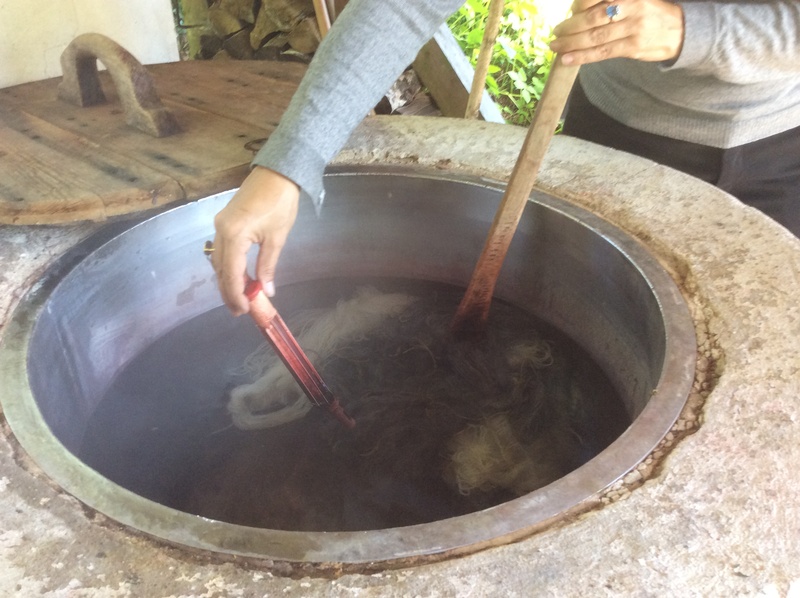 When the water was heated up to 90 celcius degress, the undyed wool yarn samples could be placed in the in mordant bath. 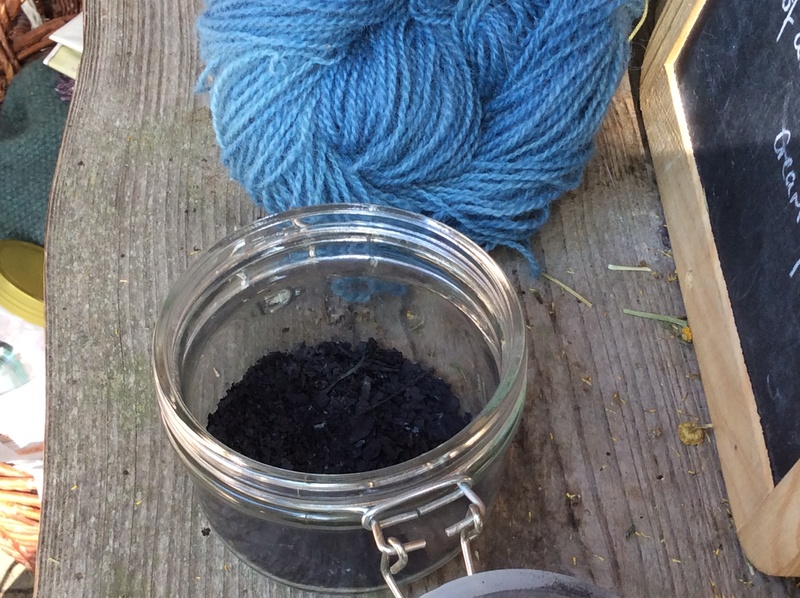 The purpose of the mordant (we used alum and cream of tartar) is both to bind the colours as well as to make them brighter. 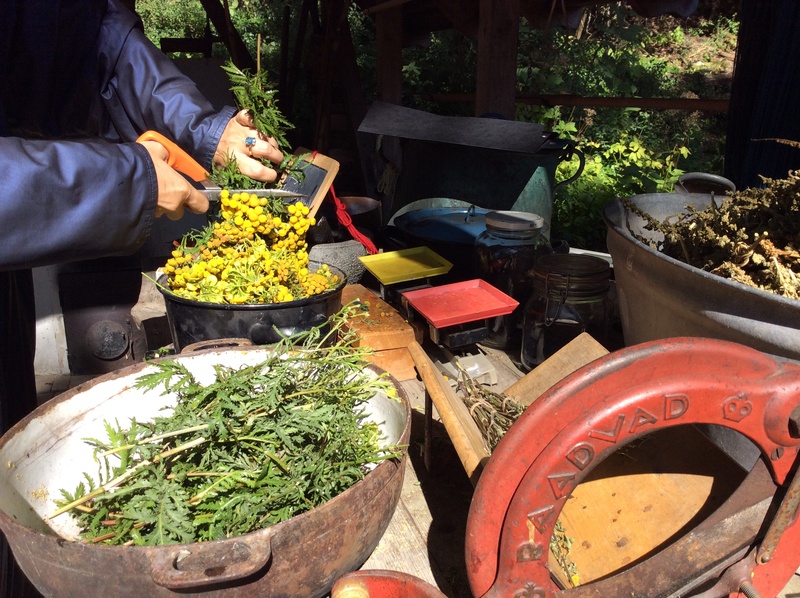 While the wool was soaking in the mordant, we prepared the dyestuffs, using local plants: tansy for yellow, woad (or indigo) for blue, weld for green and madder for red. Some of the recipes required quite complex calcuations. 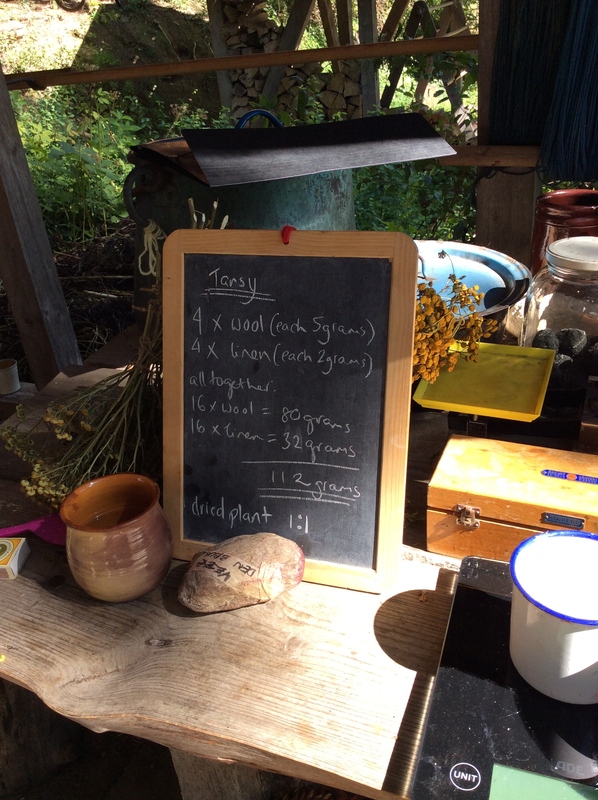 Below our director Marie-Louise Nosch and our long-term reseracher Mary Harlow are working out the maths for a dye recipe, which was then written down on the black board. 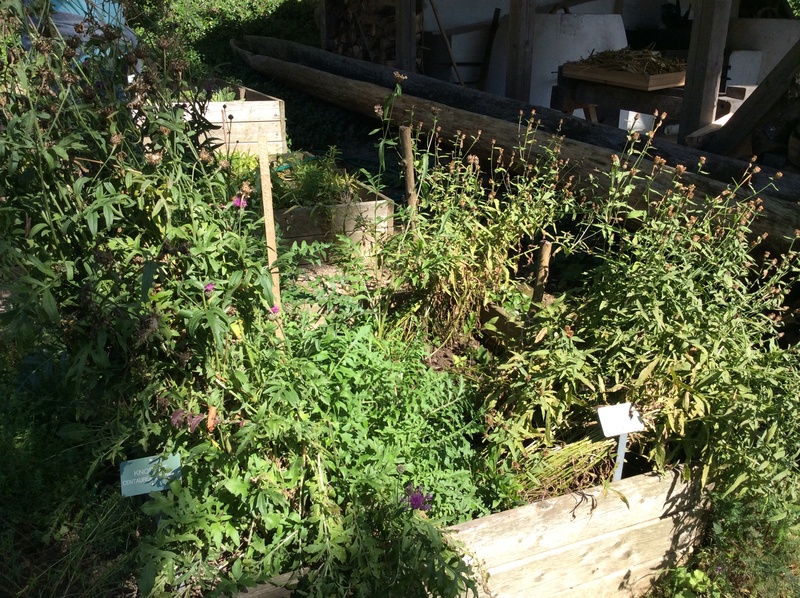 Most of the plants that we used were grown in the experimental reserach centre’s own garden. 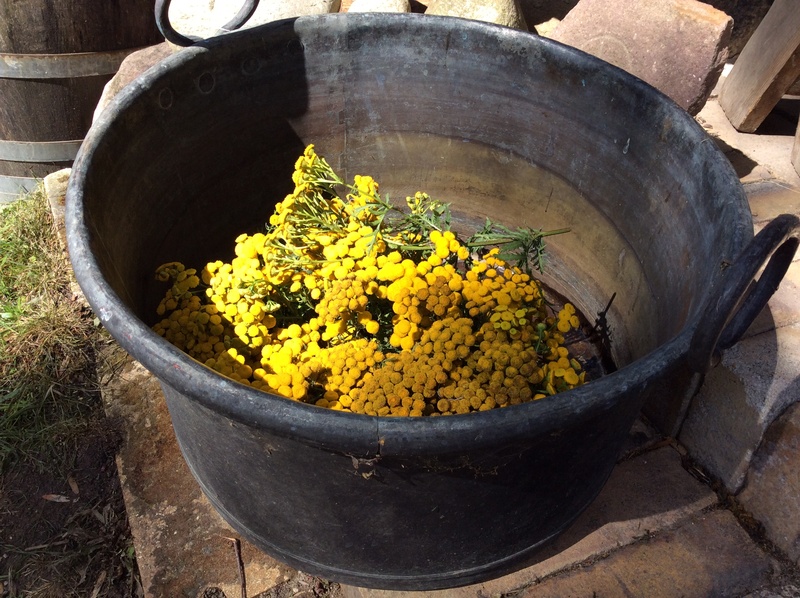 Below is a bucketfull of locally grown dried tansy, that gave the wool a beautiful, warm yellow colour. We also tried weld, which normally gives a bright yellow colour, but our samples did not turn out well. 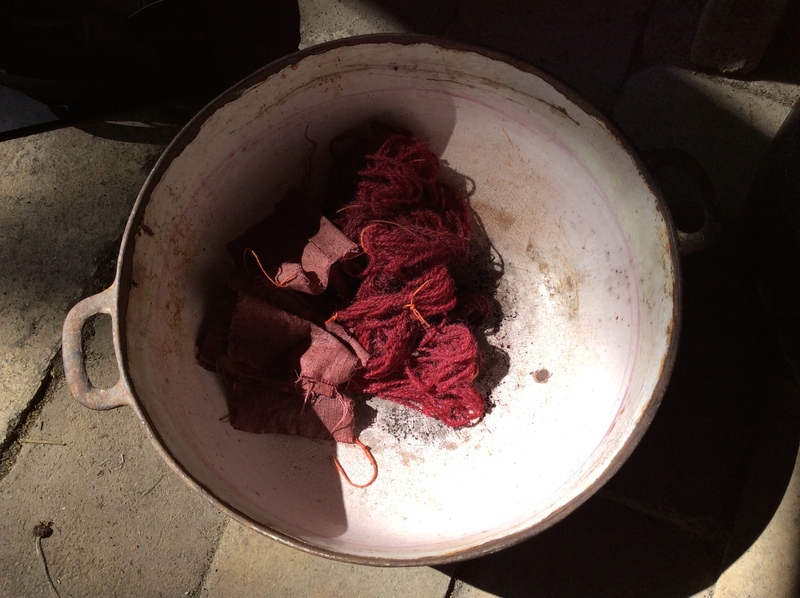 The red wool, died with madder, turned out absolutely stunning! 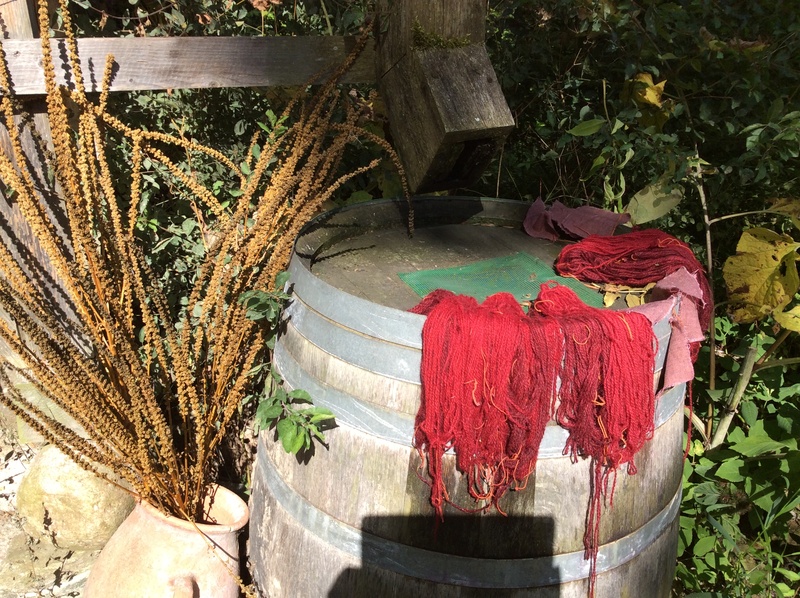 However, since madder is not the most effective red colourant, our flax samples (seen in the pictures below) did not take in much colour. 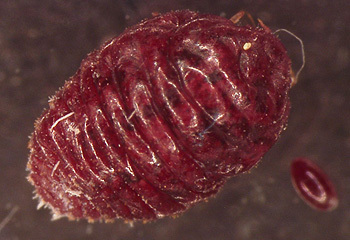 This is the reason why in the past, the most expensive crimson reds in textiles and clothing were dyed using intensive and expensive dyestuff, the kermes and the cochineal (produced from the bodies and eggs of a small type of insect). For the high cost and prestige of the colour, these reds were reserved only for the most welathy and powerful members of society. 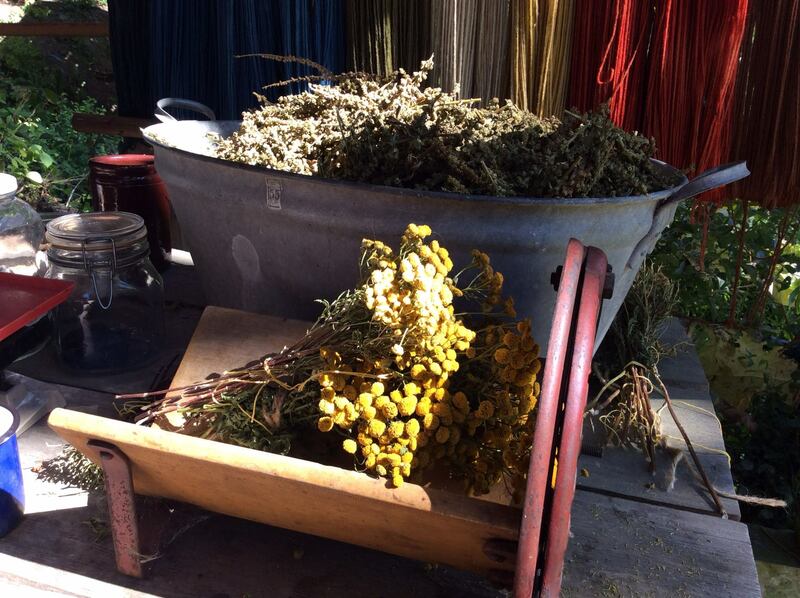 We created blue using waod and indigo, and, by mixing woad with tansy and weld, we got an amazing green that was almost greener than the nature itself! 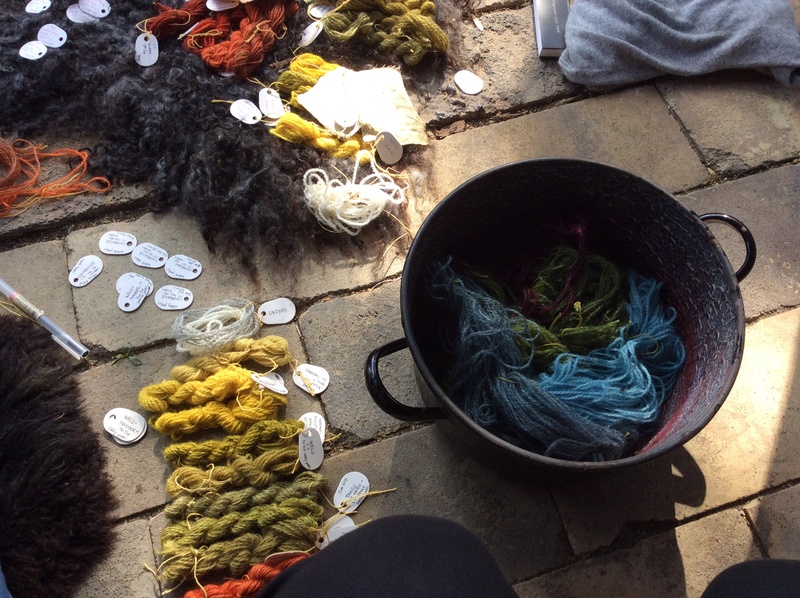 By the end of the workshop, we had a great variety of colours, inlcuding orange (mix of madder and weld) and purple (mixing madder, cochineal and woad). 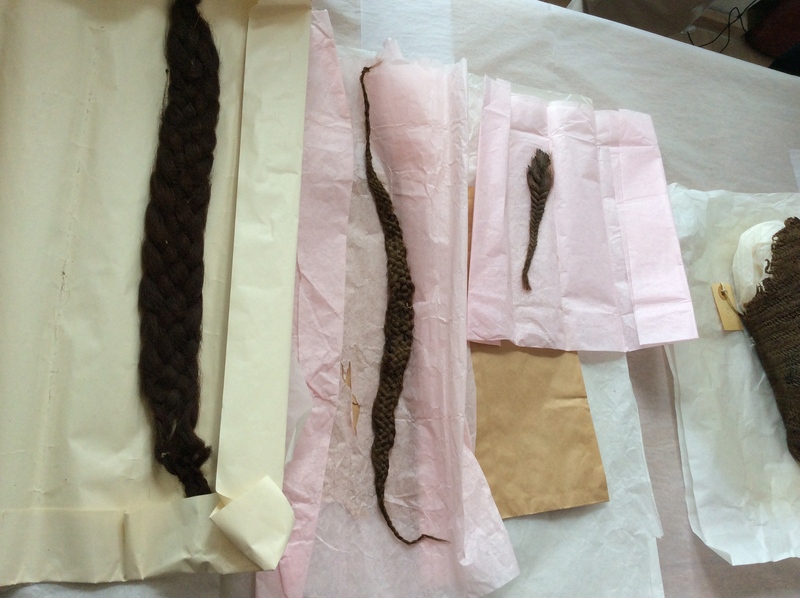 We tied all the samples in neat bundles according to Fria’s instructions, and took them back to our study rooms to be used in our teahcing and research. What did this experience teach us? The re-creation of the dying process really made me understand the value of colour in the Renaissance period, for the complex and expensive process of dying, from getting and fire wood and water to growing or obtaining the dyestyff, processing and preparing it, mordanting, and controling the fire and water tempreature all required a lot of time, technical knoweldge and patience. 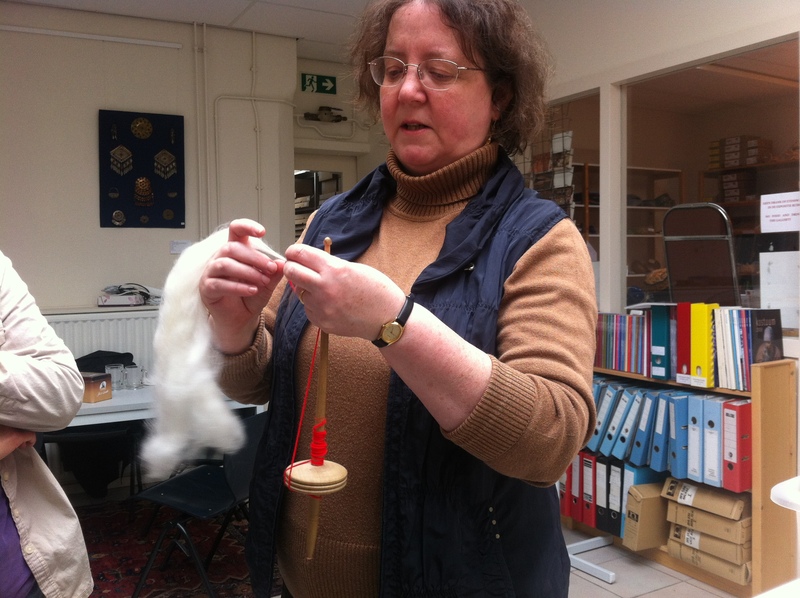 Our research centre, the Centre for Textile Research, is specialised in the study of experimental archaeology. 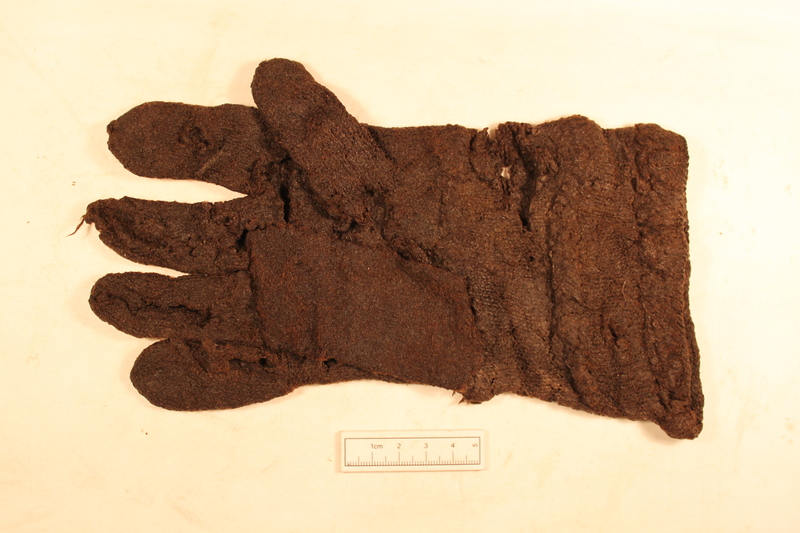 Scholars working especially on pre-historic textiles have used and developed a wide variety of hands-on techniques to make the invisible ancient textiles, crafts and production techniques visible. 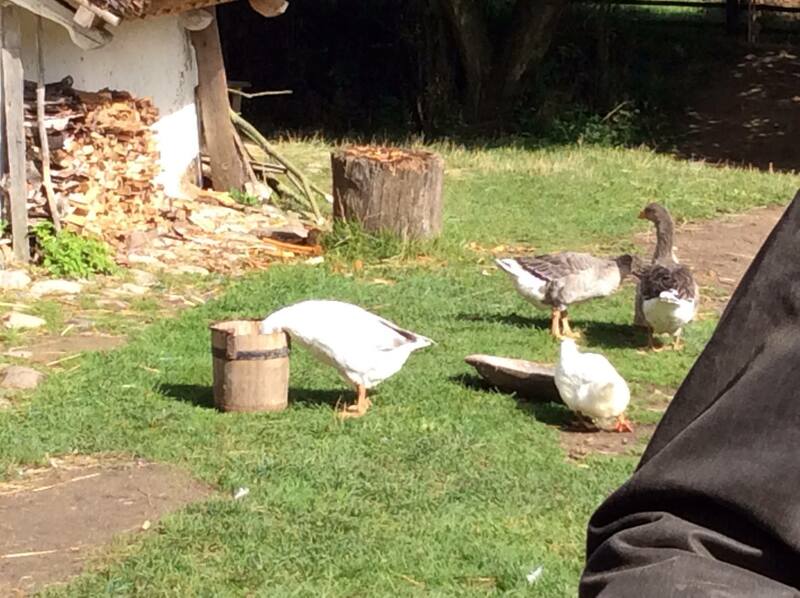 We are currently planning to set up a workhop, where we think about issues such as how a historian such as myself can benefit from experimental archaeology, and what is the difference bewteen experimental and experience archaeology. 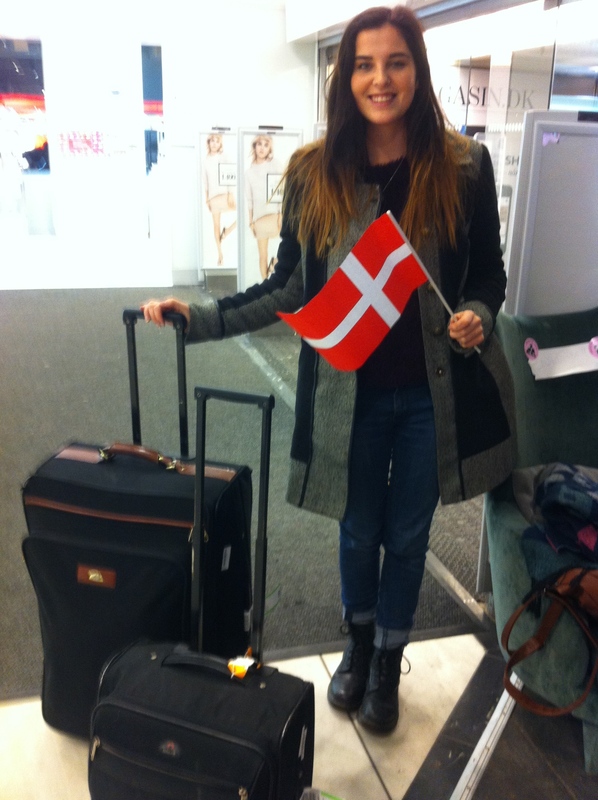 A Day Out in Copenhagen! 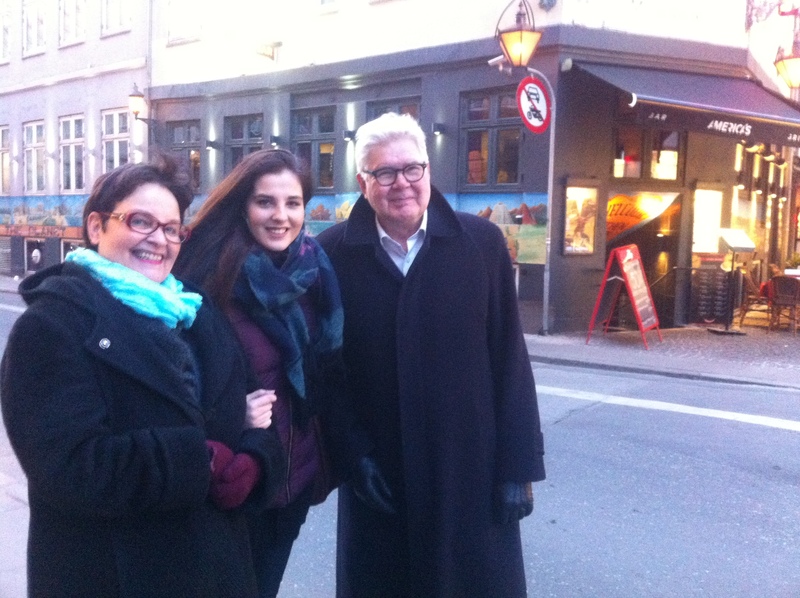 My daughter Venla visited me in Copenhagen last week. 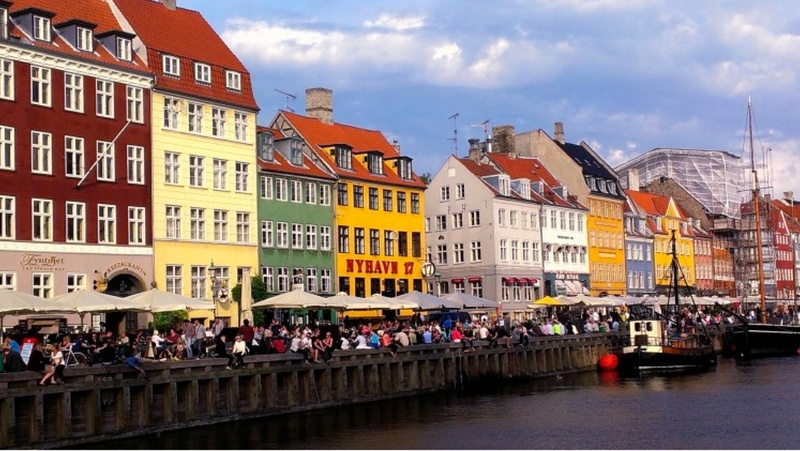 My current home is located right at the heart of the city in the beautiful area of Nyhavn, and she loves to hang out in the small shops, bars, cafe’s and restaurants that are lined up along my home street and the harbour around the corner. 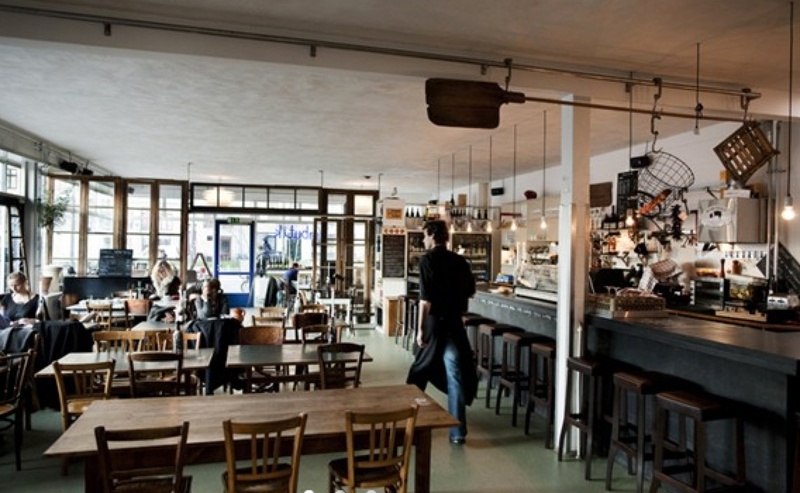 But in the weekend, when I was off work, we wanted to explore some of Copenhagen’s cultural attractions, and try out some of the specialities within the city’s food scene. 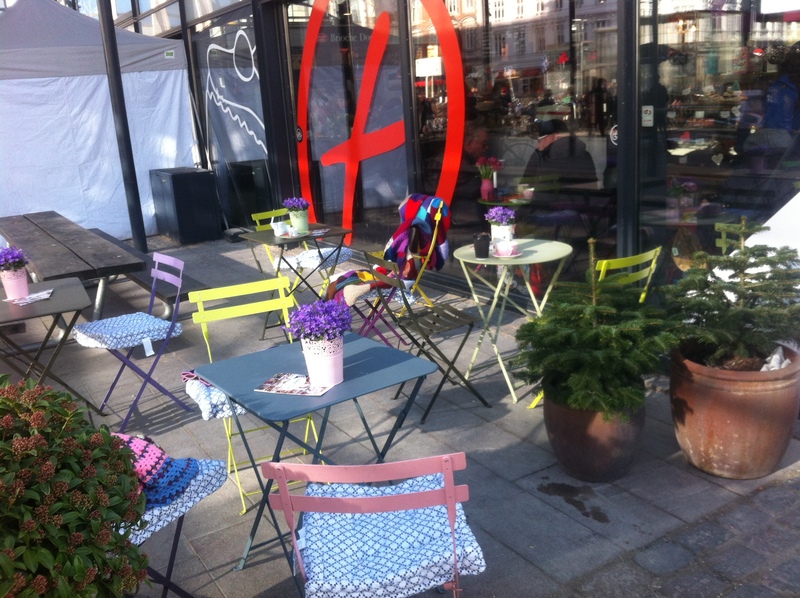 So on Saturday, just before the lunch hour, we took the Metro and decided to go at Torvehallerne, an urban market place near Nørreport train station, to try out Gorm’s gourmet pizza. 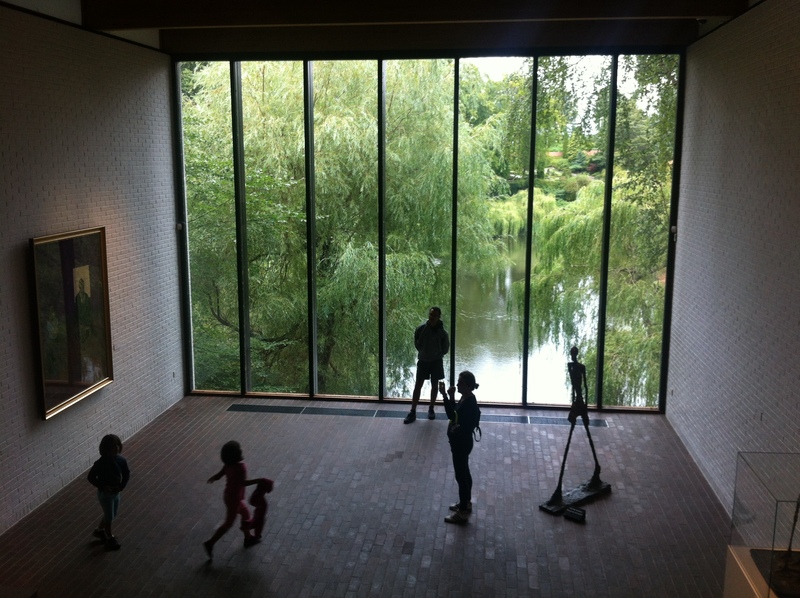 Having enjoyed two small, perfect small lunch-sized pizzas, we started making our way to Louisiana, Copenhagen’s leading museum of modern art, located about 40 minute train ride outside the city in Humlebæk. 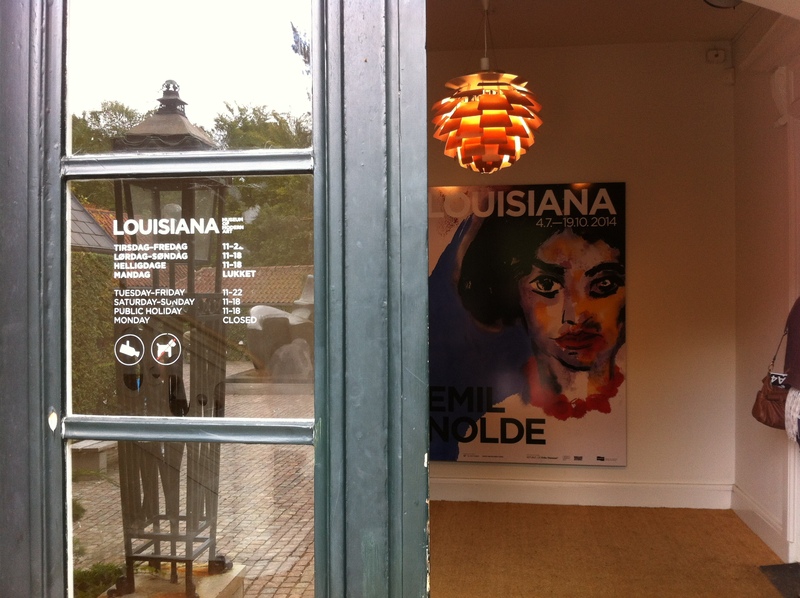 Louisiana is a lively centre for all kinds of cultural acitivies. Besides exhibiting works from it’s extensive art collections, the museum organises several special art exhibitions every year, as well as a number cultural events such as lectures and workshops, most of which take place in the evenings and weekends. 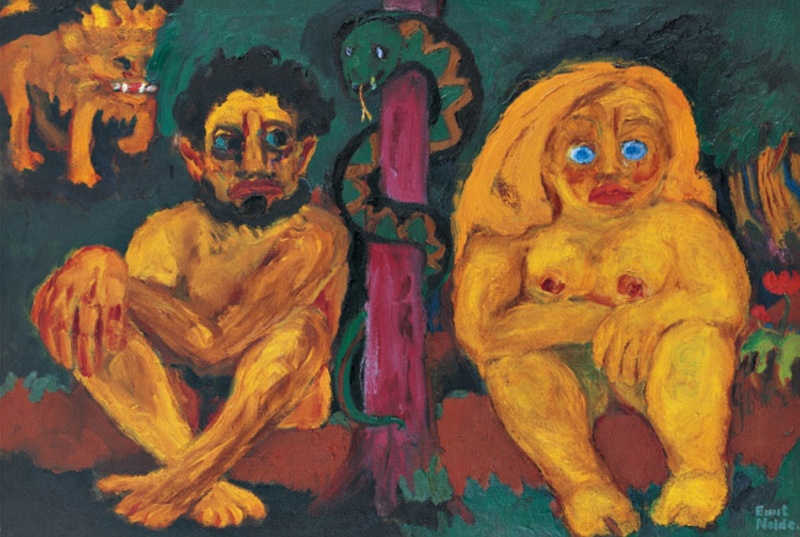 The current major exhibition consisted of works of Emil Nolde, the wonderful colourist who lived and worked in the ages of Impressionism, Symbolism and Surrealism together with some of the most renowned Western modern artists such as Picassso, Gauguin and Van Gogh. Although Emil Nolde was German by birth, his career and works are of special interest to Danish for he had close connections to Denmark. 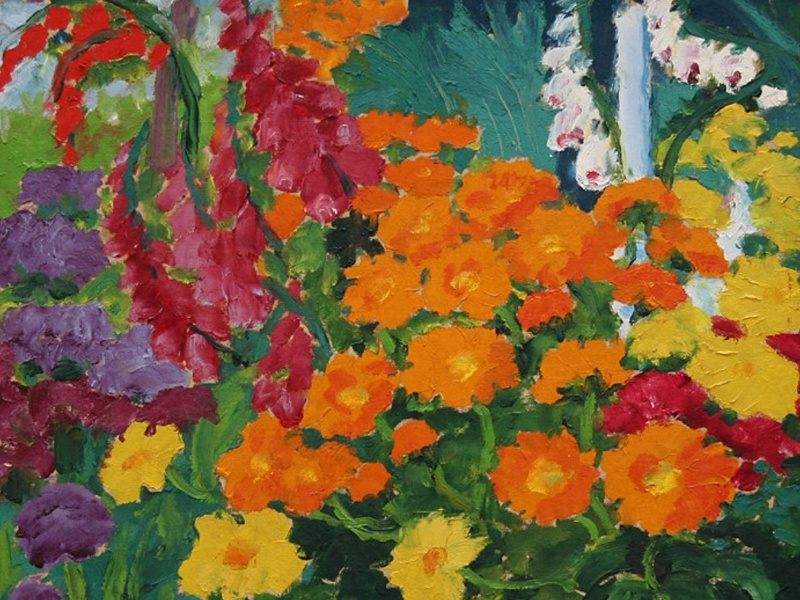 While some of Emil Nolde’s paintings that were exhibitied in Louisiana, such as his interpretations of religious subjects, were extremely peculiar, his use of his colour in the flower and landscape scenes was just breathtaking! 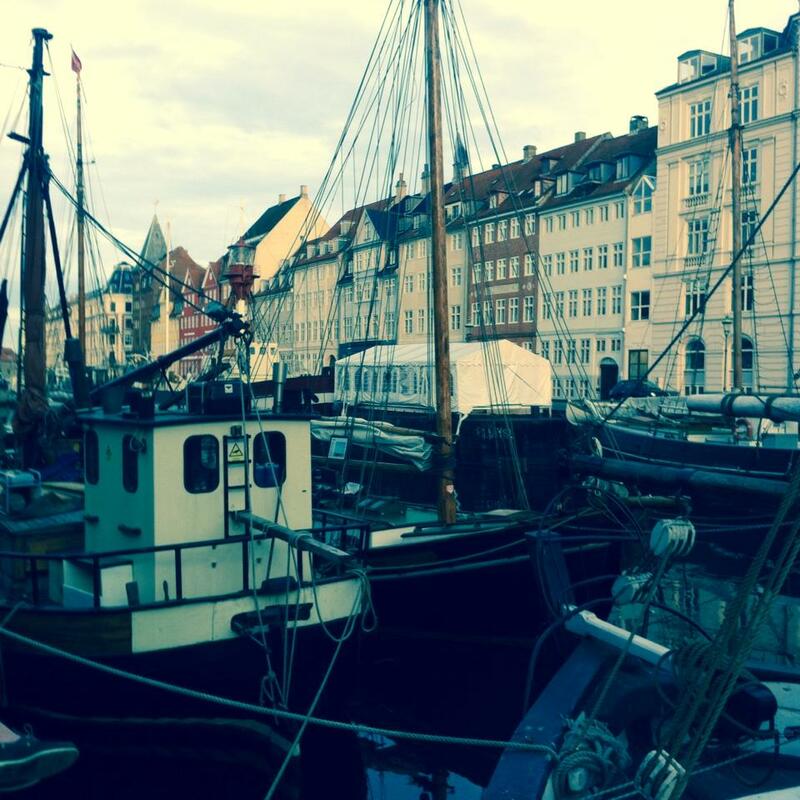 Still feeling inspired by our experience at Louisiana, we travelled back to Copenhagen and headed to Christianshavn to have a drink. 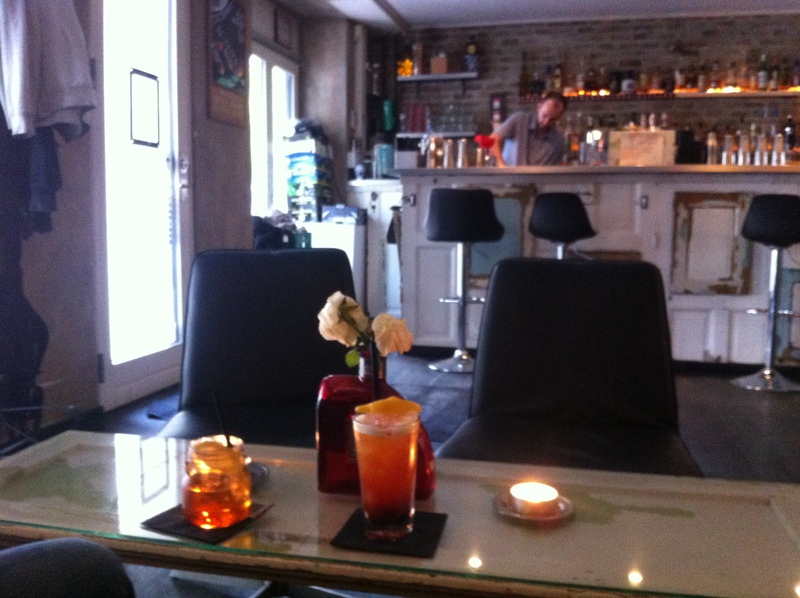 Christianshavn is a very nice neighbourhood to go out. 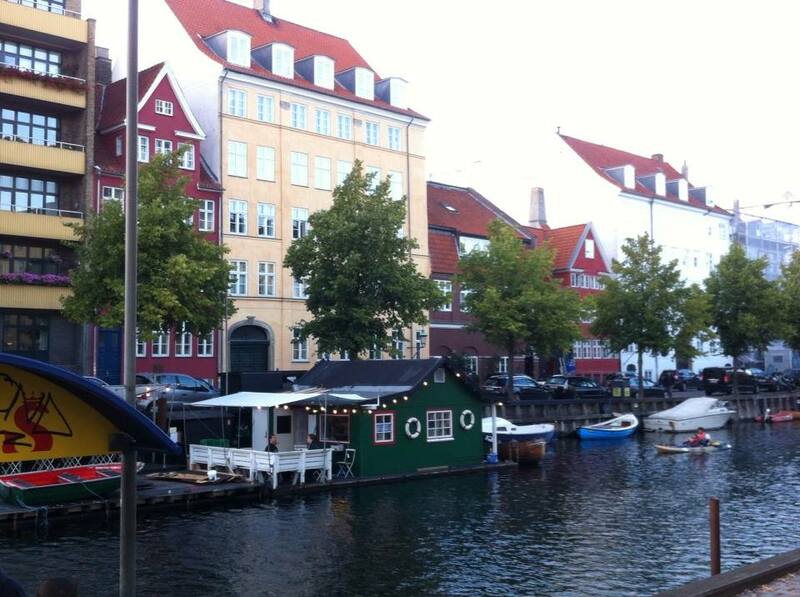 We especially love the little restaurant by the canal, opposite of Christianhavn’s Metro station. 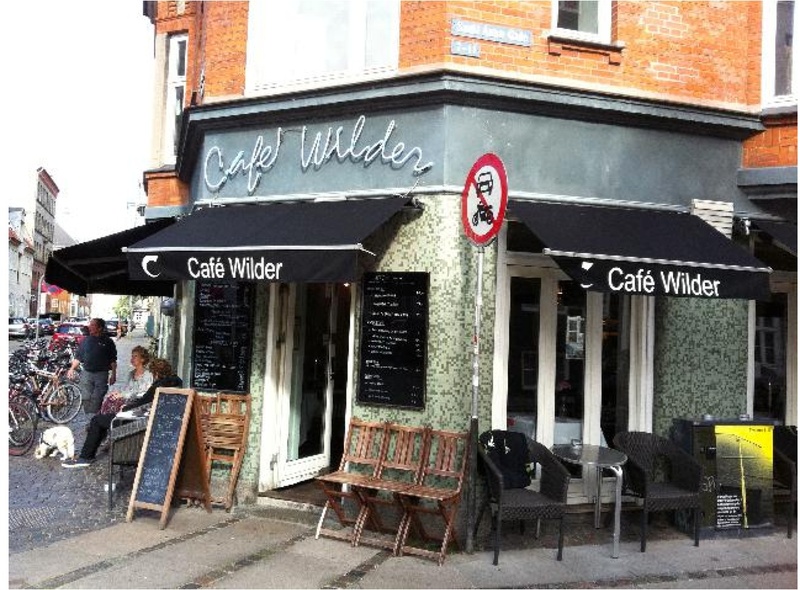 There are also some wonderful small restaurants in Christianshavn. 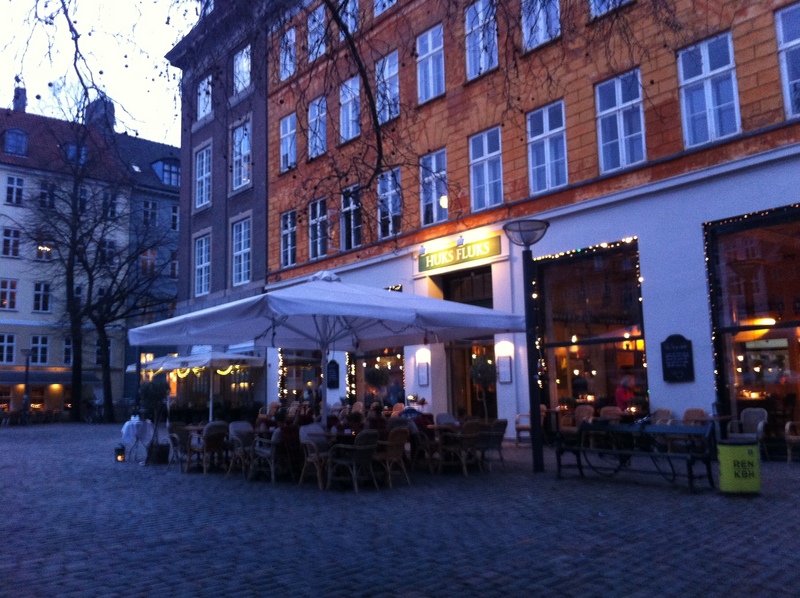 I especially love the small restaurants at Sankt Annae Gade. 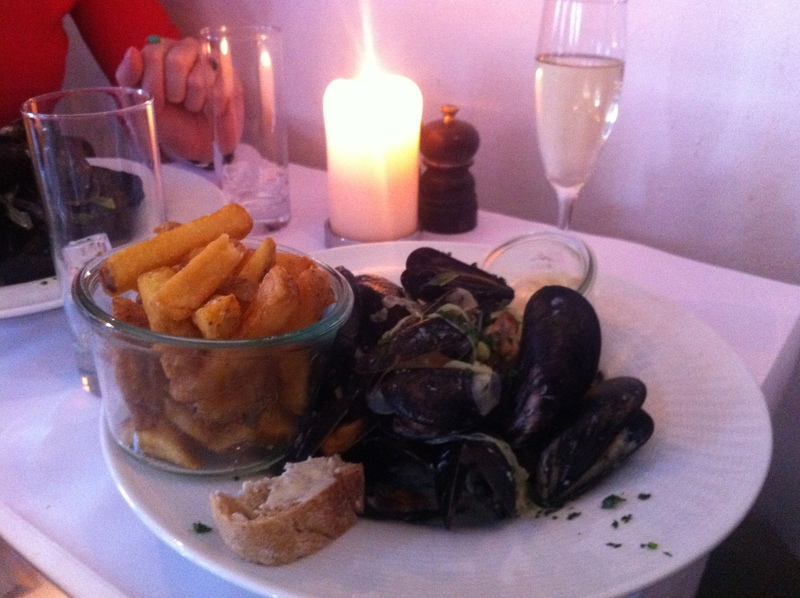 This time, we had portions of fantastic mussels braised in creamy whitewine sauce at Cafe Wilder. 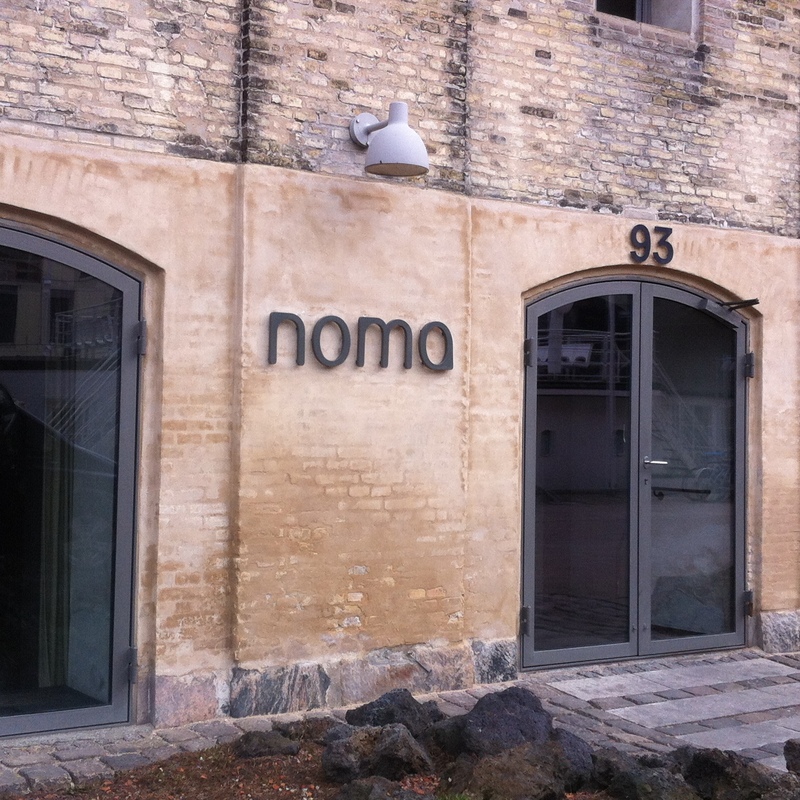 For those interested in new trends in the Danish culinary scene, I also recommend some of the new food districts in Copenhagen that I recently visited with the locals. 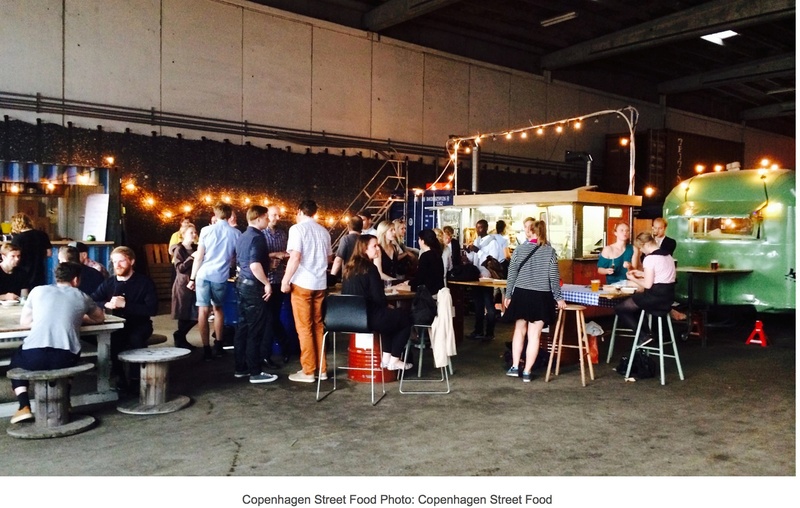 One is the Copenhagen street food on the ‘Paper Island’, opposite of Nyhavn, an old warehouse containing stalls that offer street food from Mexican and Cuban dishes to gourmet hot dogs in an old paper factory setting for a very reasonable price. Another place for a day or an evening out is the old meatpacking district in Vesterbro in the west part of the town, a slightly more expensive and trendy area which, in addition to shops and art galleries, includes some of the most trendy settings to enjoy seafood and meat platters in restaurants such as Paté Paté or Fiskebaren. 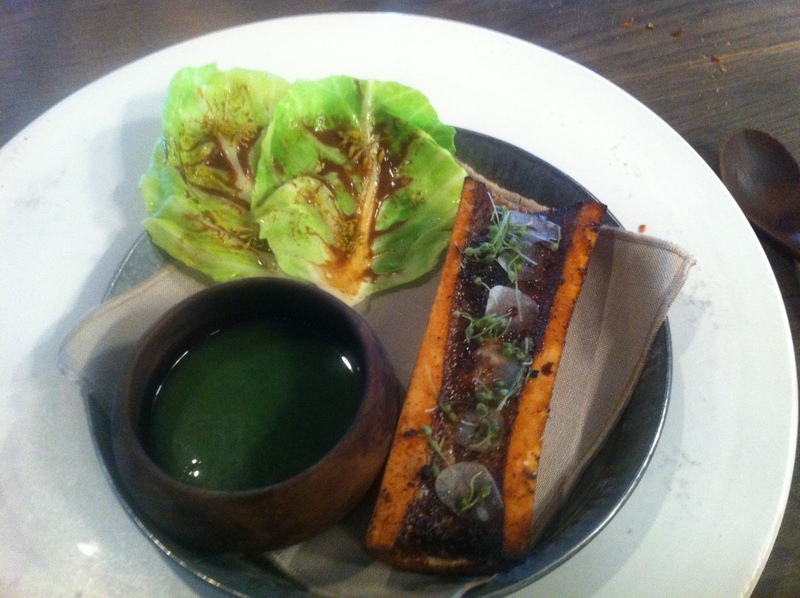 If you go to Paté Paté, try some of their liver dishes, they are absolutely delicious! For many years I have studied sixteenth century documents in Italian archives, trying to find new information about the material culture and the everyday life of Renaissance Italians. I have been particularly interested in how the ordinary people such as barbers, bakers, shoemakers and innkeepers experienced and understood the Renaissance culture. The picture that has emerged from this research is fascinating. It demonstrates that Italian people from most social classes, including modest artisans, had potentially access to, and an interest in fashionable goods and cultural conventions of the period. 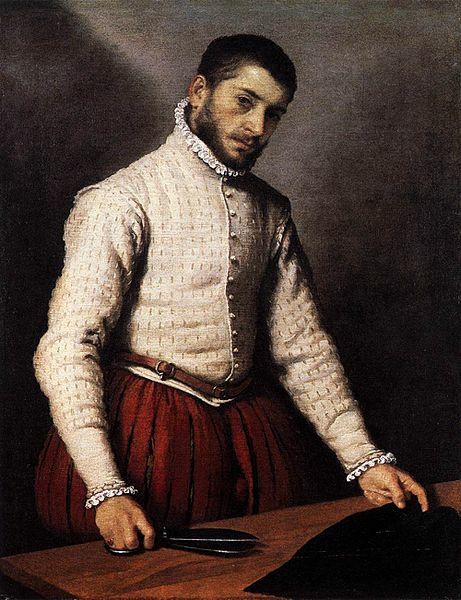 One famous visual example is the portrait painting of the tailor, painted by Moroni around 1570, seen on the left. The tailor is depicted in a self-confident pose, wearing a fine pinked cream doublet and red hose and looking straight out to the spectator. 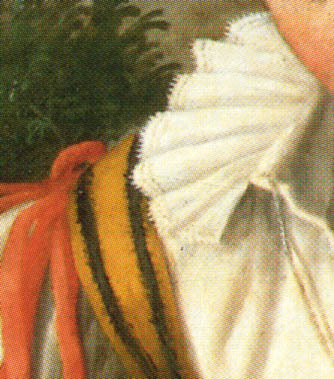 Even peasants and vendors often decorated their best outfits with lace borders, ruffs and embroidered patterns. 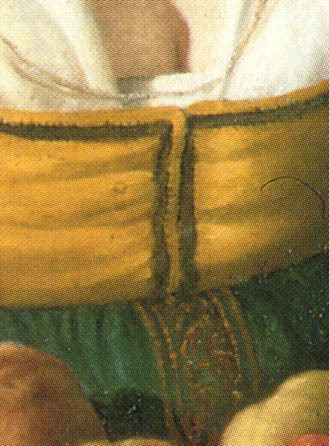 The decorative details on the right are taken from Vincenzo Campi’s painting of a Fruit vendor, 1570s. A few years ago, however, I began to ask new questions. 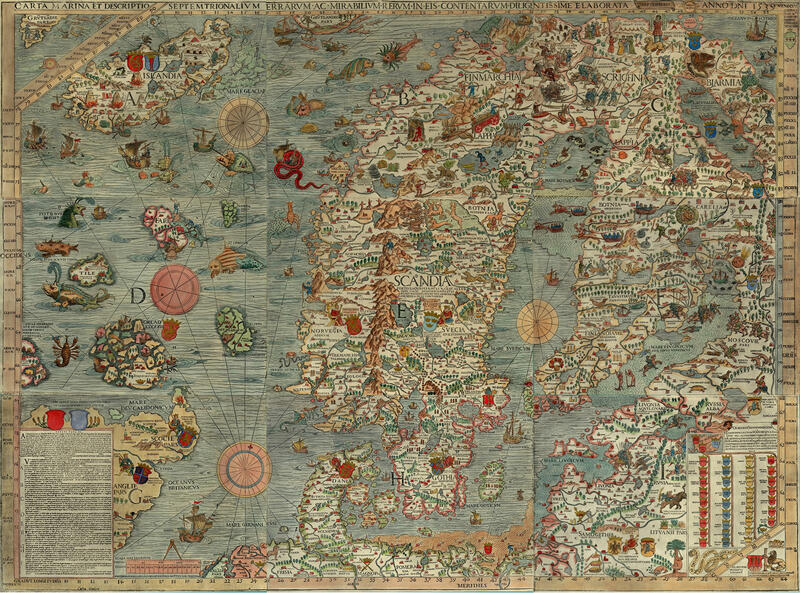 I was wondering especially how the European Renaissance influenced the culture in Scandinavia in the period, in particular in my own home country in Finland, which is seen on the right in Carta Marina, the first wallmap of Scandinavia by the Swedish historian Olaus Magnus in 1539 (below). The earliest wallmap of Scandinavia, Carta marina, by Olaus Magnus. The caption reads : A Marine map and Description of the Northern Lands and of their Marvels, most carefully drawn up at Venice in the year 1539 through the generous assistance of the Most Honourable Lord Hieronymo Quirino. The new curiosity towards the cultural past of my homeland was born out of an increasing awareness that generally us Finns -let alone the international community of scholars- do not seem to know much about the country’s 16th-century cultural past. We tend to assume that while the Italian wealthy princes and merchants celebrated the cultural achievements of their artists and humanists, we Finns were so cut off from the European civilization and their cultural codes that we ‘could not even use glass on our dining tables because there were too many drunk people mocking about”, as Olaus Magnus wrote in his ‘Histories of the Nordic People’. 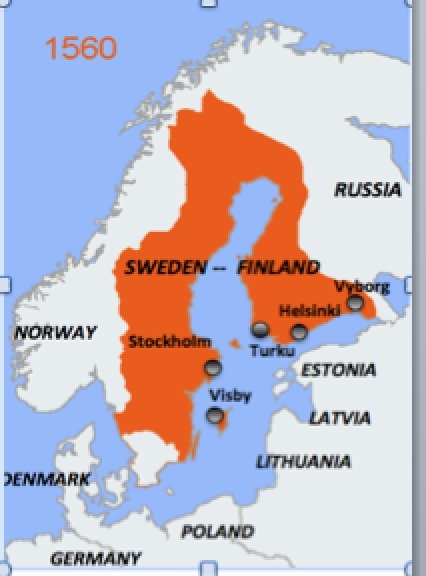 But was Finland really entirely culturally isolated from the rest of the Europe in this period? One way to approach the question is to look at international trade. In the early modern period, Finland was part of the Swedish Kingdom situated in Scandinavia along the Baltic Sea and the Gulf of Bothnia (map, 1560). 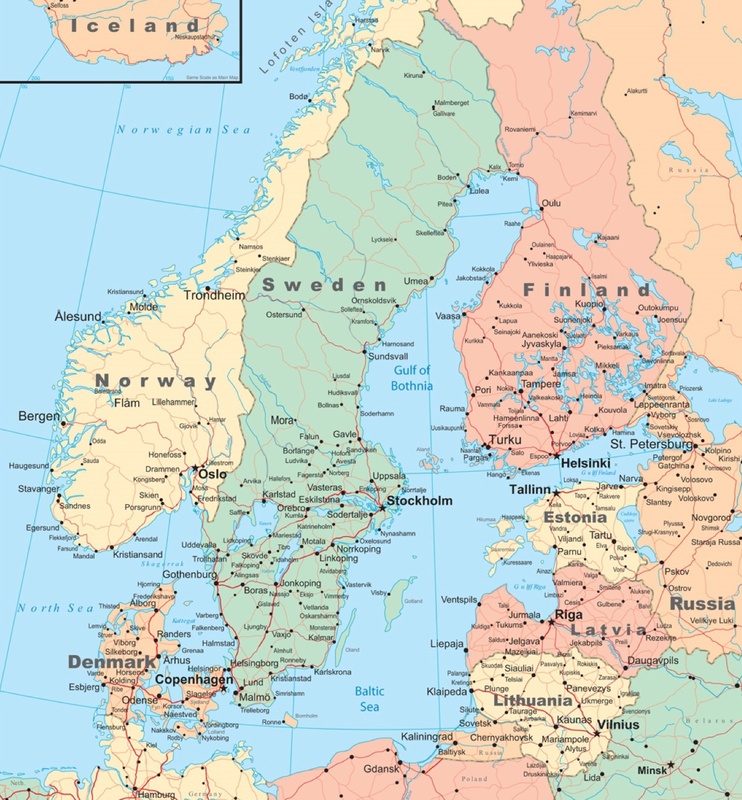 Despite the peripheral geographical location of the area in the North of Europe, the favourable position along the Hanseatic trade route provided the Swedish and Finnish noble families and merchants with great access for European culture and markets for luxury goods. It has been calculated by one scholar named Olle Ferm that by the end of the sixteenth century, up to 1/3 of the noble households’ goods in Sweden may have consisted of foreign imports. Most foreign trade was focused on textiles. 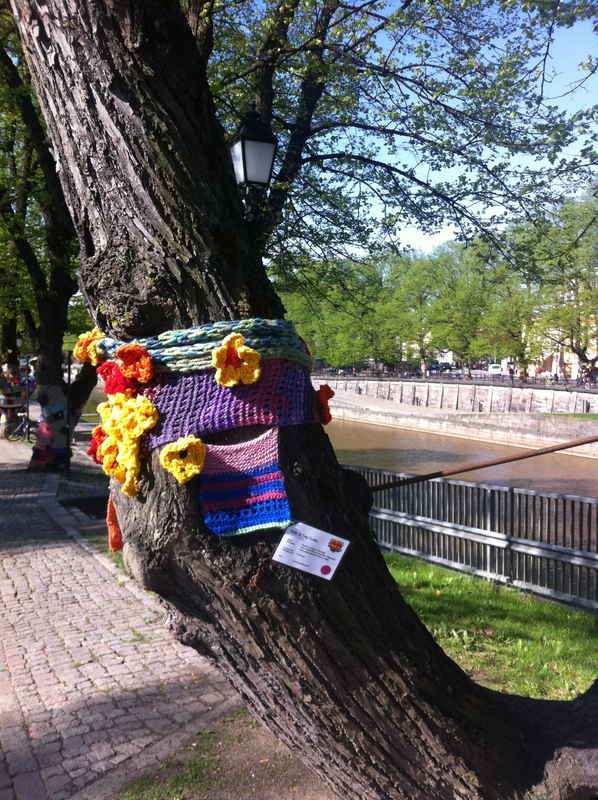 Fabrics from diverse European geographical areas such as England, Flanders, Germany Spain and Italy were imported in the biggest trading ports of Turku, Vyborg and Helsinki. The imported textiles also included luxury fabrics that were ordered by noble families for special occasions such as weddings. 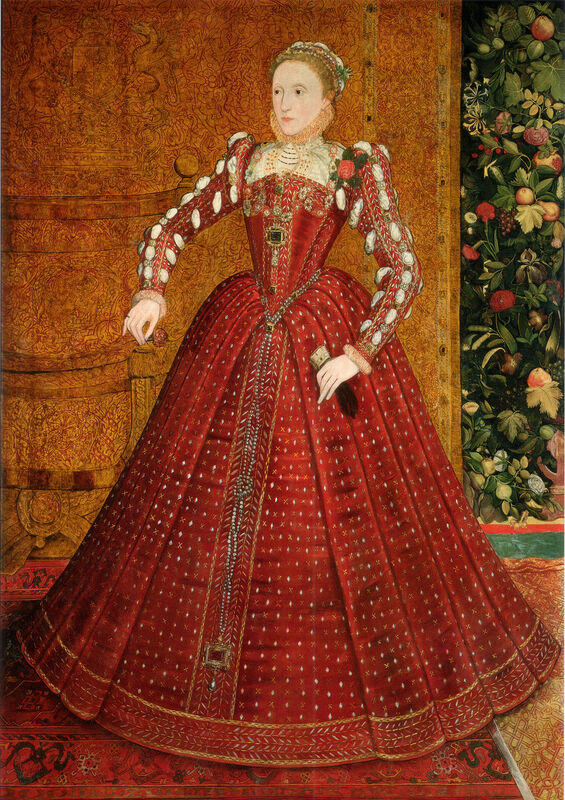 For example, one Carl Gustafson from the Finnish town of Turku ordered European luxury floral velvet, red satin, and silk veil worth a stunning sum of 649 daler for the wedding of his daughter Brita in 1591. 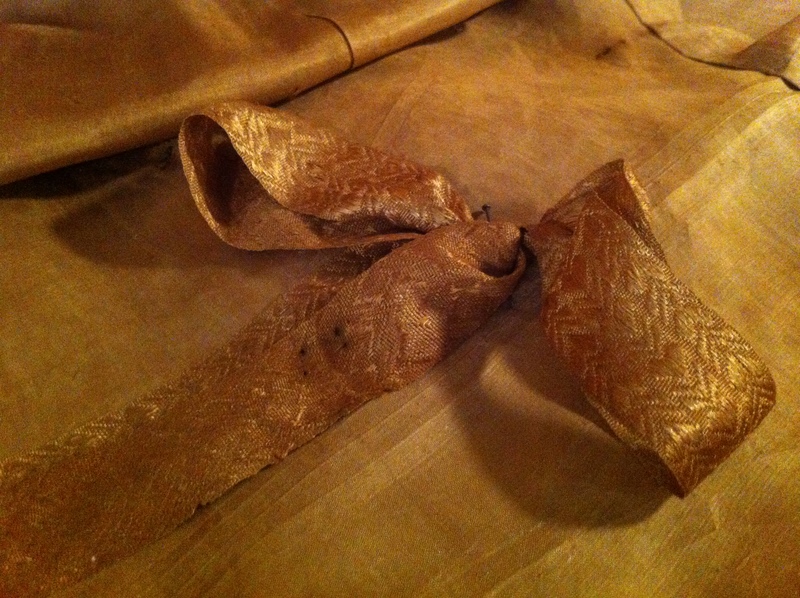 However, due to the high cost of luxury fabrics, fine fabrics were rather rare in both Finland and Sweden. 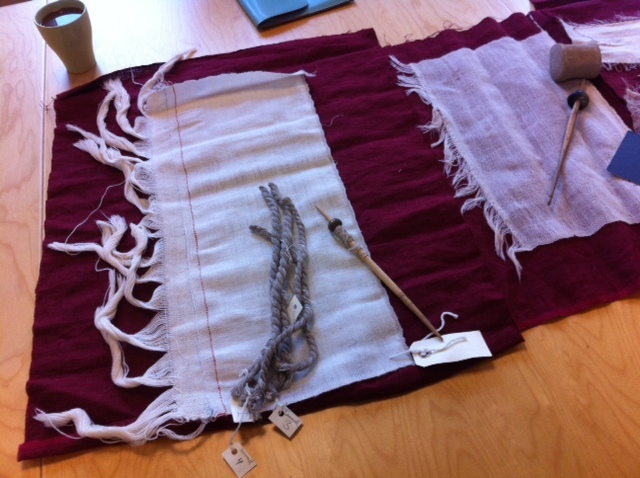 In 1559, for example, 38,5% of all goods that were imported in Sweden in this year consisted of textiles. 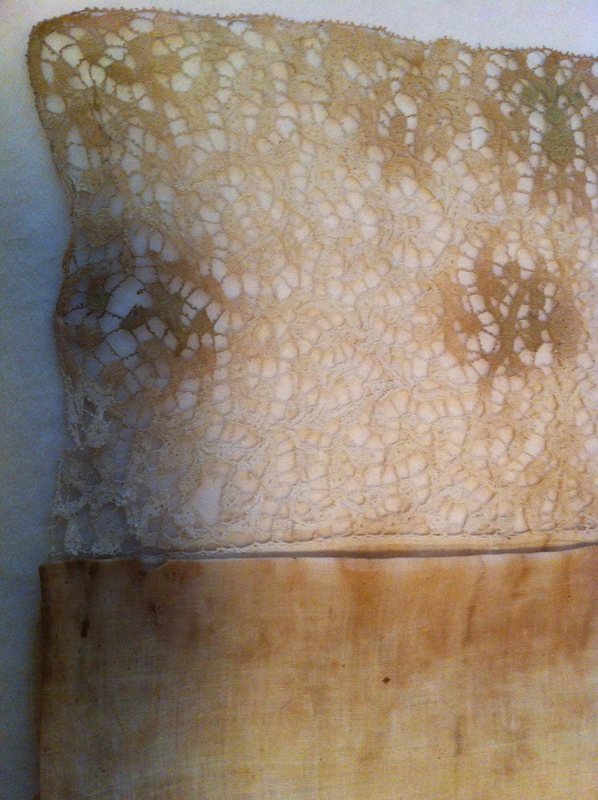 25,1% of this was broadcloth, 6,4% linen and coarse wool, and 4,3% silks and cloth of silver and gold. How do we know all of this? It is because customs records have survived well for Finland in the sixteenth and early seventeenth century. 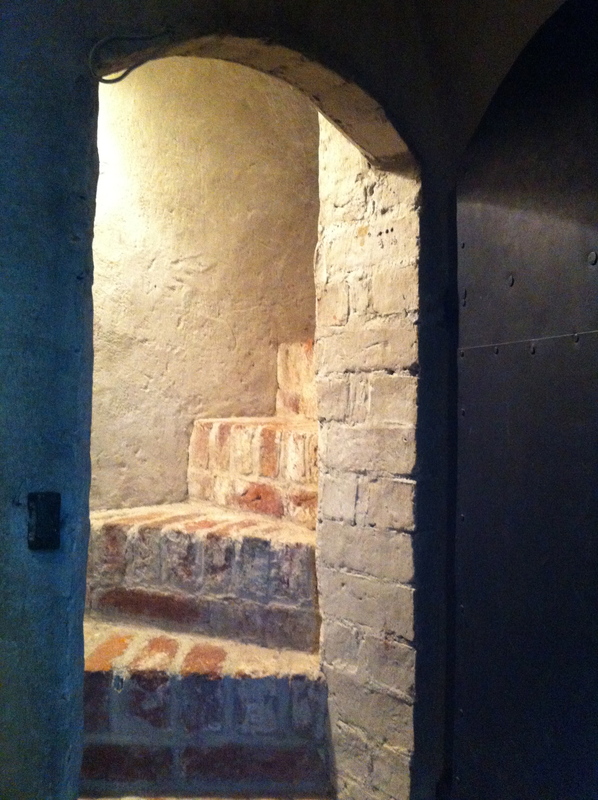 For example, for Turku they are available for the years of 1556, 1559, 1576-78, 1581-85, 1591-94, 1601, 1606, 1611, 1613, 1616, 1617. Here are two surviving examples from Turku from 1556. 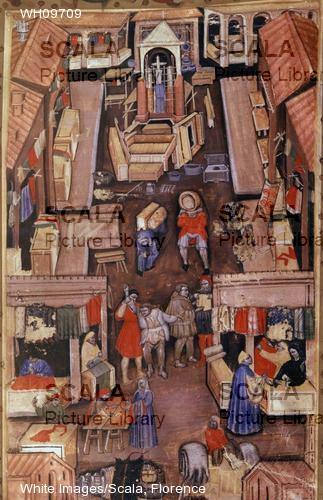 Although customs records cannot be seen as comprehensive sources of all imported textiles, because many families and traders bought goods directly from foreign merchants, they nonetheless provide extremely rich infromaton about the kind, quality, quantity, cost, origin and destination of the kinds of European fabrics that were bought and used in Finland in the period. Thanks to the extensive efforts of the Finnish national archive to make historical soruces available in digital form, these valuable documents can be found online (unfortunately only in Swedish!). To find them, go to the Finnish National Archive’s Digital Archive in http://www.narc.fi or follow this link. 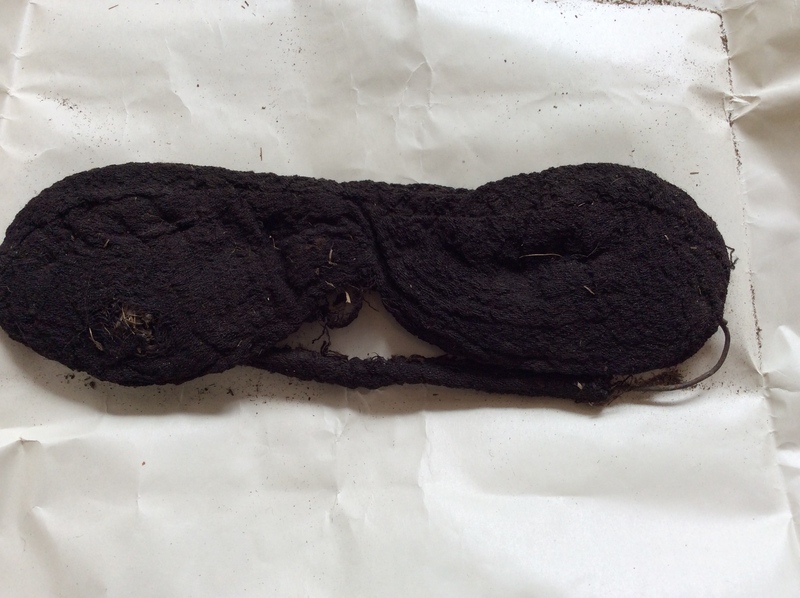 Textile historians and archaeologists in Copenhagen have a unique opportunity at present to extend their knowledge on early modern textiles, as archaeloists are excavating on construction sites at 22 locations spread throughout the city. 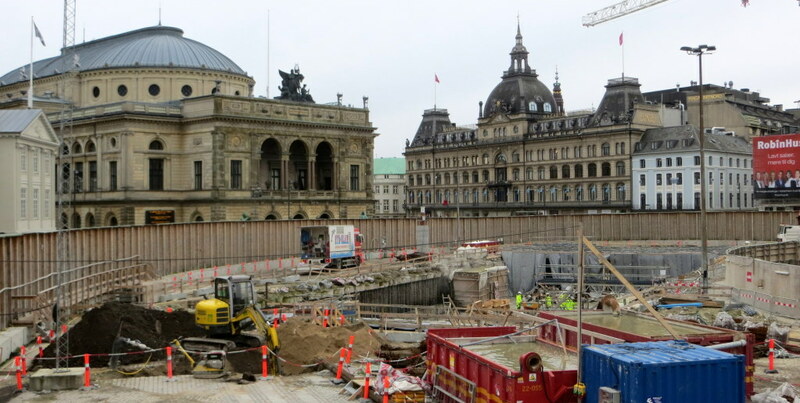 These construction sites were set up a few years ago in order to build a new circuit Metro line in Copenhagen that will connect the centre of the city at Gammel Strand with Assistens Kirkegård in Nørrebro. Although the building project is a pain for the city’s inhabitants and touritsts who still for several years have to juggle their ways around the sites that are placed in some of the largest and busiest squares of the town such as Rådhuspladsen and Kongens Nytorv (in picture above), it has made it possible for researchers to uncover new cultural layers of the city’s history and neighbourhood life. 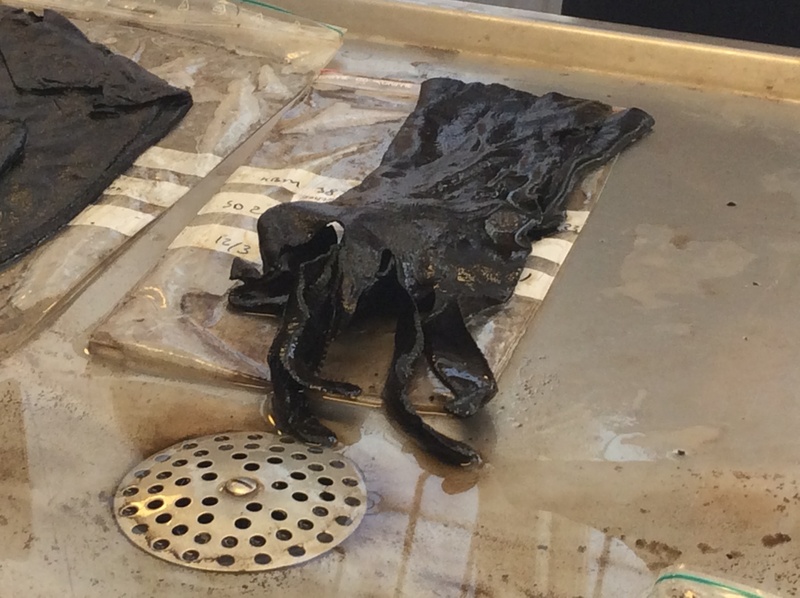 In the course of the excavations, archaeologists have discovered an extensive number of artefacts, including more than 2000 textile fragments from all kinds of clothing articles from the Renaissance period, such as trousers, hats, socks, gloves and jackets. 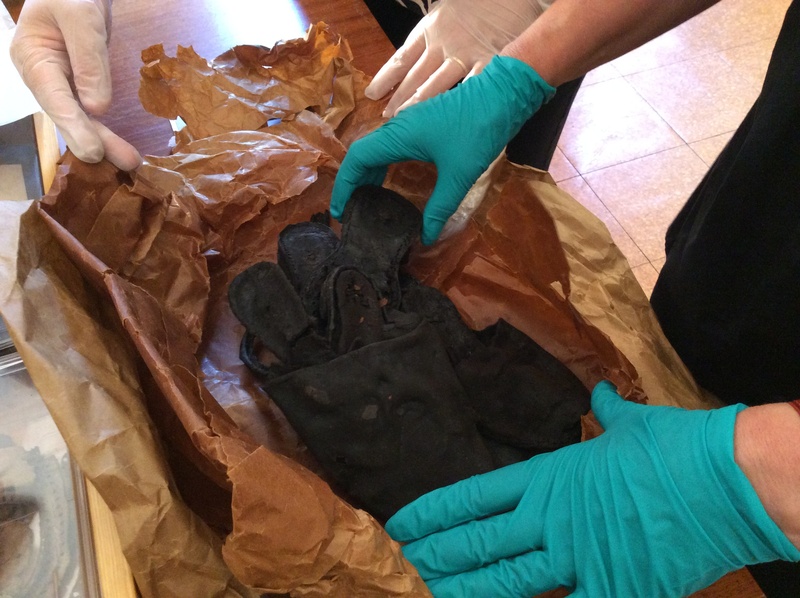 These were discovered in a moat fill that dates back to the 1660s. 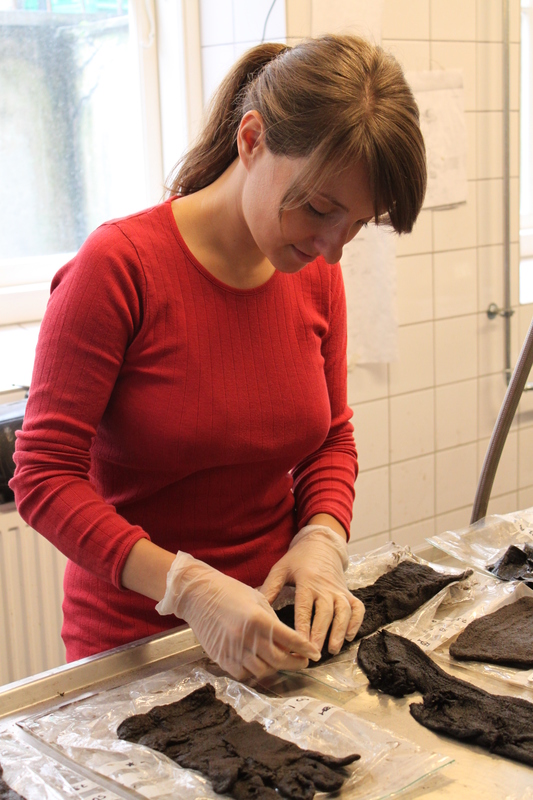 Two of our PhD students, Charlotte Rimstad and Vivi Lena Andersen, both archaelogists, are working on the excavated items. 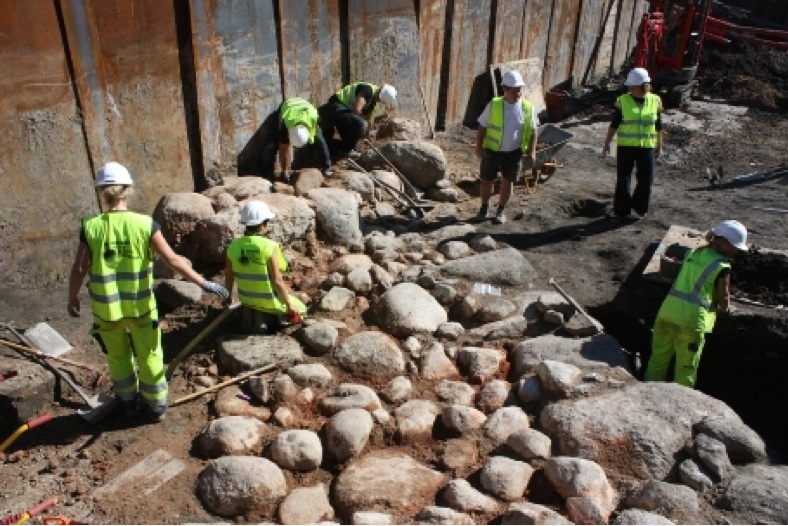 They told me that the excavated items are in superb condition because the wet soil of the moat provided excellent preservation conditions for organic material. 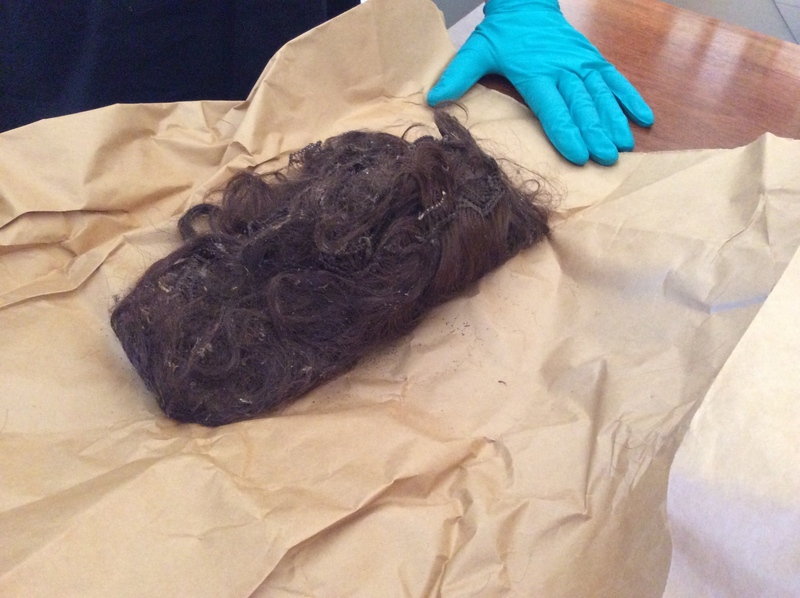 Many of the finds have been taken to the Museum of Copenhagen for conservation and storage and some of these small treasures were exhibited in the museum’s exhibition ‘The past beneath us’, opened in January 2013. 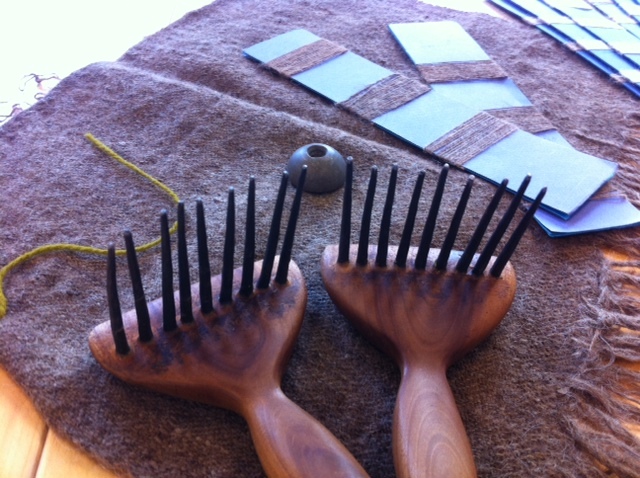 Here Charlotte and Vivi are preparing some of the items for conservation. 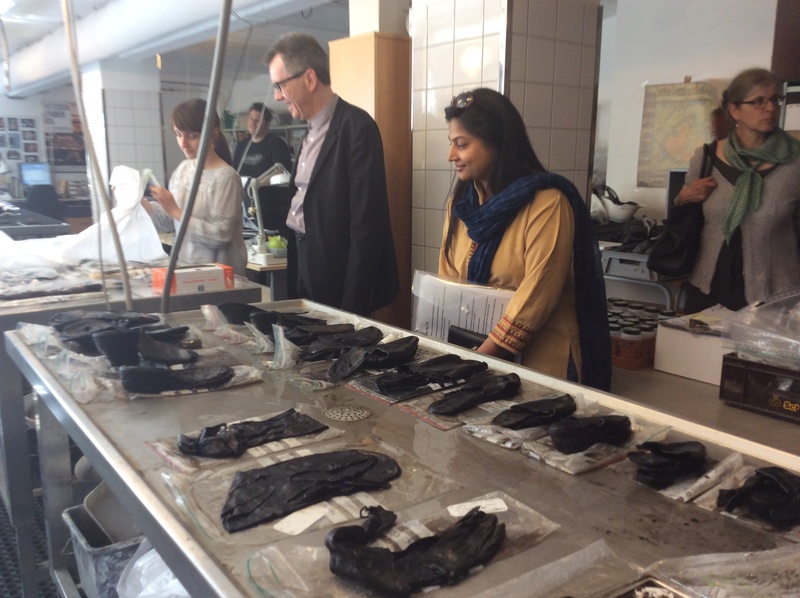 What makes the Metro excavation finds extremely interesting is that most of the excavated textiles and clohting articles belonged to the ordinary people, including artisans and labourers such as barbers, shoemakers, bakers, smiths and masons. 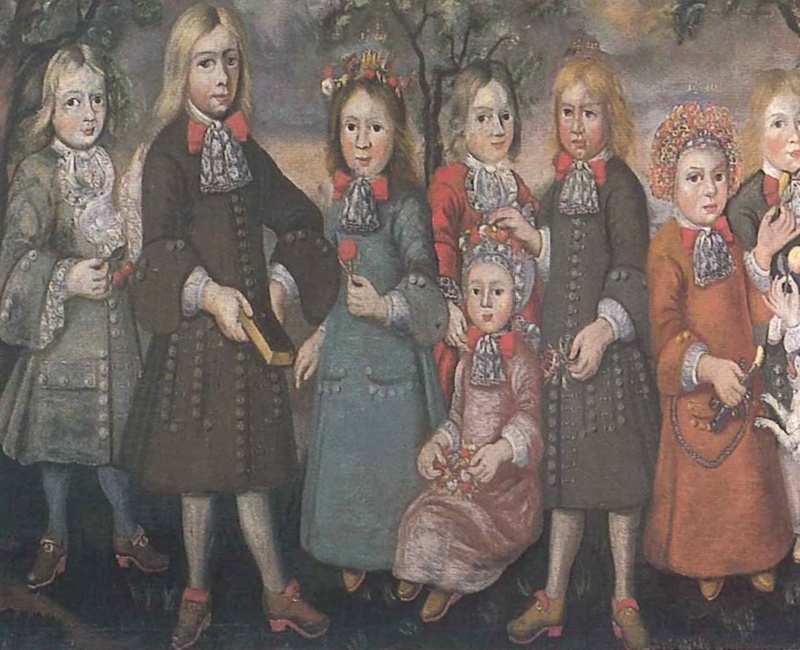 This provides a rare opportunity for us to extend our knowledge on early modern Scandinavian clothing and consumer cultures also beoynd the wealthy elites. 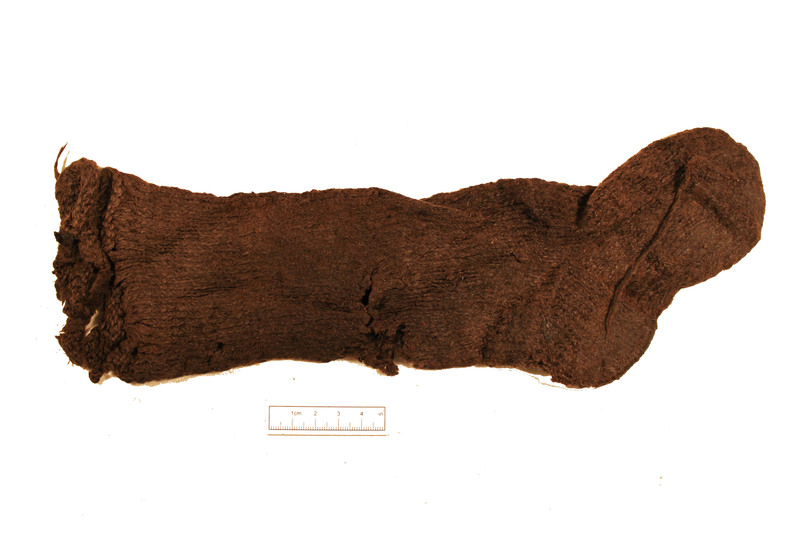 Here are just some examples of the excavated items, such as a knitted woollen stocking and a glove. 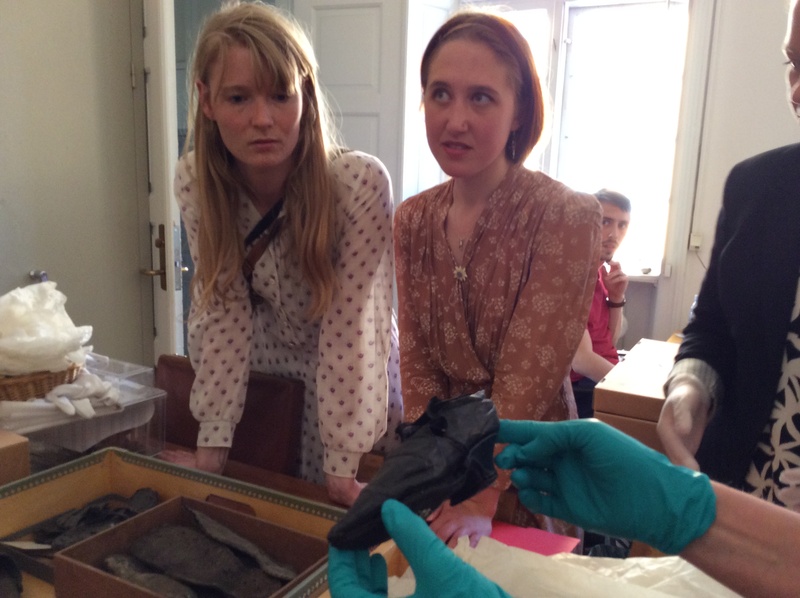 The excavated items also included a number of fashion accessories such as wigs and no less than 6000 pairs of shoes. One of these is a heeled shoe with a ‘turnover tongue’, seen in the image on the left below. 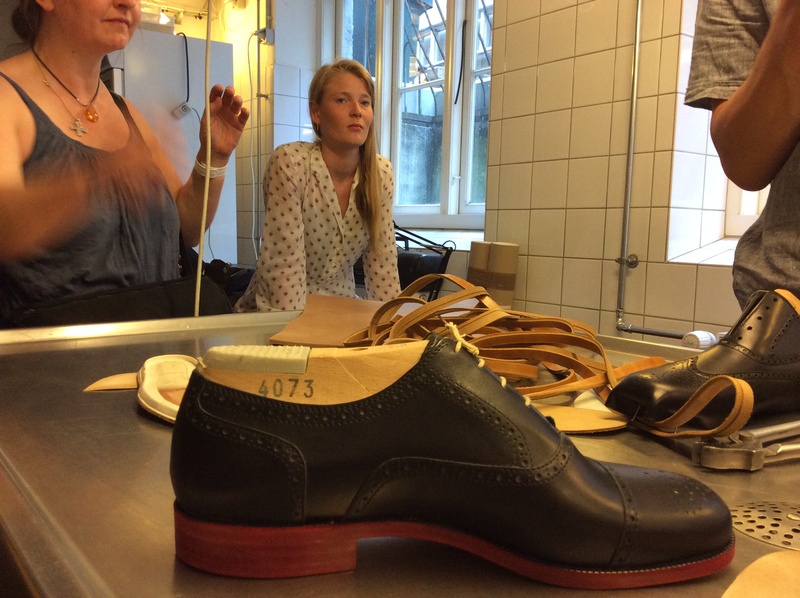 Similar shoes are found in a Norwegian painting from the period, as seen on the right. 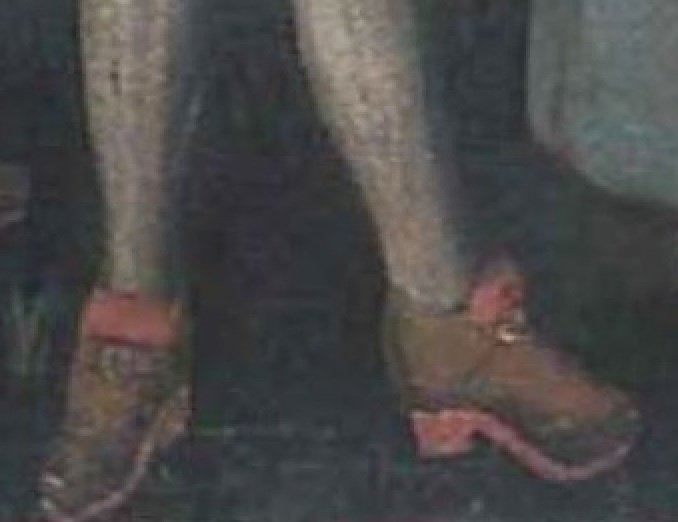 This Norwegian paintings also demonstrates that heeled shoes such as these were not only worn by women but also by men. One interesting feature about the heels is the colour. 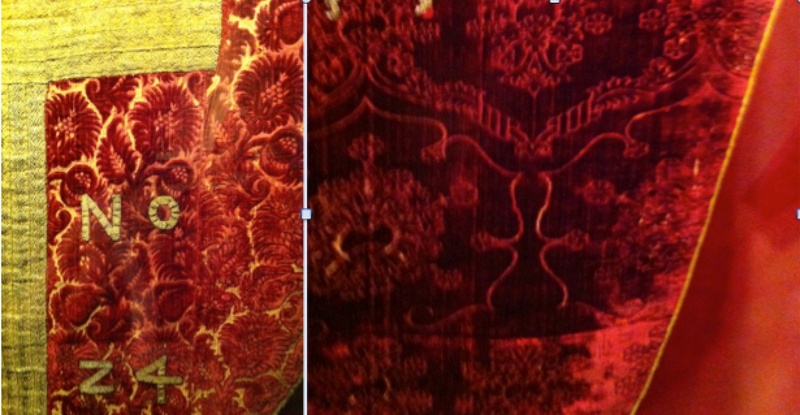 As you can see in the detail on the left, they are painted red, perhaps in imitation of French fashion. 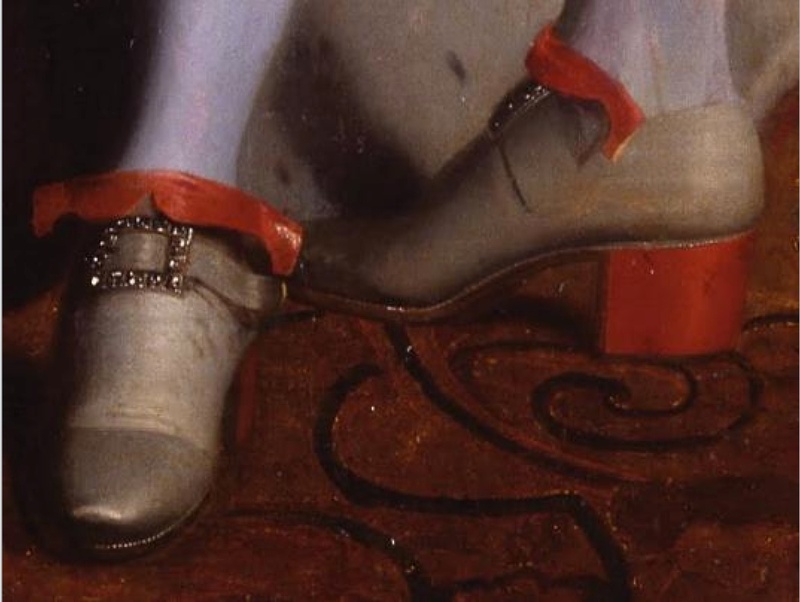 On the right, a pair of red heeled shoes is worn by the French king Louis XIV in his portrait painted in 1701. 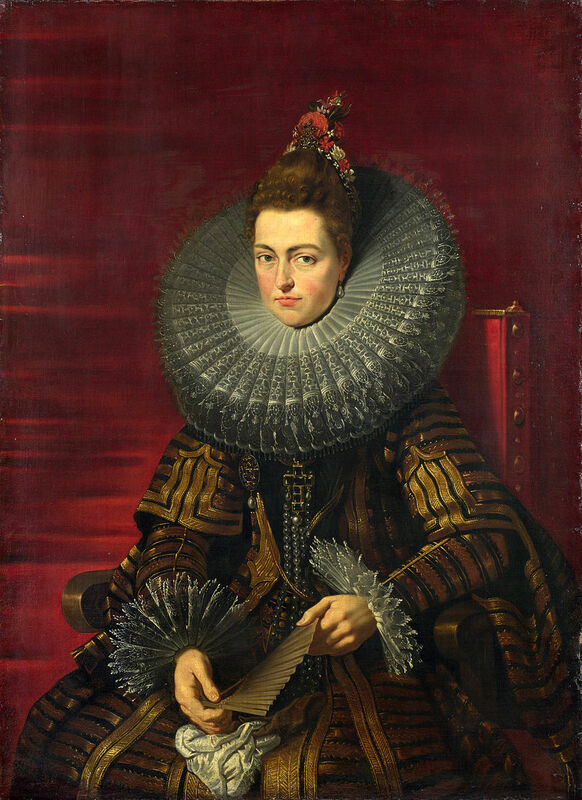 This is just one example of how fashion ideas started to spread with an increasing speed and in many variations around Europe at the time, also in the North. 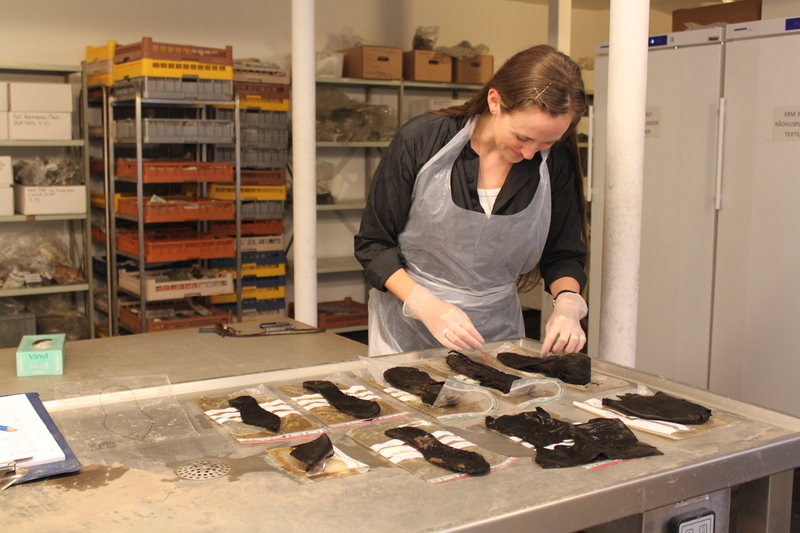 All excavated items are dark brown or black when they are found, but many of them were originally colourful pieces that were covered with expensive silks, velvets, brocades, cloth of gold or gilded leather. On the right you can see a pair of beautiful British silk shoes from the 1750-70, today at the Metropolitan Museum of Art. 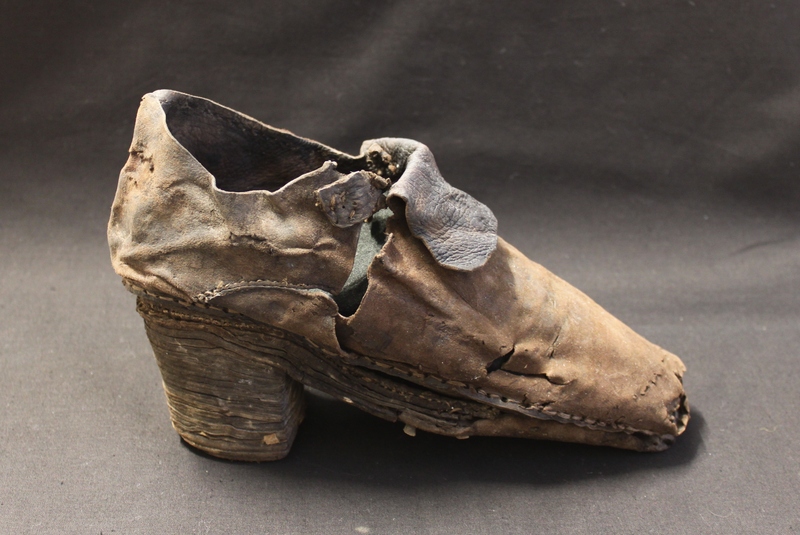 If you are interested in early modern shoes, you can read more about their appearance, use and cost in the works of, for example, Giorgio Riello, Michelle O’Malley and June Swan. 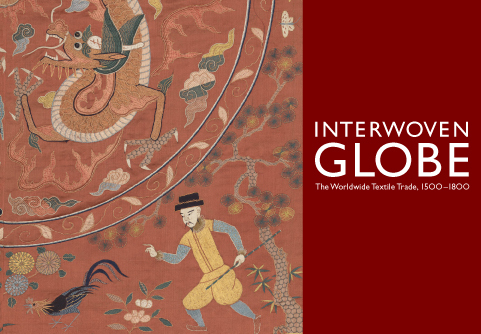 Just a few weeks before Christmas I travelled to New York to see the major textile exhibition ‘The Interwoven Globe: The Worldwide Textile Trade, 1500-1800’ at the Metropolitan Museum of Art. 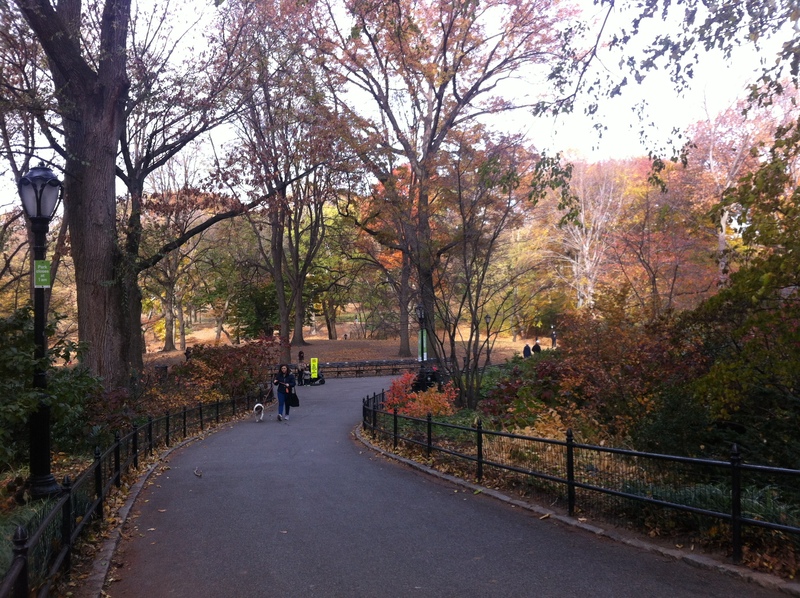 Having passed a number of breath taking skyscrapers, juggled my way through the buzzling New York city life, and walked through the Central Park dressed so beautifully in yellow Autumn colours at this time of the year, I arrived early on a Friday morning at the museum that is located on the 5th Avenue right next to the Central Park in the north part of Manhattan. 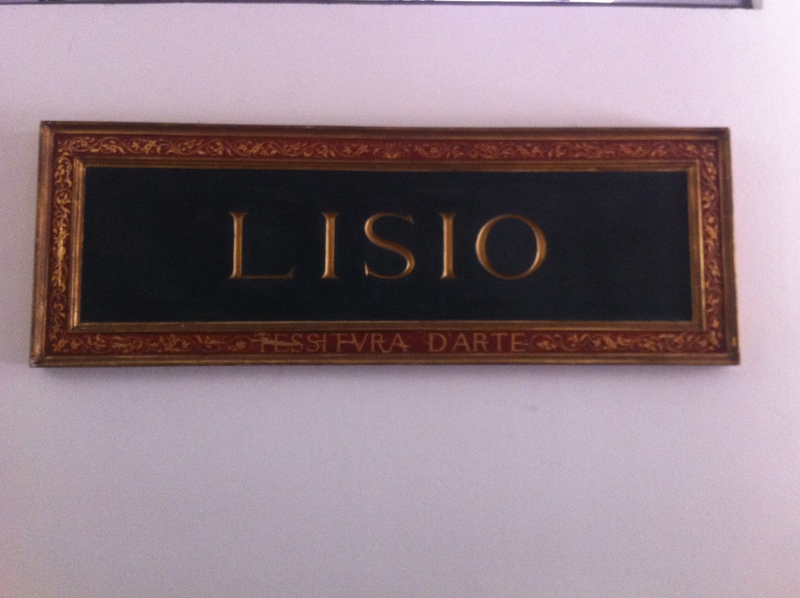 This museum it particularly dear to me because, in addition to paintings and sculpture traditionally regarded as ‘high arts’, it includes a large collection of domestic and decorative arts from the Renaissance period. 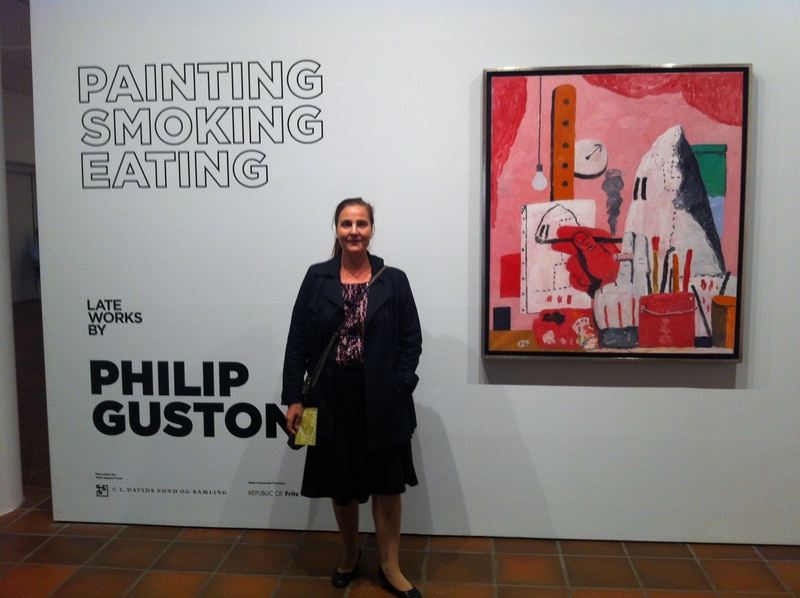 This museum visit wasn’t one of the casual exhibition tours that I usually do in my work or spare time. Instead it offered me an opportunity to view this stunning exhibition with the people who created it, and participate in a workshop organised by the Textile Society of America downstairs at the Ratti Textile Research Centre -the research centre that takes care of the museum’s textile collections. 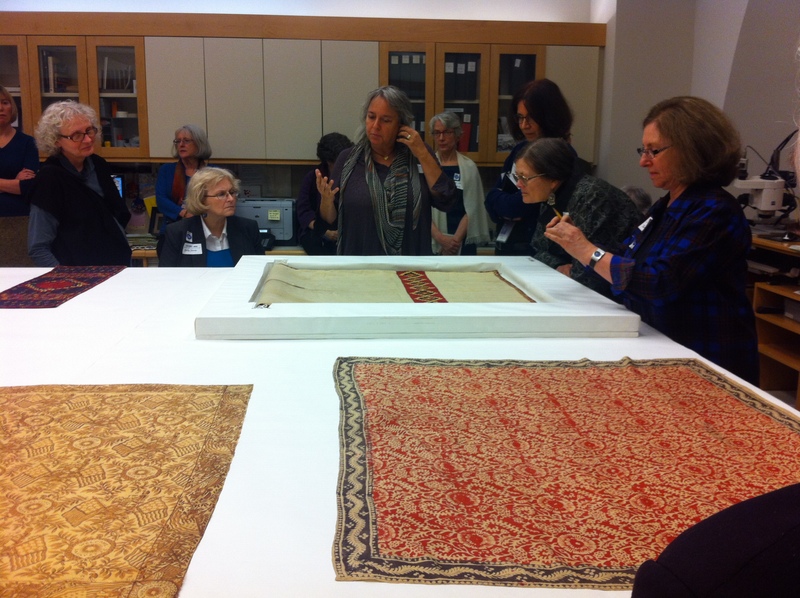 This provided a special occasion to learn about the ideas that were behind the Interwoven Globe exhibition as well as to hear the amazing stories that were associated with some of the textiles in the museums’ storage space. 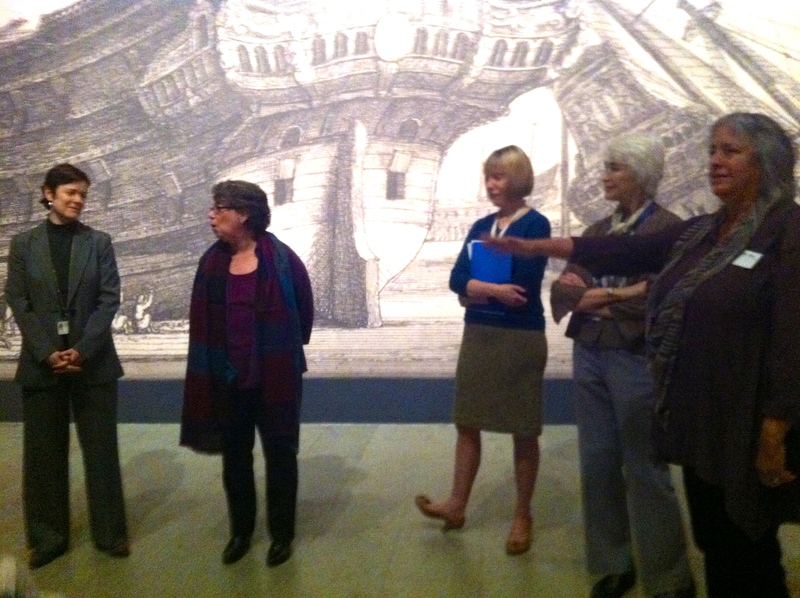 In this picture below, we are about to start the museum tour with the curators of the ‘Interwoven Globe’, Amelia Peck, Melinda Watt, Amy Gobansky, Joyce Denney and Elena Phipps, and later we are looking at the textiles at the Ratti centre. 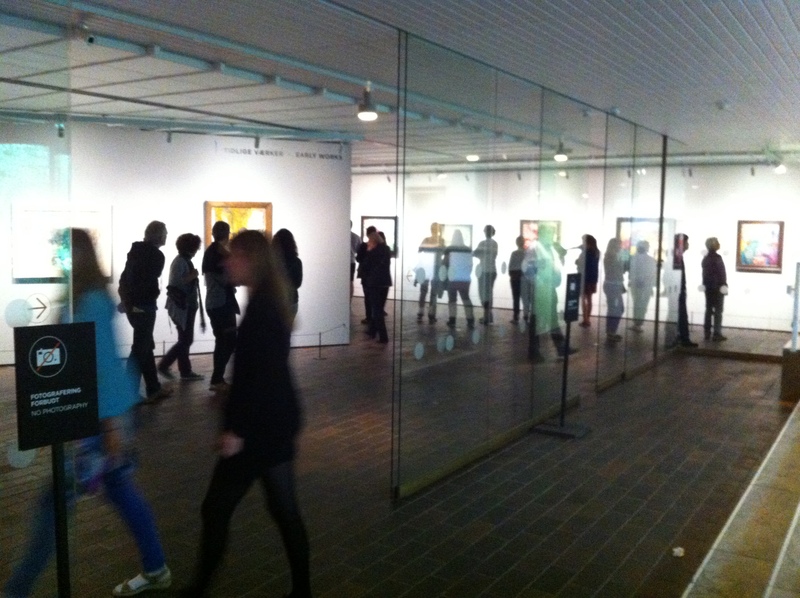 Every exhibition tells a visual story. The Interwoven Globe was a story of early modern textile trade explored, unusually, from the point of view of design history. The significance of the exhibition was that it did not just highlight the role and importance of cotton, silk, wool and linen, dyeing, printing, weaving and embroidering in the history of our world, but it also emphasised the beauty and sophistication of these often overlooked objects. 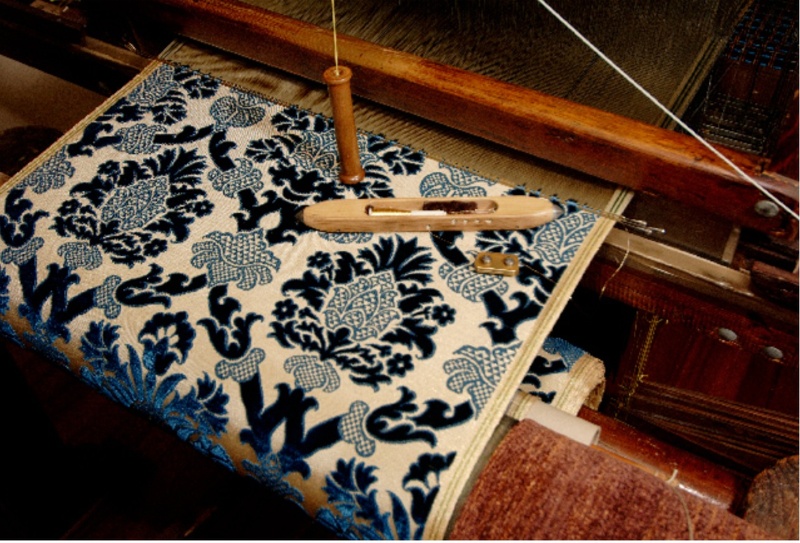 Doing so, it demonstrated that textiles, along with their complex designs and highly sophisticated methods of execution, can and should be viewed as ‘works of art’. 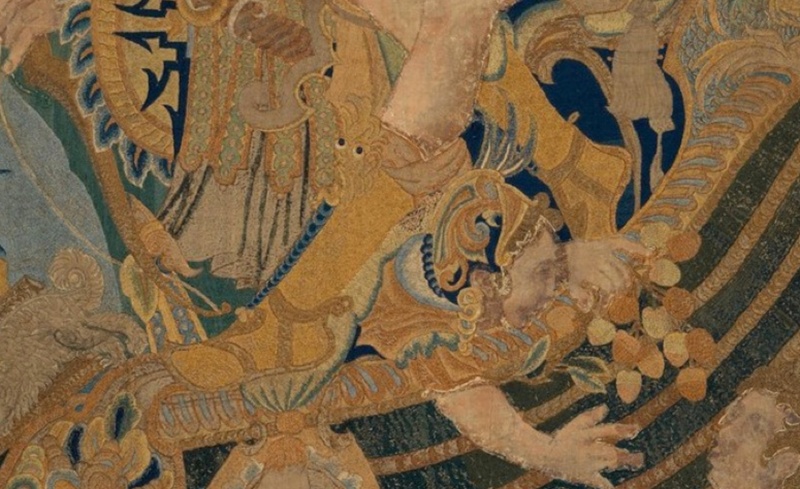 The exhibition focused on professional high-quality textile artefacts that were produced for the international market, including embroidered, woven, dyed and printed wool, silk and cotton textiles across cultures in Europe, the Americas, Asia and India in the period between 17th and 19th centuries. Juxtaposing these enormous works of textile, the exhibition explored not just how objects and materials were traded along the oceanic trade routes but it also examined how tastes and cultural ideas associated with textiles travelled around the globe, influencing the design, production and consumption of these masterpieces. 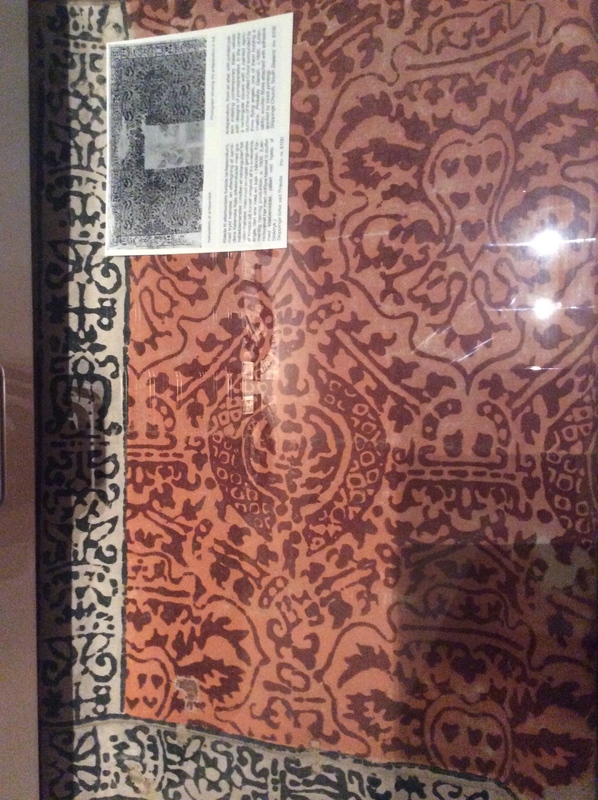 Global knowledge of design was immediately visible in the exhibited textiles. 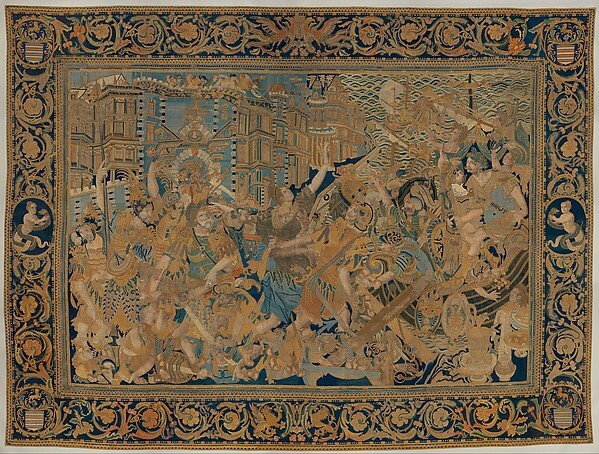 In the first room of the exhibition, we were introduced to this fascinating 17th-century embroidered and painted textile, showing the Abduction of Helen. Although the theme is very Western, it was produced in China and incorporated Asian motifs: instead of the usual grapes found in Western versions, one of the female figures on the right holds a bunch of lychee fruits! The increasing global trade and the information about other cultures and their designs stimulated interest for the ‘exotic’ in Europe. We learned that in the period between 17th and 19th centuries, Chinese and Indians produced a wide variety of novel culturally hybrid designs, mixing Western symbols and images with Asian motifs, such as flowers and mythological creatures from Indian or Chinese legends. 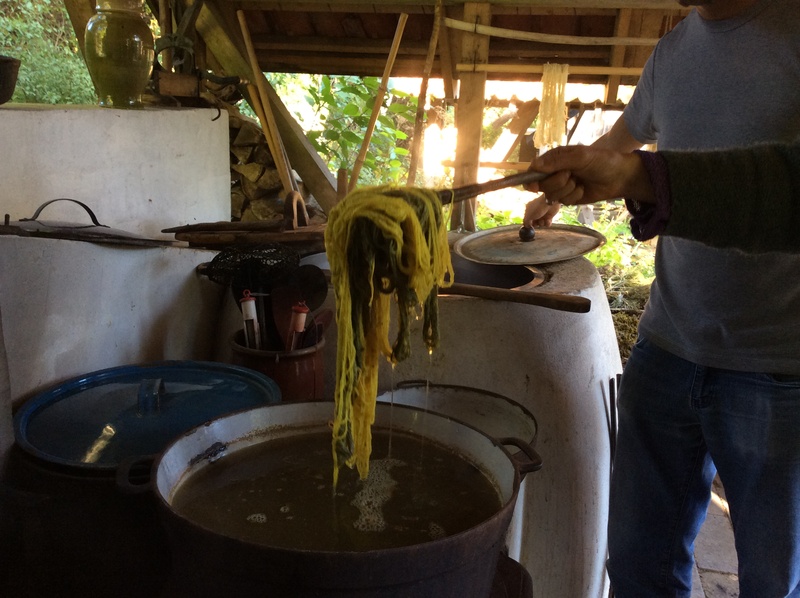 Producers often created the textiles to the customers’ tastes. 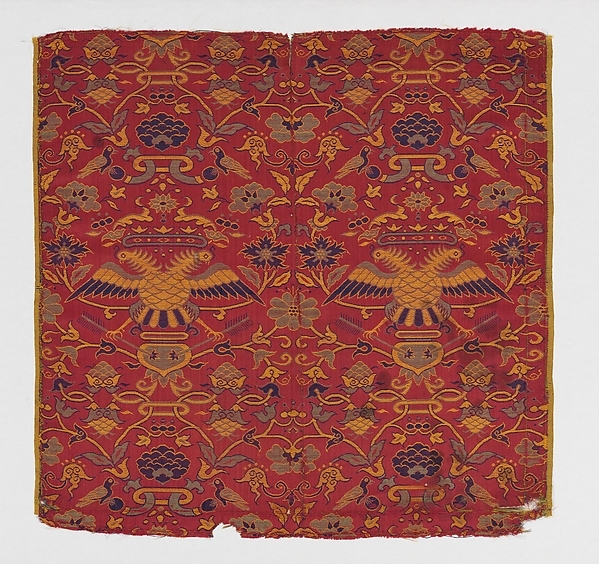 This Chinese woven silk produced for the Iberian market, for example, incorporates in the design crowned double-headed eagles, often symbolic of the Habsburg rulers of Spain and Portugal. ‘Exotic’ products appealed in the West not just for their imagery, but also because of the quality of their materials and techniques. 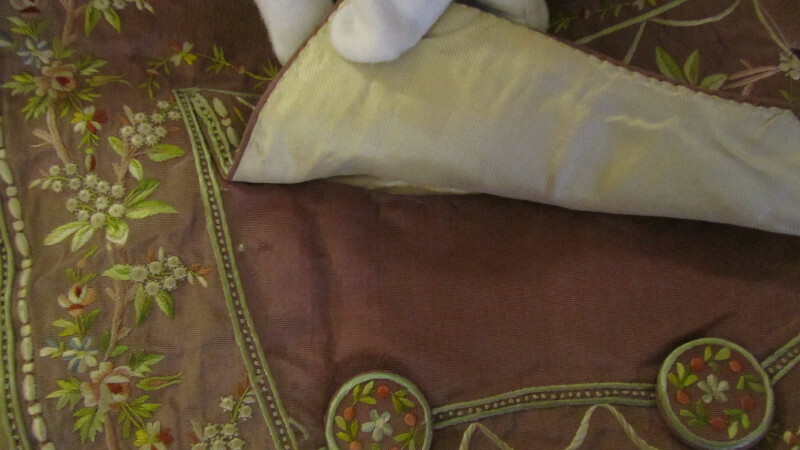 Look at the superb quality of this 17th silk and cotton quilt! 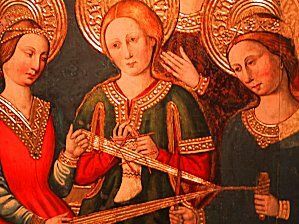 Large woven silks and embroideries were hugely expensive and, therefore, suitable status symbols for Western consumers. Europeans, however, were not just fascinated by the most expensive textiles, but they also valued colourful Indian hand painted or printed cottons from the sixteenth to the nineteenth century. 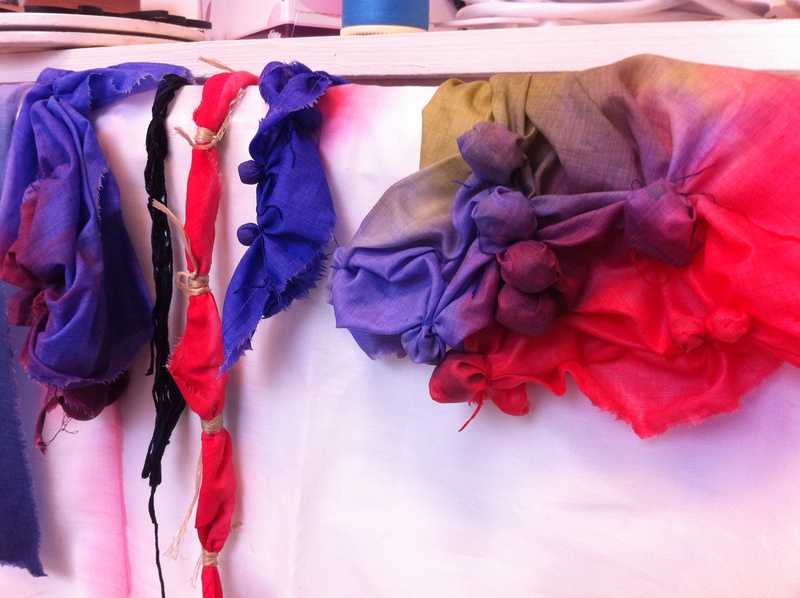 These appealed for their design but also because they were light, washable and, in most part, reasonably affordable. 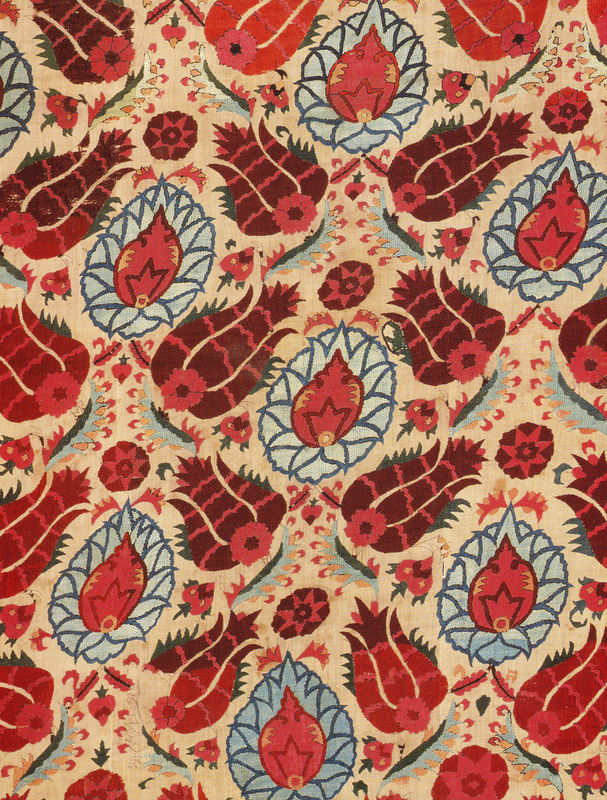 Here is an image of 18th century Indian Chintz. Personally, this exhibition demonstrated to me the relevance of visualising the past in our understanding of the complexities of contemporary and earlier European fashion cultures. 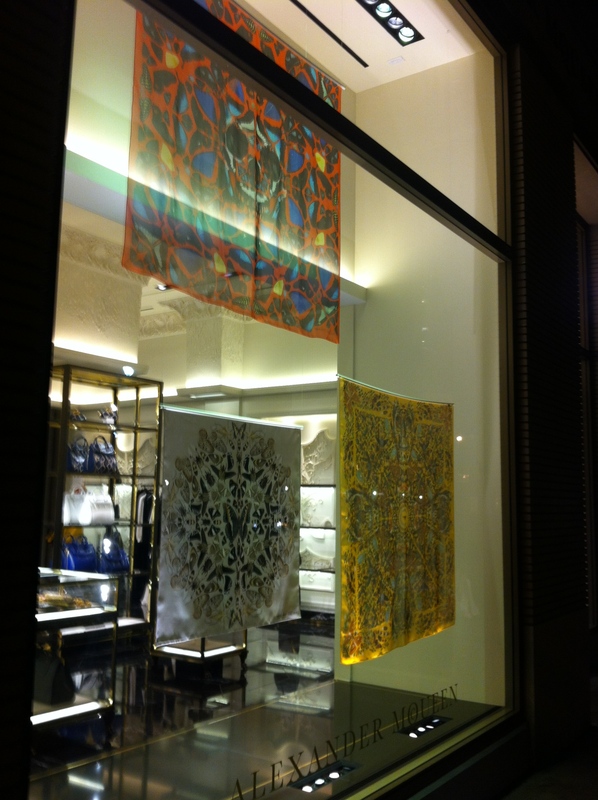 Walking back to my hotel from the museum along the Madison Avenue, I stopped at designer shop windows to admire contemporary textiles that all still seemed to share traces of the global history that I had just witnessed. It made me think of the extent to which motifs today, originally exotic, have become so familiar to us and blended in our cultural language that we no longer recognise many of them as ‘foreign’. 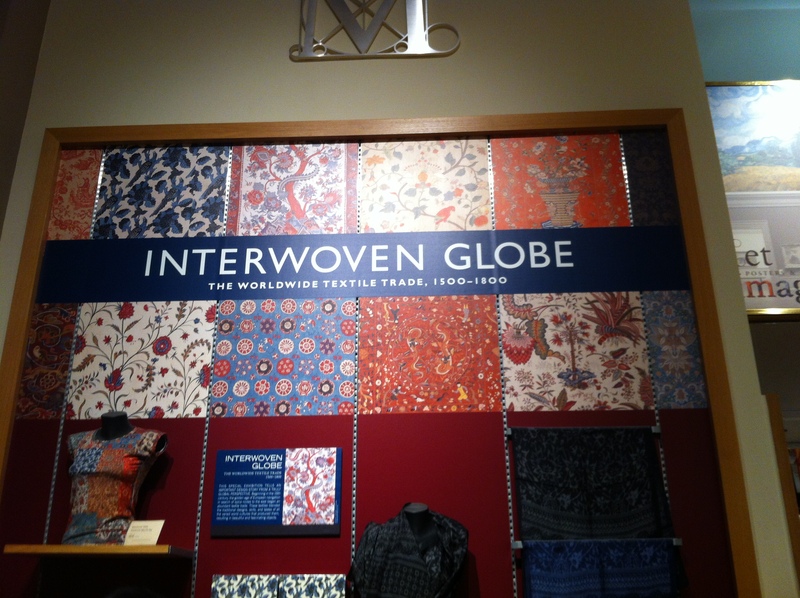 For the exhibition and pciture credits see http://www.metmuseum.org/exhibitions/listings/2013/interwoven-globe. 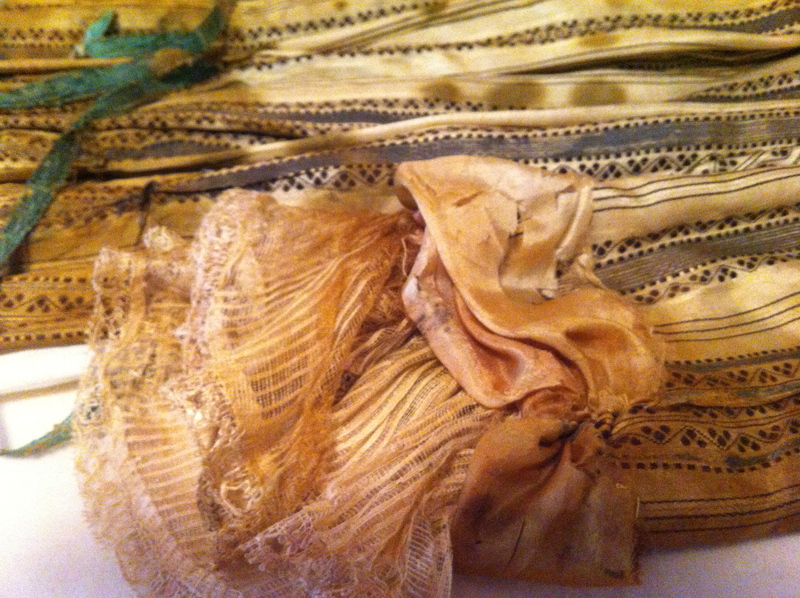 Dress and textile historian’s sources! Last year, during the process of writing up a complex EU reserch project proposal, I was adviced by a Dutch specialist to visualize the list of my sources. She suggested I make this pinboard! The board includes all the main types of historical that I use for my present study, with one specific example from each source category. Personally, I don’t think it was a very useful piece of advice, but it looks nice! And perhaps there is a point: a table with visual images might make the types of sources that historians use more understandable and accessible to those who are not that familiar with historical research. I hope you find it useful! 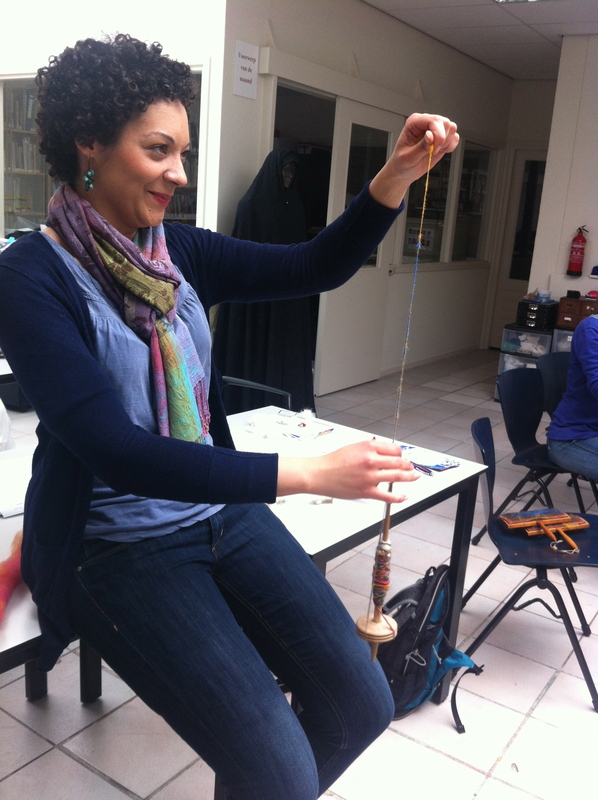 Course on historical weaving at Fondazione Lisio in Florence! 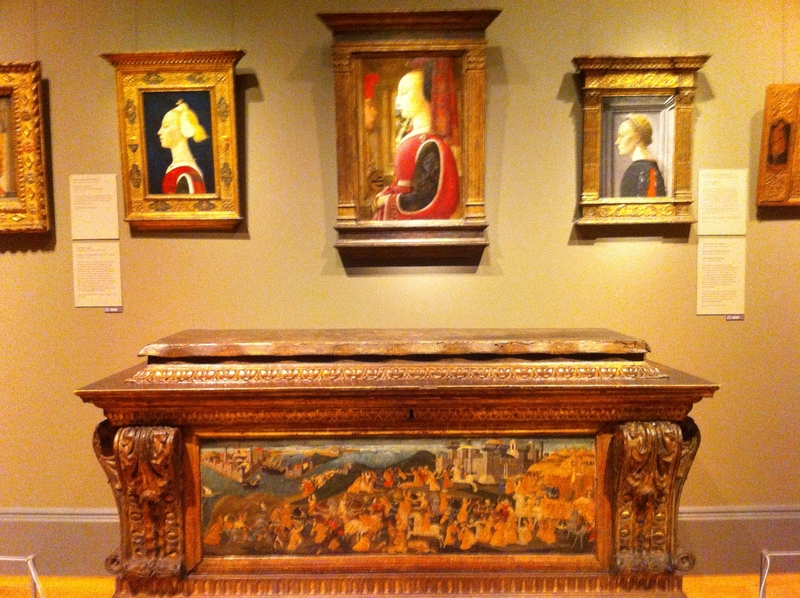 Look at this amazing late 15th-century Venetian brocaded velvet, today at Metropolitan Museum of Art, New York! The intensity of the colour, the great care taken for executing the decorative ‘pomegranate’ pattern, and the shiny reflecting surface of the cut silk pile of this precious hand-woven fabric is something that we no longer see in contemporary textile production. 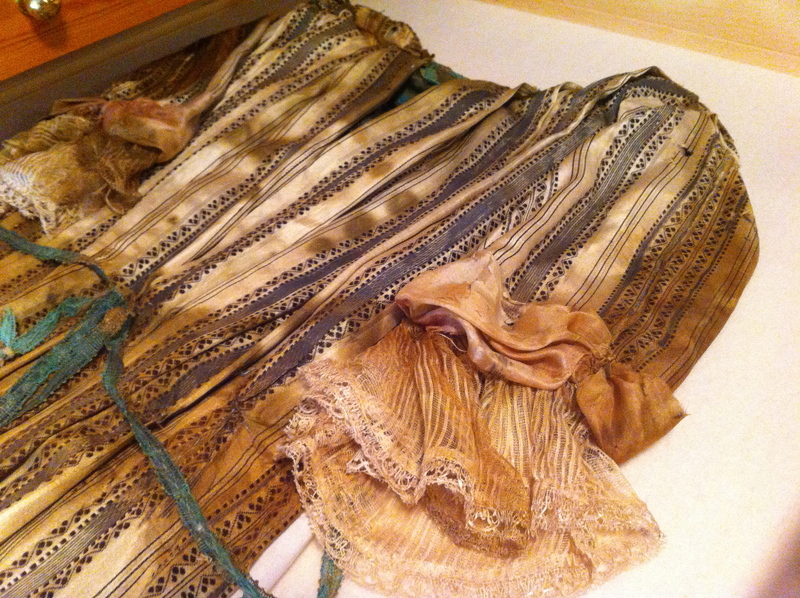 In order to understand how historical patterned silks such as this were made and what stages were involved in their production, I decided to contact the Fondazione Arte della Seta Lisio in Florence, an institute dedicated to preserving historical textiels and weaving techniques. 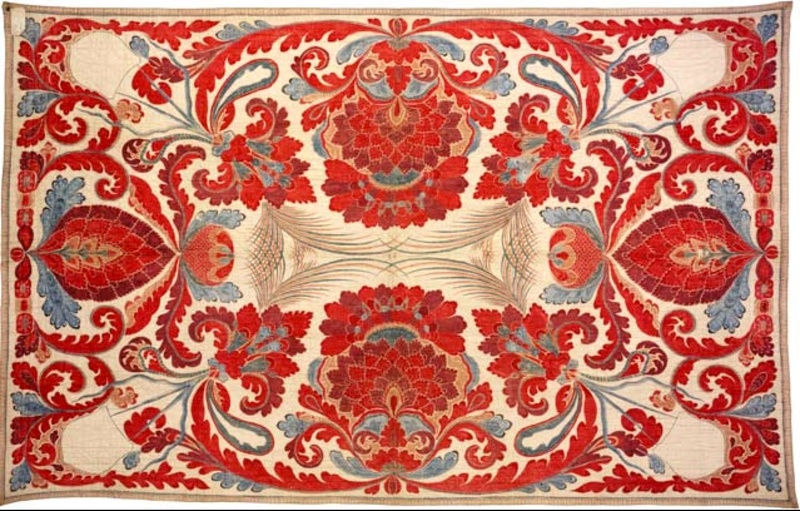 The picture below shows one of the stunning reproductions that was created by the professional weavers at Lisio (www.fondazionelisio.org), as well as the enormous Jacquard looms on whcih the fabrics were created, dating back to the early 19th-century. 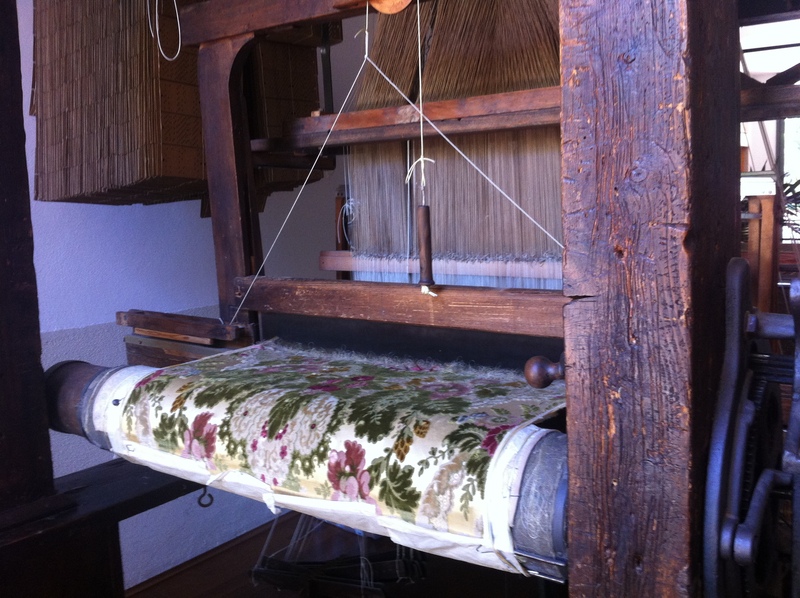 The professional weavers of the institute not only knew how to weave on these looms but they also knew how to set them up according to the design. This involved tying both the ground and pattern warp threads as well as programming the ‘Jacquard device’ that created the pattern, by organising the punched cards in a particular order according to the design. 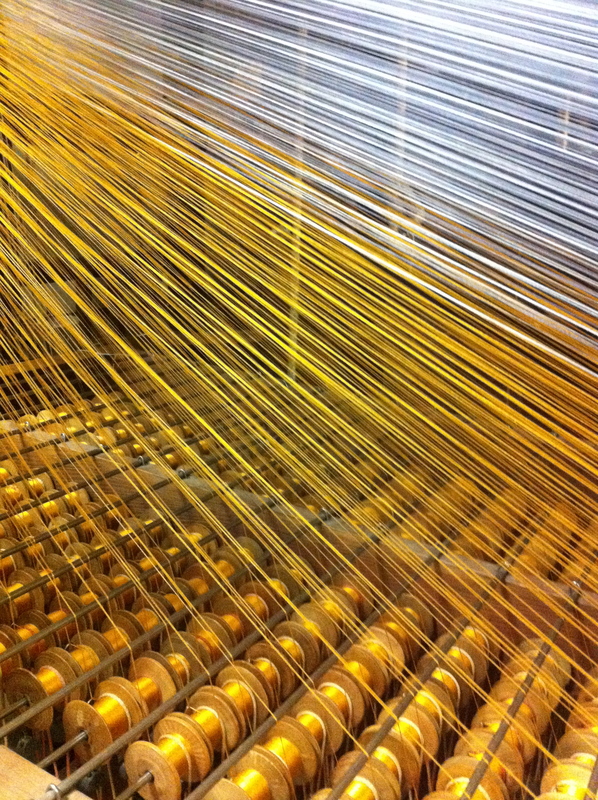 Imagine how much knowledge and patience is reuqired for the preparation of warp threads! 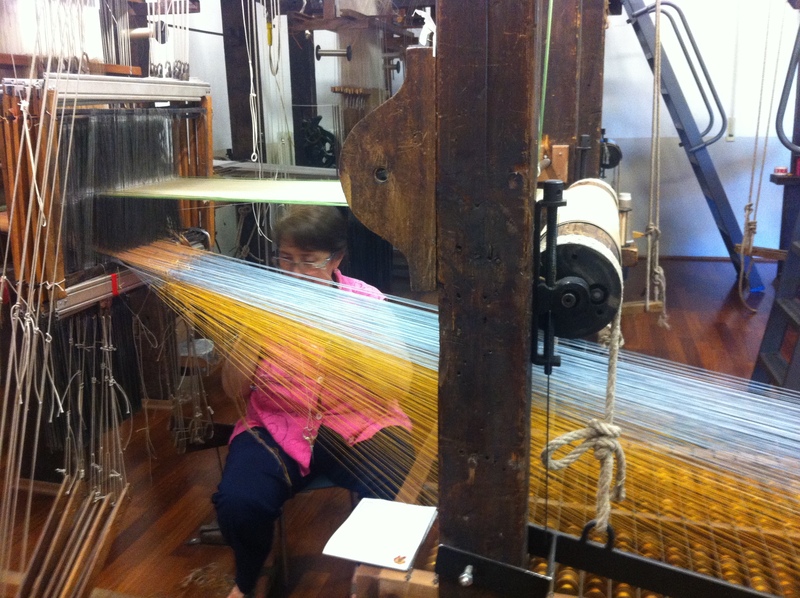 This lady working on one of the looms when I arrived, seen on the left, told me that it takes two whole working days for two people to tie the warps. 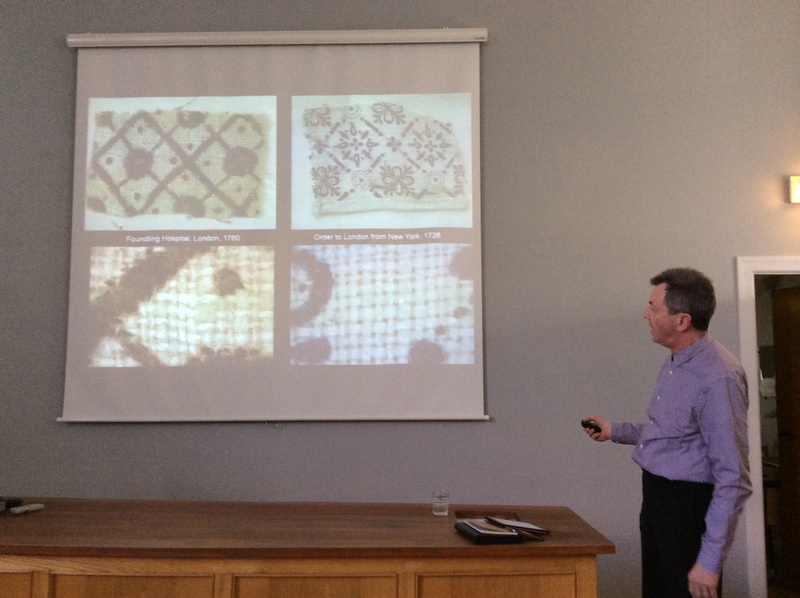 As training in practical work on textiles in an essential part of my Marie Curie research fellowship, I decided to negotiate a research period at the institute, focusing on historical textile techniques. 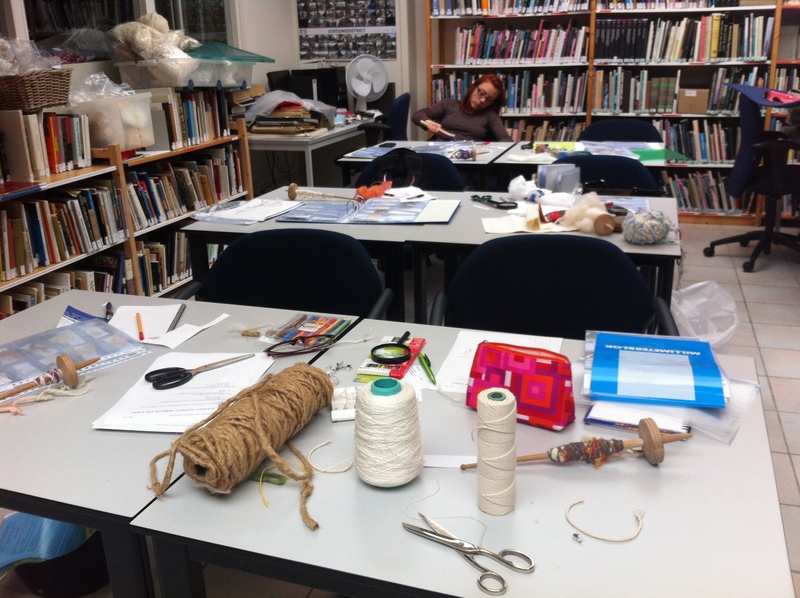 During the five days that I spent in the institute, I was instructed on historical textile technologies by two specialists, Julie Holyoke and Eva Basile. 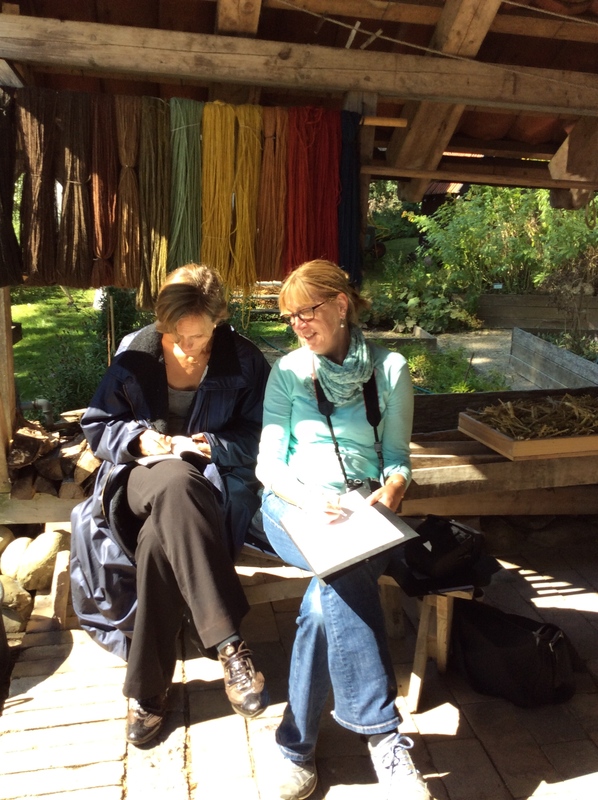 Under their guidance, I learned the basics about how to weave, draw and analyse textile structures, how the warps are tied according to the design, and how to recognise different weave structures in surviving historical fabrics. 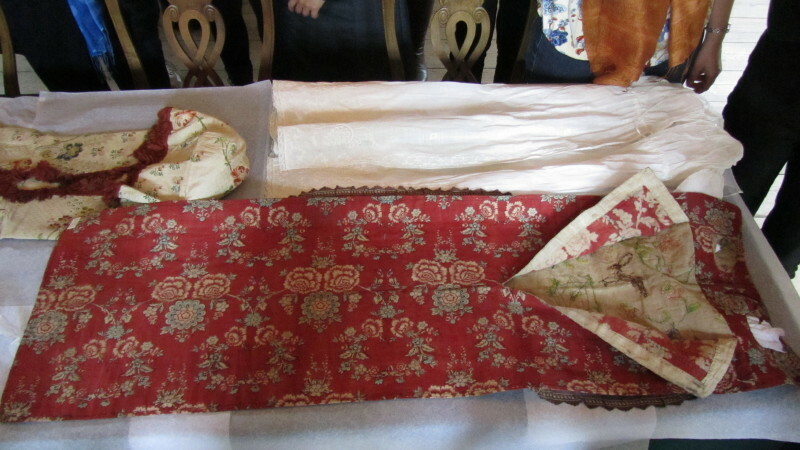 I also had the chance to observe how these beautiful brocades and patterned velvets were made before my eyes by the professional weavers of the institute. 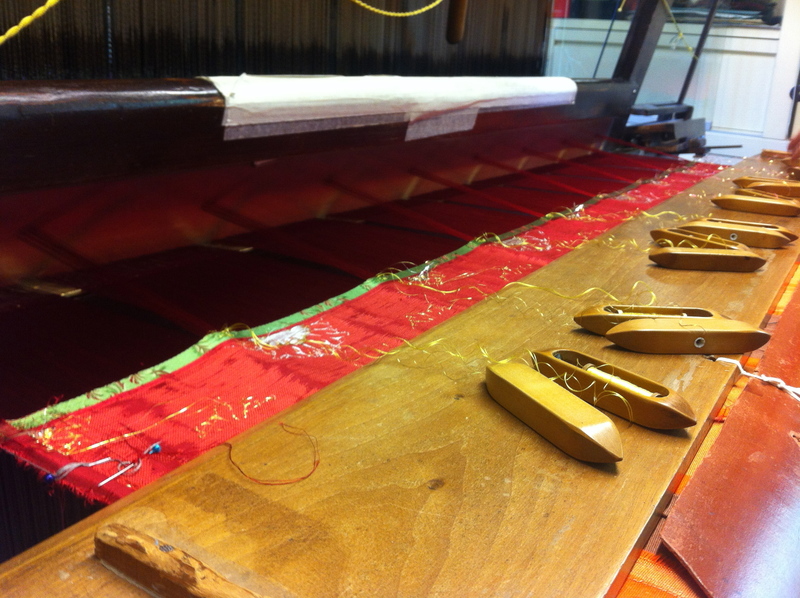 Spending time just by looking made me really understand not just how much technical knolwedge was required for translating a design onto the loom but also how much time it took to produce patterned silks. Even with a full day’s work, a weaver would not produce more that the maximum of about 60 cm of velvet per day. 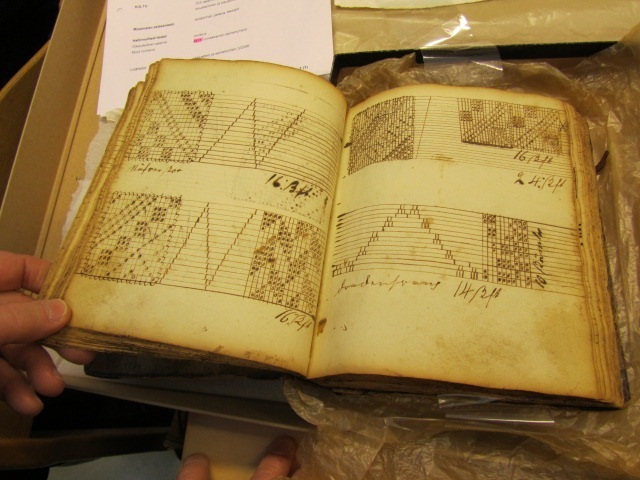 Since the Jacquard looms, such as those at Lisio, were not introduced in textile production until the late 18th-cetury, I found my thoughts going back to the 16th-century -my own area of specialization- and thinking how different was the production of fabrics before the invention of the Jacquard loom. Not much different, I was told. 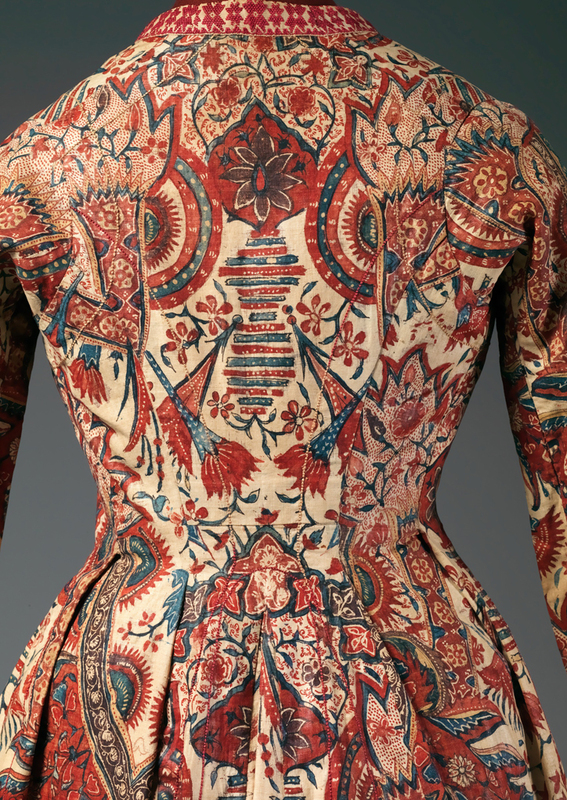 Patterned damasks, velvets and brocades in the 16th- and 17th-centuries were woven on a draw loom. 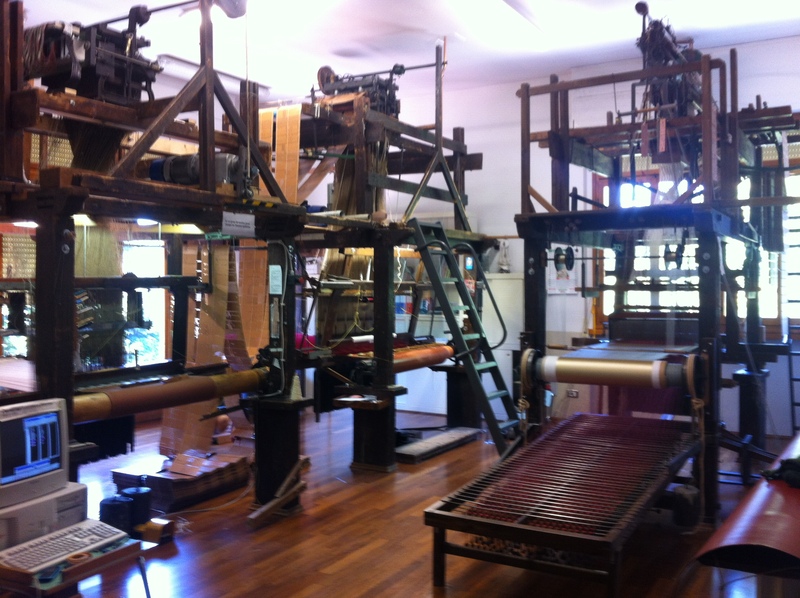 Like the Jaquard loom, it was based on a mechanism that operated two separate systems of harness, one of which controlled the ground warp threads, the other the pattner warps. 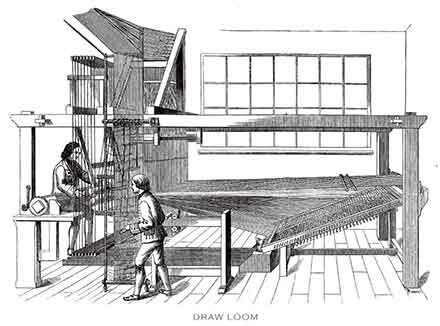 But the difference is that, whereas the harness that creates the pattern on the Jacquard loom is controlled by punched cards (a kind of early form of computerised version), the patterning device in the case of draw loom was operated by the ‘draw boy’. 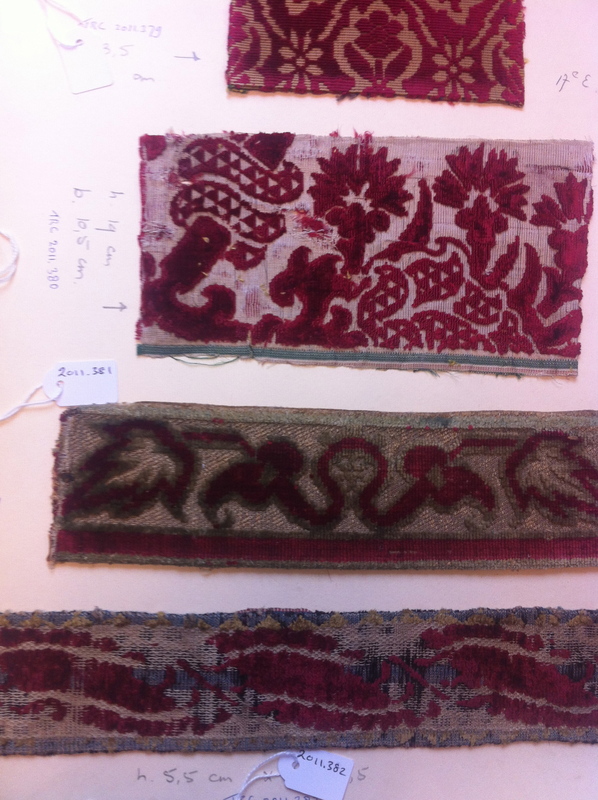 I left the course with a great appreciation for the historical textiles and their creators and could not help wondering would it be possible to translate some of this quality and beauty in today’s textile production? 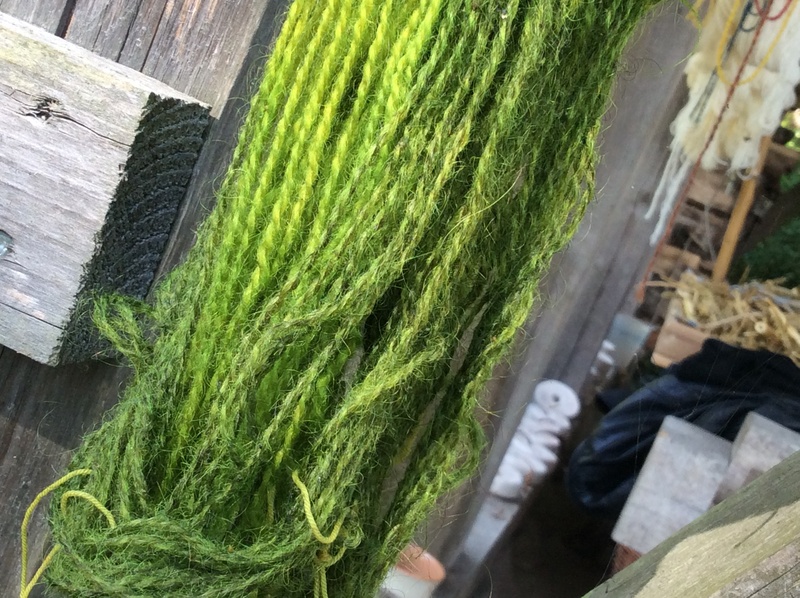 Could a greater knolwedge and appreciation of traditional textile techniques change our attitudes to consumption? 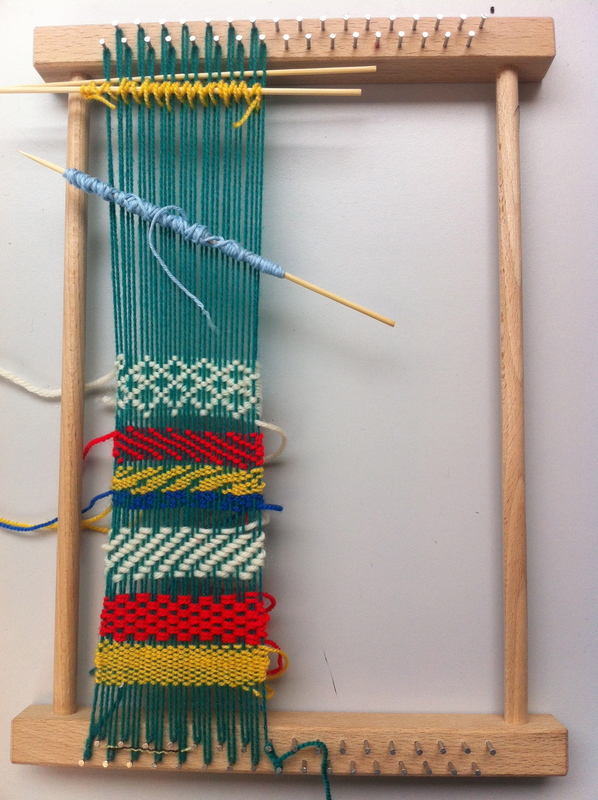 Luckily, my Ph.D. student Tuulia Lampinen, a textile designer, is working on the subject. She is exploring some ways in which some of the technques could be translated into today’s designer practice and textile tehcnology. 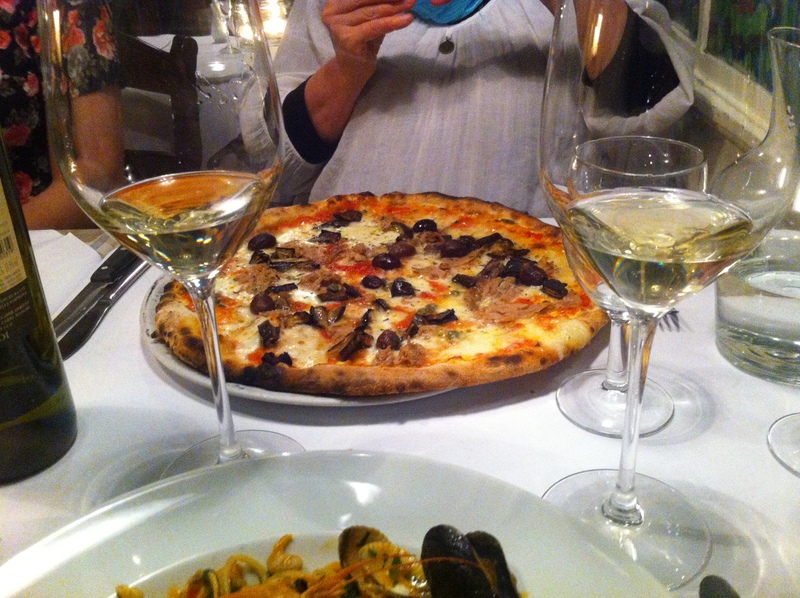 After long days at the Lisio, I rested my mind, looking around at the beautiful sites of Florence and, of course, eating fabulous dinners at the small taverns in the neighbourhood I used live, near the Santo Spirito. 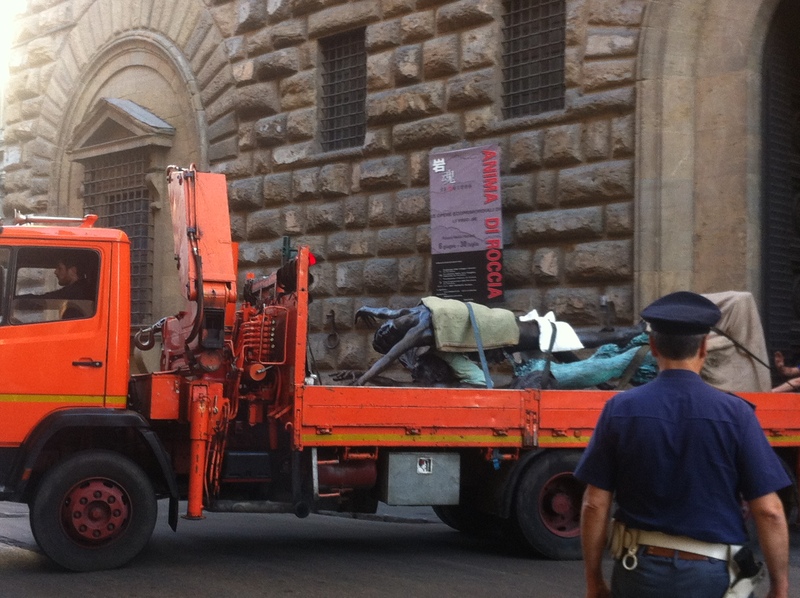 One morning, waiting for the bus to go the Lisio, I also came across this unusual site: a pair of Renasisacne statues blocking the whole street as they were exiting the Palazzo Medici. 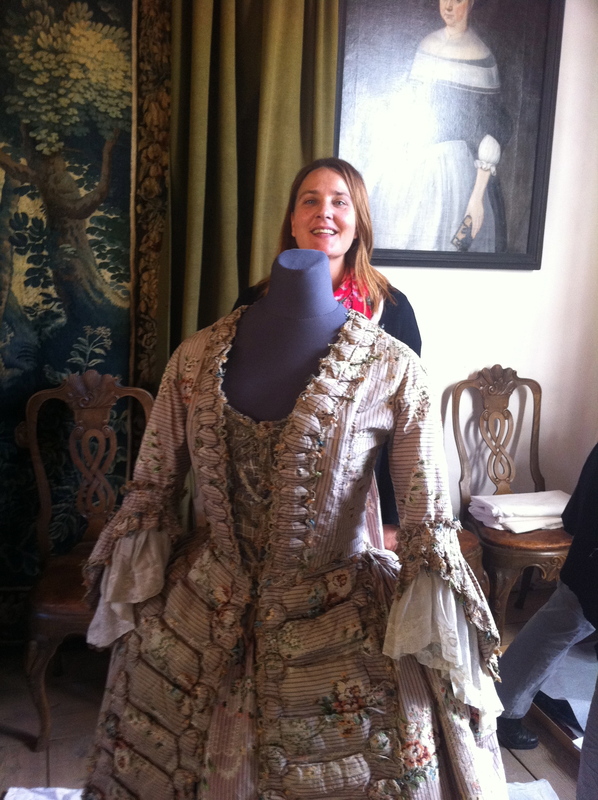 In late Spring 2013, our European collaborative reserach project Fashioning the Early Modern: Creativity and Innovation in Europe, 1500-1800, led by my long term teacher and supervisor and subsequently a colleague, Prof. Evelyn Welch, came to an end. During the three years that constituted the life span of this 1-million euro HERA-funded project, I had the chance to explore issues of creativity and fashion innovation in early modern Europe with some of the most inspiring and intellectualy stimulating scholars of early modern Europe from museums and academic institutions in Britain, Italy, Denmark, Sweden and Finland. 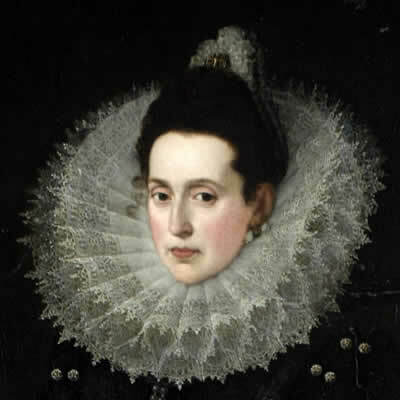 We started the project in 2010 with the simple question of how and why did certain fashionable goods such as wigs, new textiles, ribbons, ruffs and lace become successful in early mod­ern Europe while others failed. What appeared to be a relatively straight forward question evoleved in the following three years into a complex academic debate and discussion over creativity and innovation that lay behind the creation and spread of fashionable goods in early modern Europe. Together with our invited guests, colleagues and advisors, including academics, museum conservatos, fashion designers, and students of history and fashion, we met in workshops and conferences in Helsinki, Copenhagen, London and Stockholm to discuss and think about the implications of issues such as reputation and branding, the disseminatin of fashion across social and geographic borders, and the circulation of fashion ideas through print. 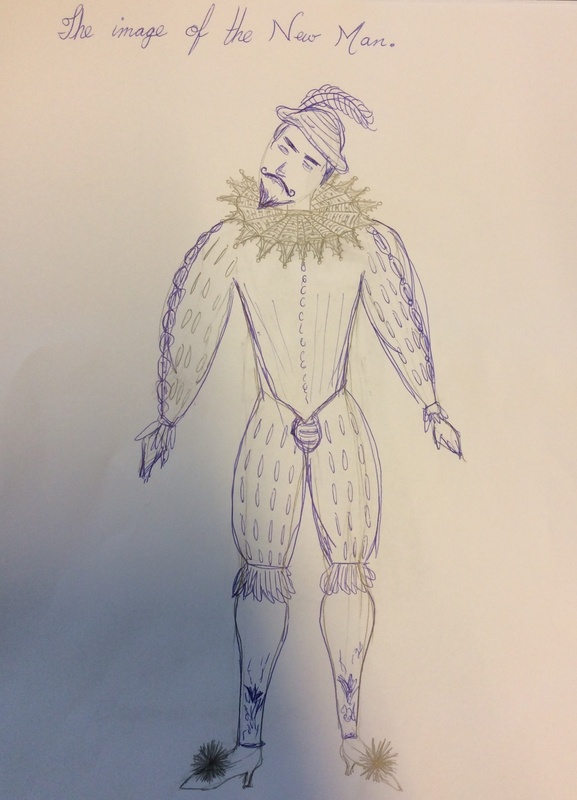 The pictures below represent some of the succesful early modern fashion innovations that we discussed in our meeting: the ruff, the wig and the corset. While the generous European funding permitted us to invite expert speakers such as Dr. Marta Ajmar, Prof. John Styles and Prof. Giorgio Riello into our events, allowing us to share academic papers and develop our discussion within the broader academic network, we also felt that looking at the actual historical textiles and clothing articles -including touching, feeling and smelling- should be an important part of the investigation and academic debate. 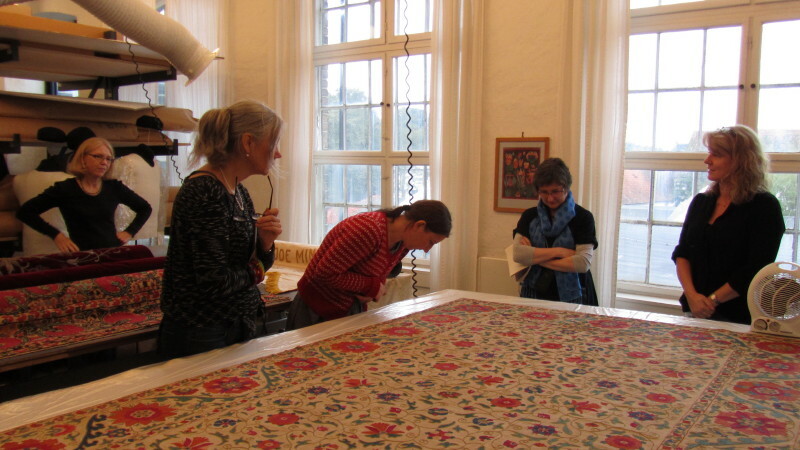 Consequently, we were introduced to the world of textiles and museum collections by knowledgeable curators and conservators of the Riksmuseum and Royal Armoury in Stockholm, Victoria & Albert Museum, London, the National Museum and Open Air Museum Aarhus, Demark, and the Porvoo Museum in Finland, who generously gave their time to show us the collections, inlcuding some of the trasured textile remainings that were too fragile to display in the exhibition space. 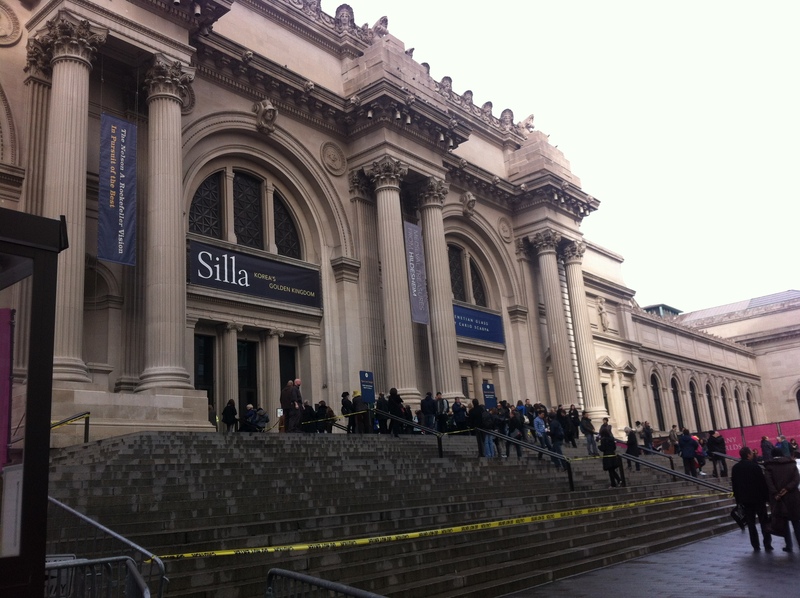 Sometimes even snow could not disable our enthusiasm to visit the local museums. 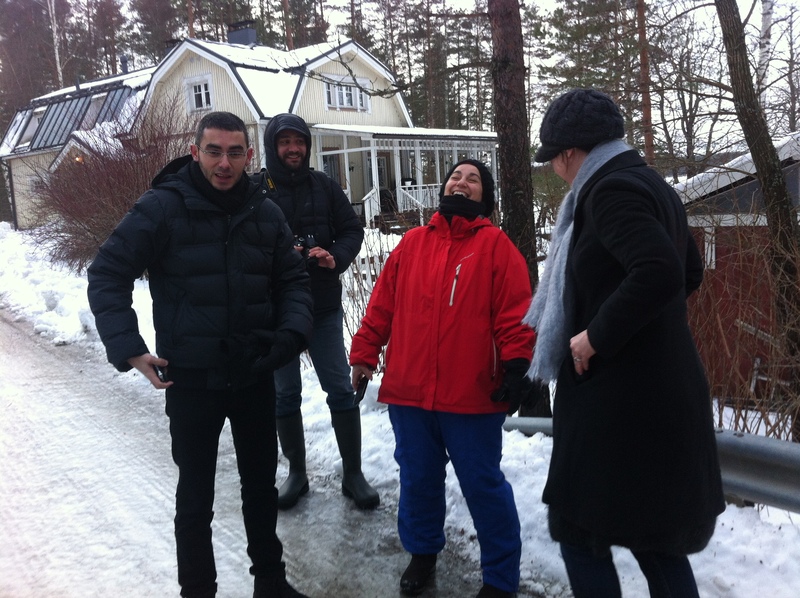 Here we are, in late March 2011, trying to get to the Open Air Museum in Provoo, Helsinki, with the ground being covered with in at least 50 cm of snow! One of the interesting aspects of the project was our aim to focus not just on historical issues, but also to develop new ways of understanding past fashion concepts in the context of contempoary ideas and practice. 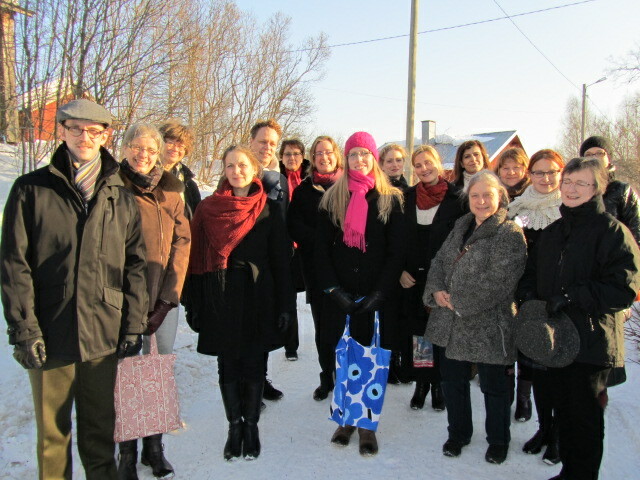 During our Helsinki workshop, we were given the possibilty to think about issues of reputation and branding in the context of fashion industry and contemporary design practice, when we visited the Mariemkko headquarters in Finland. Interestingly, Marimekko is one of the few companies that still hasn’t moved it’s fabric production entirely outside Europe. 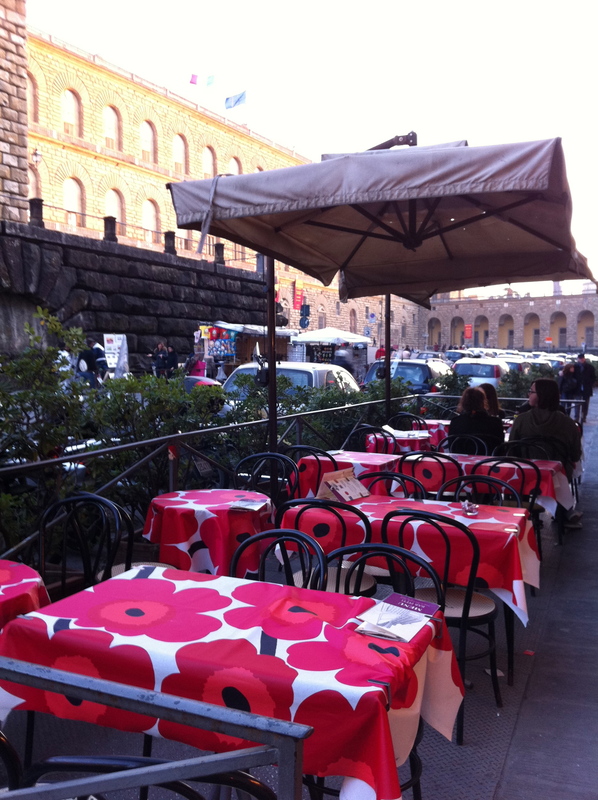 As we discovered during our visit, most of the fabrics, some of which see today on tables and furnishings throughout Europe such as in the picture of a cafe in front of Palazzo Pitti in Florence, are printed in the Marimekko premises in Helsinki (see picture on the left). A view to “Rokoko-mania” at Designmuseum Danmark, 2012, with items inspired by eighteenth-century rococo themes: eighteenth-century styles behind glass, twenty-first century styles on rotating mannequins. 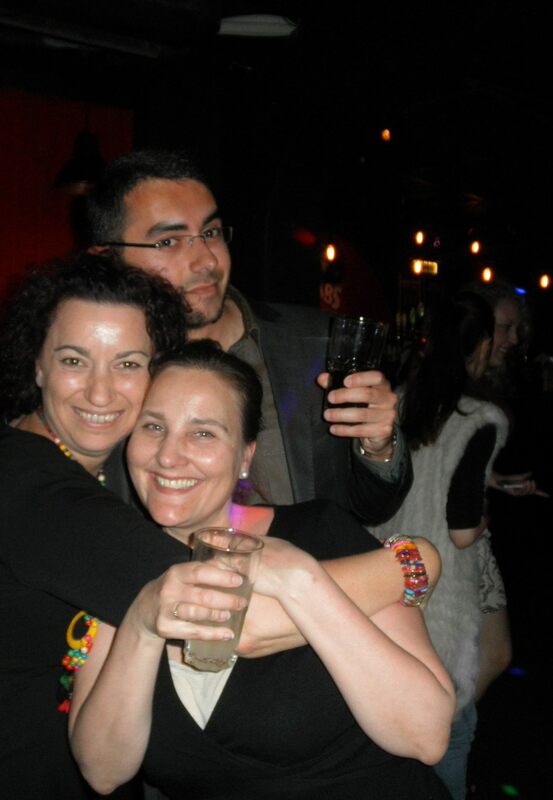 Socialising and good food were of course important parts of our meetings! 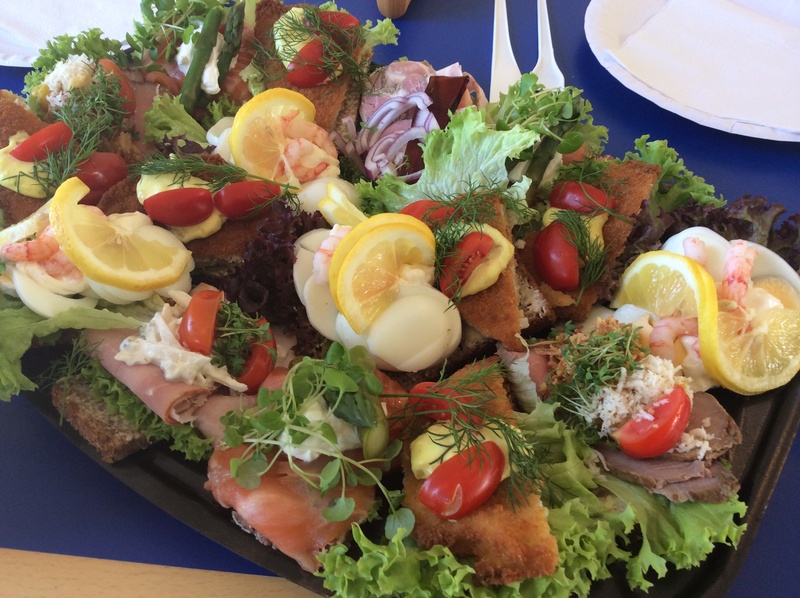 This picture was taken in Aarhus, during our traditional Danish meal of a cold platter of cheese and fish and a traditional stew served with swede. The project included six principal investigators. 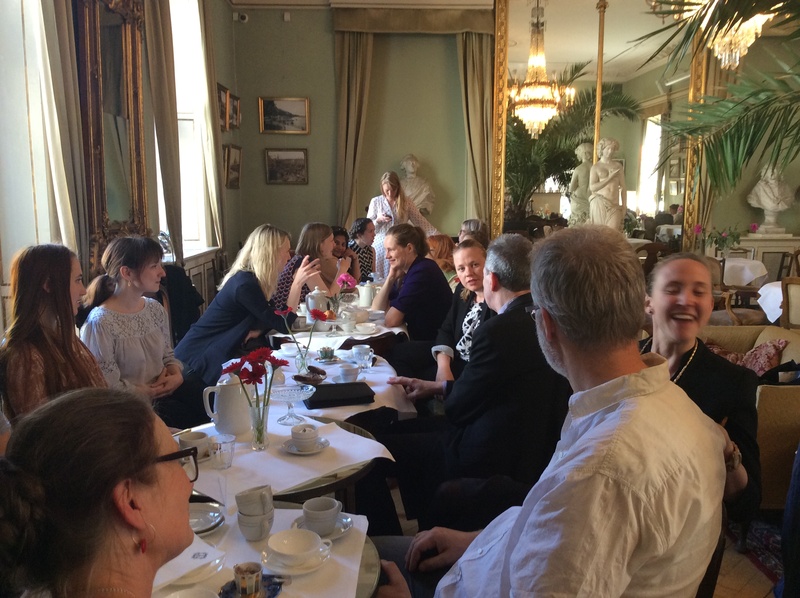 In addition to myself, these included Prof. Evleyn Welch (King’s College London), Prof. Peter McNeil (Centre for Fashion Studies, Stockholm), Dr. Leslie Miller (Victoria & Albert Museum, London), Prof. Marie-Louise Nosch (Centre for Textile Research, Copenhagen) and Dr. Maj Ringgaard. We also had three great post-docs working with us for almost the entire duration of the project , Dr. Patrik Steorn (Centre for Fashion Studies), Dr. Corinne Thépaut-Cabasset (Victoria and Albert Museum), and Dr. Maj Ringaard (Natioanl Museum), as well as a number of museum partners from Britain, Denmark and Sweden. 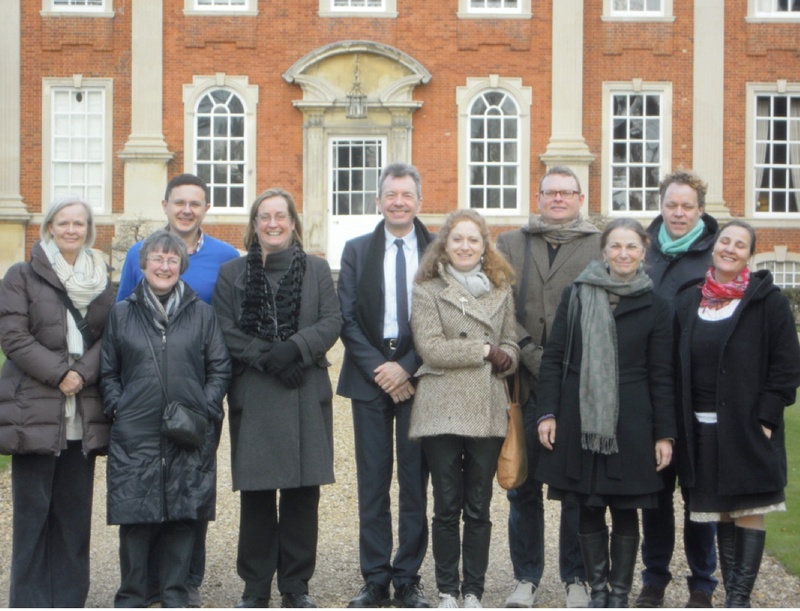 Here we are -some of us- with our advisers Girogio Riello and John Styles, in our final meeting at the the Chicheley Hall. This beuatiful mansion situated amidst the amazing English landscape was the perfect site to spend a few days together and draw our results and final conclusions together. Keep looking for our book, Fashioning the Early Modern: Creativity and Innovation in Europe, edited by E. Welch and published by Pasold / OUP. It should be out in the Spring 2014! “Setting the Objectives, Stakeholder management, Evaluation, Milestone planning, Estimation, Network planning and slack, Risk management, Communication, Project Organisation, The project manager’s roles, Project execution plan…” Does this sound like the basic kind of consult stuff? 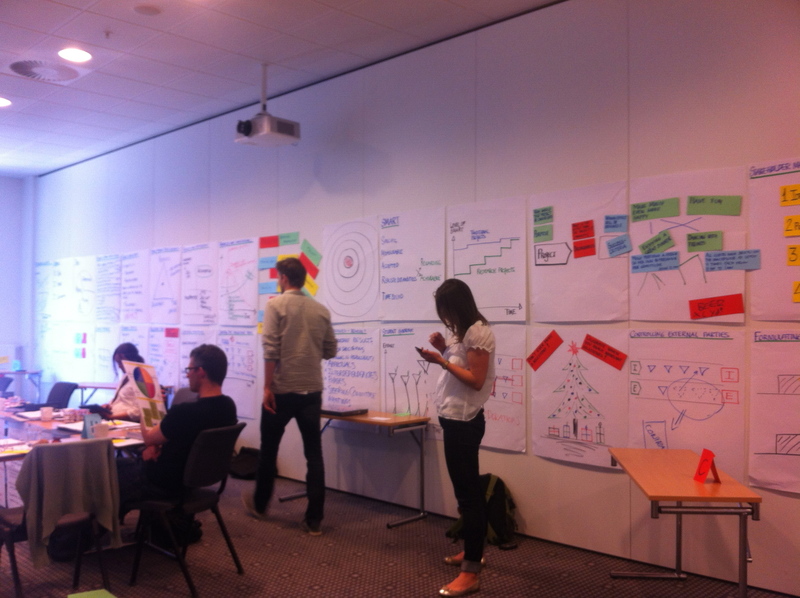 To my big surprise, this intensive 3-day project management course for researchers, organised by Implement Consulting group in June 2013, was in fact very good. Held for approximately 20 reserach leaders within the University of Copenhagen in one of the Radisson SAS hotel near Copenhagen’s airport, it covered a whole range of topics and techniques that are required for designing and running a succeful project. 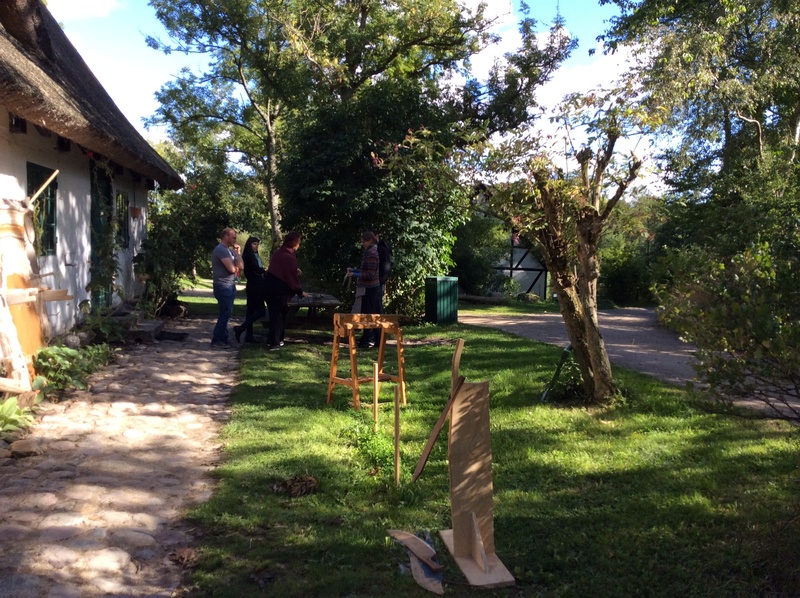 Although the tasks may sound light and fun, each one of them in fact required a lot of creativity as well as the ability to apply the whole range of tools that we had learned, such as communication, problem solving and organisation skills, and the ability to work as a team. 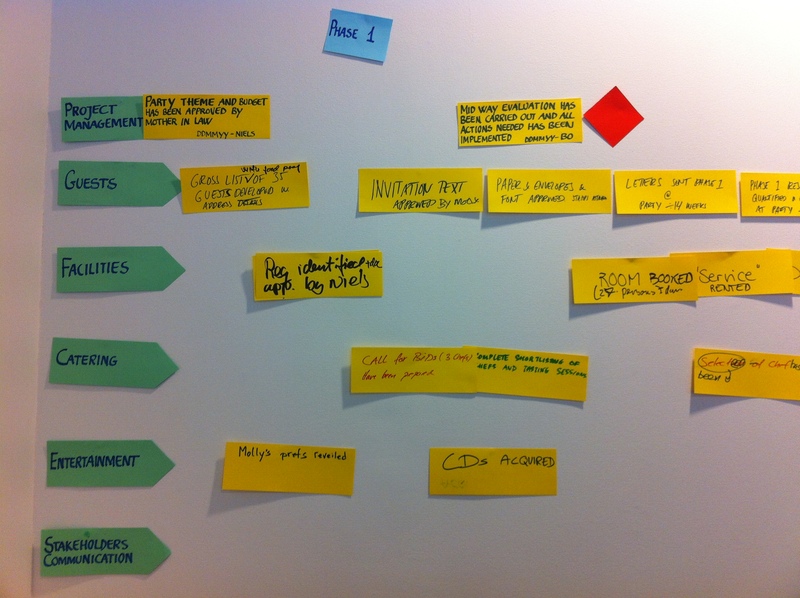 And by the end of the course, we had a lot of tools to remember… the walls around the room were totally covered with flap-board sheets, displaying the topics we had dealt with! 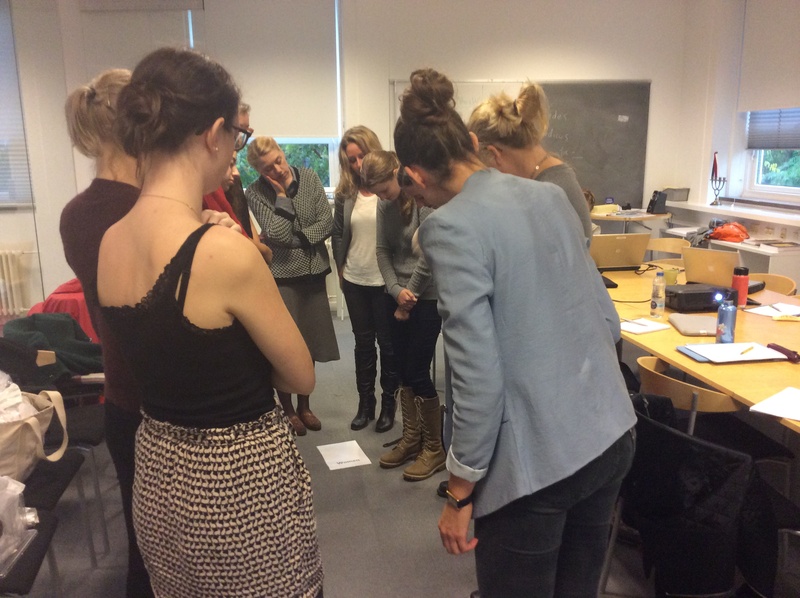 One of the most enjoable tasks was on our final day, when we were divided in groups of four to design and build a paper bridge between two chairs, using just 30 A4 sheets of paper, two rolls of cellutape and one pair of scissors. What made it challenging was not only that the bridge had to be designed and built in 1,5 hours, but it also had to be strong enough to support a toy-truck loaded with weights up to 10kg! And guess how we manage to build one of the strongest bridges in the class? 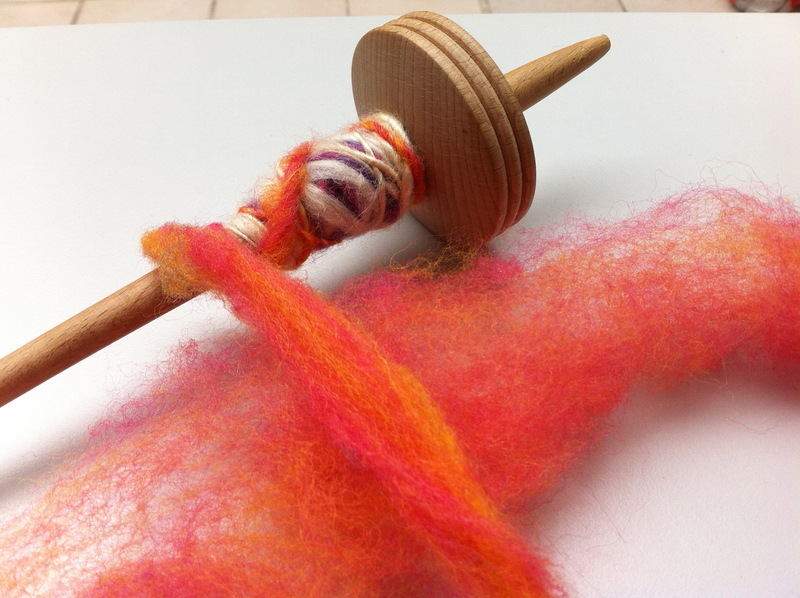 By applying textile-knowledge! We made a paper ‘mattress’, fillied with a woven-kind of structure that was created from interlacing paper sticks that we had made by rolling sheets of paper very tightly. We finished our bridge in the last seconds but it was so strong that it could have easily carried the truck of 10kg! 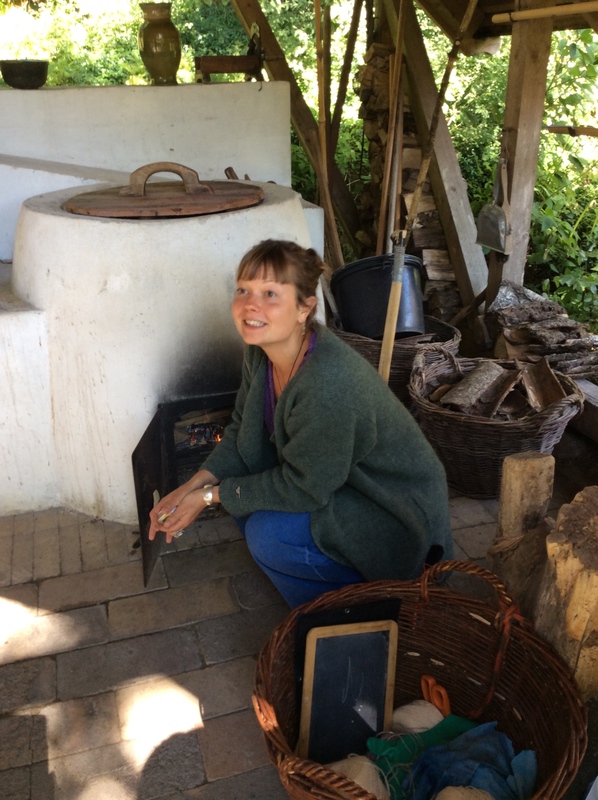 An impressed American military scientist told me after the exercise that from now on he will ‘never underestimate a basket maker’. I was so excited after the task that I forgot to take a picture, but I can assure you that our bridge looked great! Visiting the Cathedral Museum of Turku in Finland! 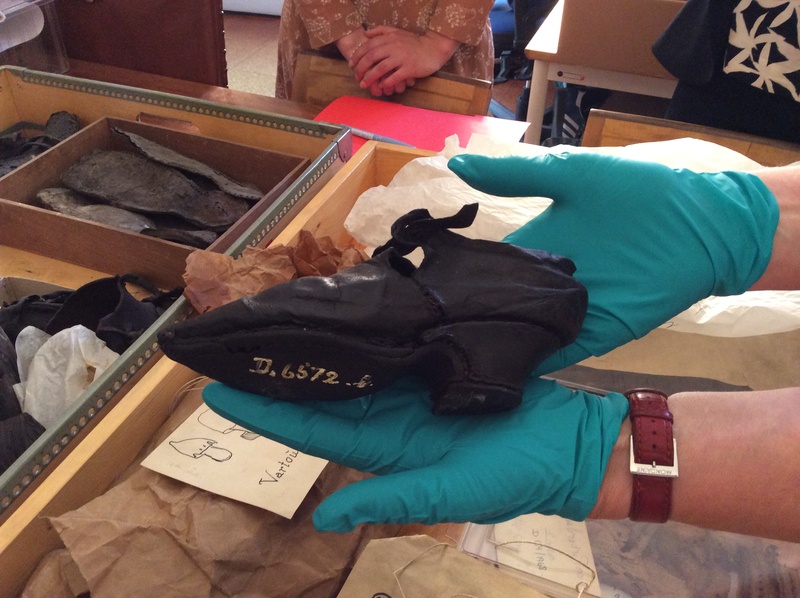 In May 2013, I travelled with my Ph.D. student Tuulia Lampinen to the city of Turku in Finland, to visit the historical textiles and clothing collections of the Cathedral Museum. 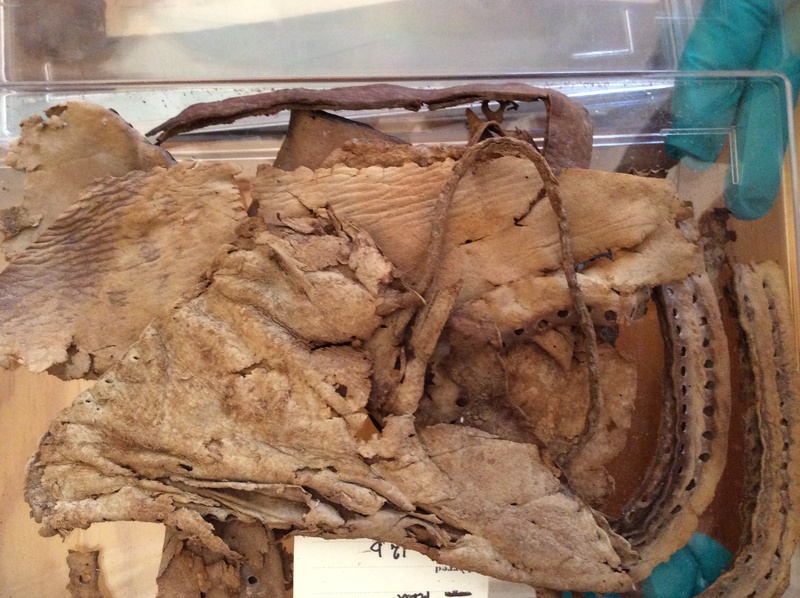 This collection is special, because it is one of the few places in Finland to find surviving historical clothing artefacts dating back to the early 17th-century. After a friendly chat with the kind lady at the entrance of this beautiful Medieval church, we were given access to the narrow staircase that led us upstairs to the museums’ storerooms. 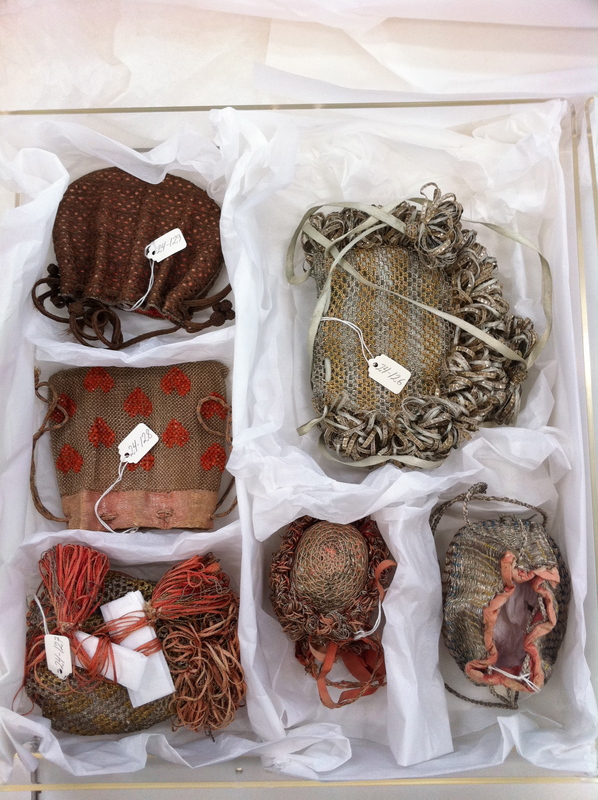 The knowledge that I had gained a few weeks before at the Intensive textile course in Leiden was immediately put to test, as we started opening the clothing and textile drawers to discover a whole range of silk, linen and woollen clothing and dress accessories from the 17th-century. 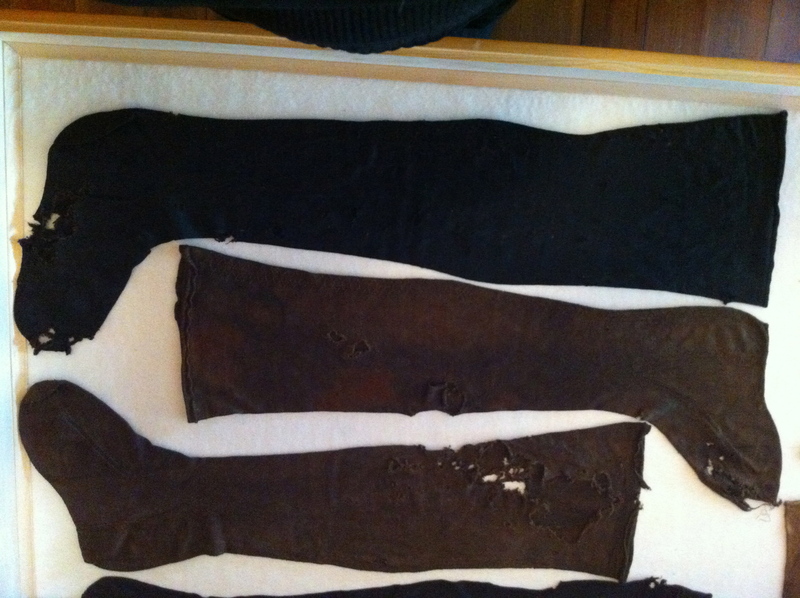 The labelling was old and the information about the textiles and the origin of the clohting was imprecise. 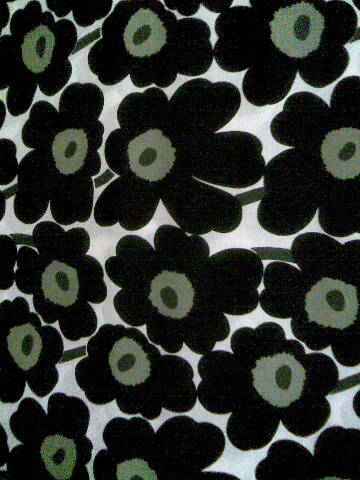 Luckily, my brilliant student Tuulia is a textile designer and a real expert on fabrics. Together, we were able to examine in detail the precious fragile artefacts that had survived for centuries, through several wars, famines and plague outbreaks! The collections inlcuded a whole range of clothing items, from skirts and trousers to caps, linen scarves, knitted stockings and fans, in varying quality and conditions. Most of the clothing was recovered from tobms. 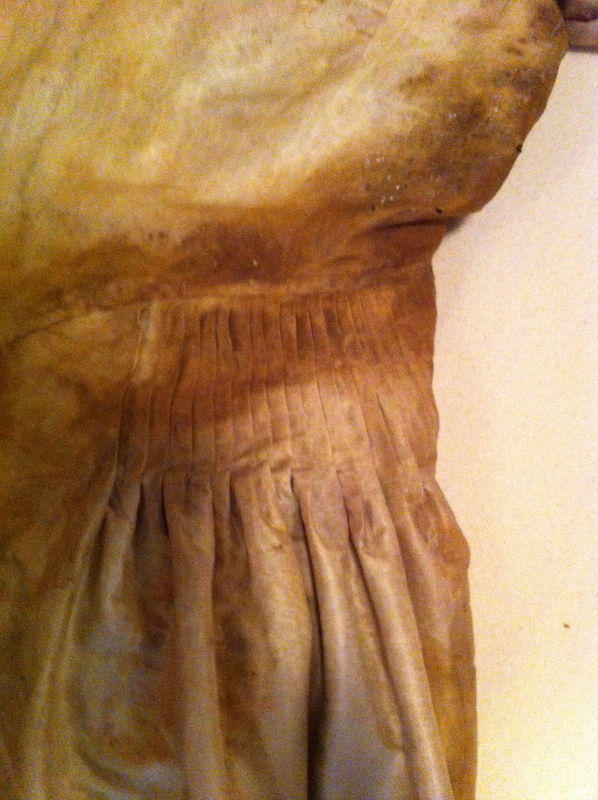 This plain, relatively basic white taffeta dress was discovered in the tomb of Elisabeth Buren (d. 1668). Some of the dresses were striped. 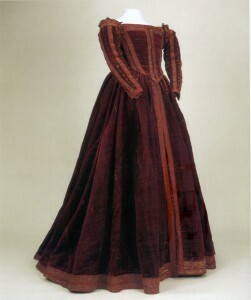 According to the information, this late 17th-century dress once belonged to one of the women of the Wittfoth family, a trading family from Turku engaged, for example, in salt trade. 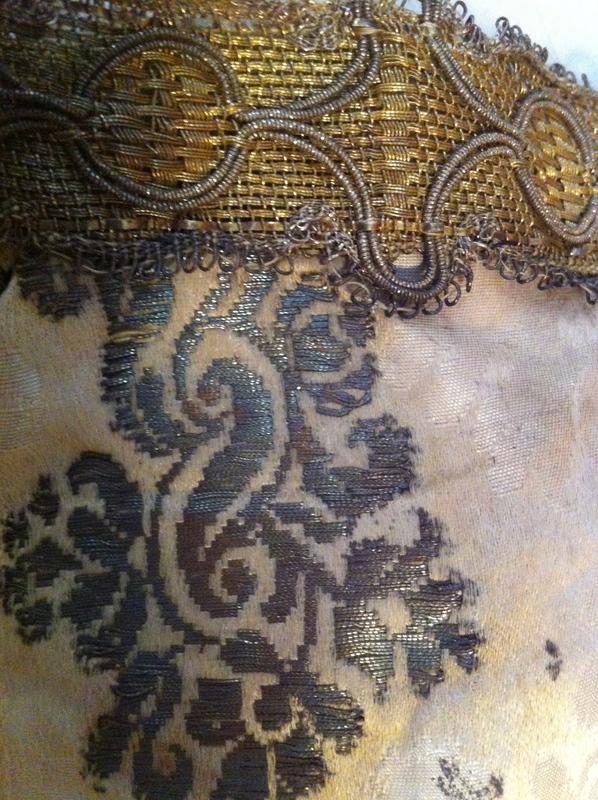 Some of the dresses were emboridered or decorated with borders, ribbons, or braid, made from silks and metal thread. Look at these amazing decorative details! 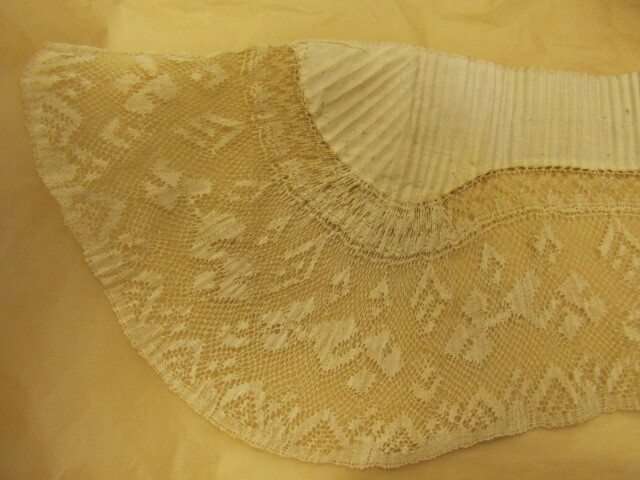 The collecitons also included a variety of dress accessories, such as knitted silk stockings and women’s caps. 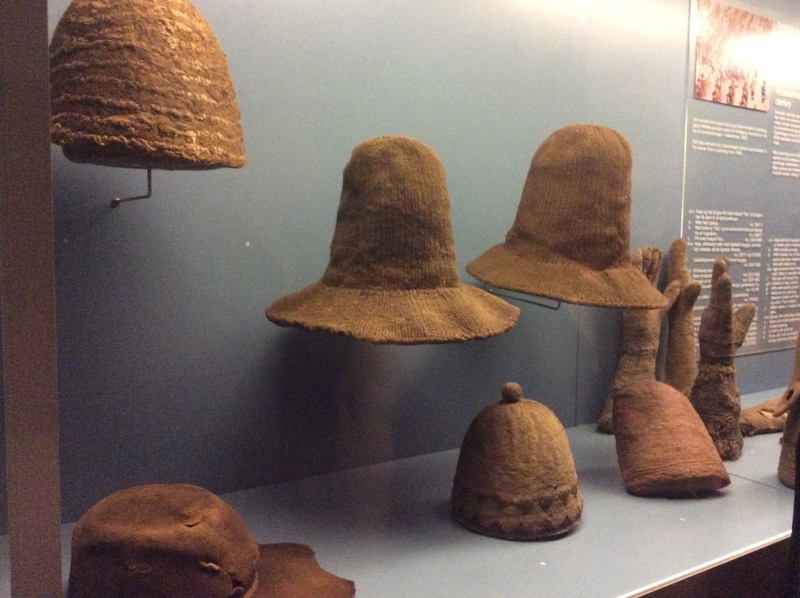 While most of the actual clothing was made from white or brown fabric, the caps included a whole range of colours, from reds and blues to yellows and gold. The reason is associated with cost. 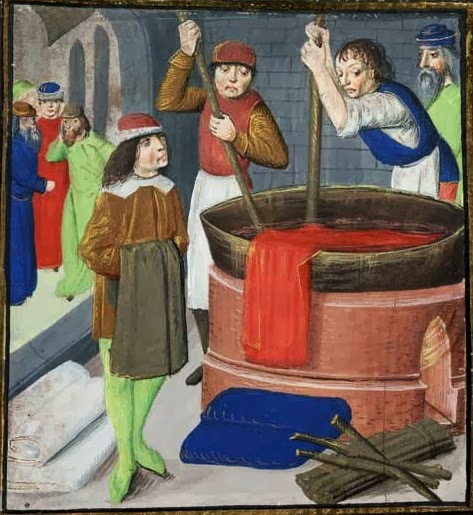 Deep colours were expensive to produce in this period and small caps, obviously, required a much smaller quantities of silk! 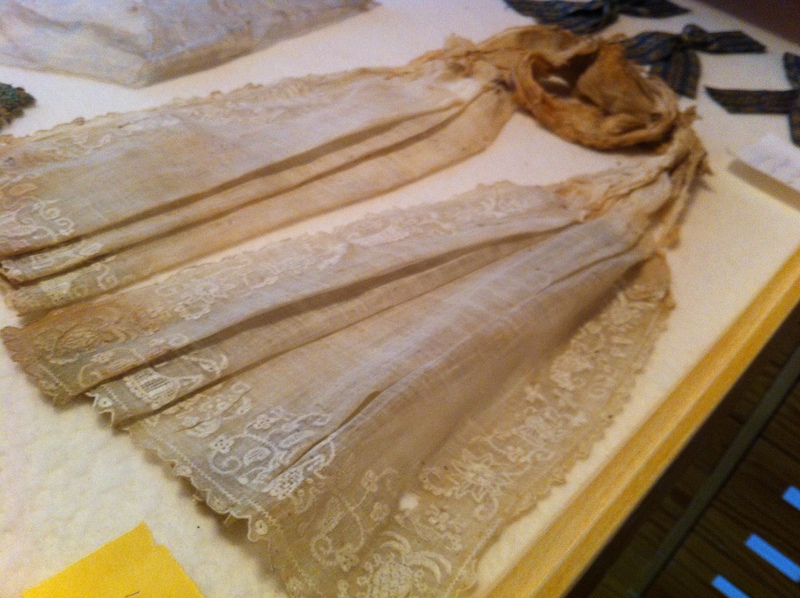 The collections also included some delicate linen scarfs, some with beautiful lace borders! 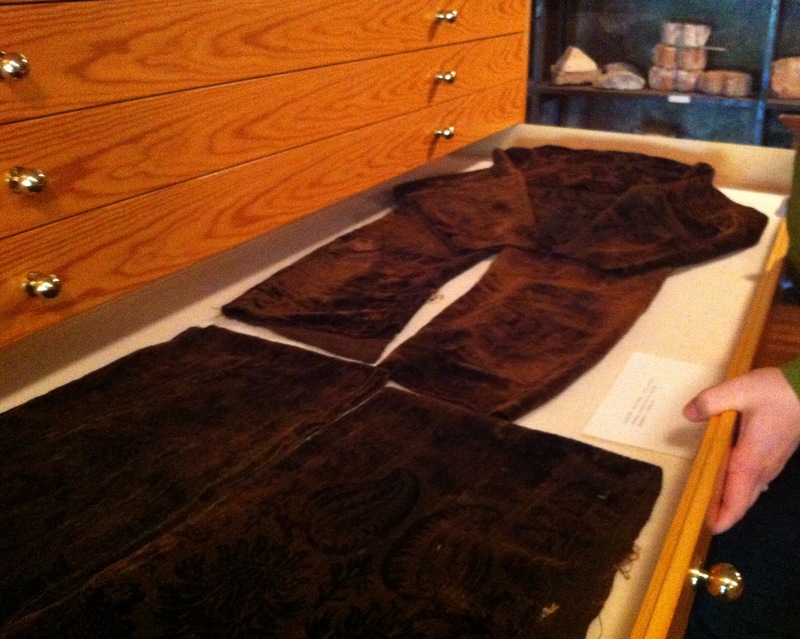 Once we had examined the storerooms, we made our way back downstairs, to the museums’ exhibition space to see the velvet chasubles that were made from fabrics dating back to the 14th- and 15th-centuries. 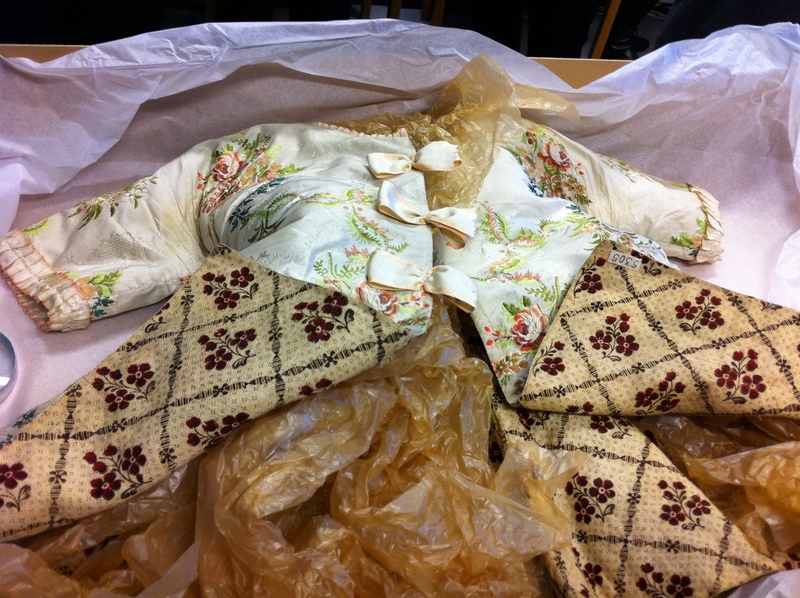 Did you know that chasubles in this period were made from second-hand clothes? 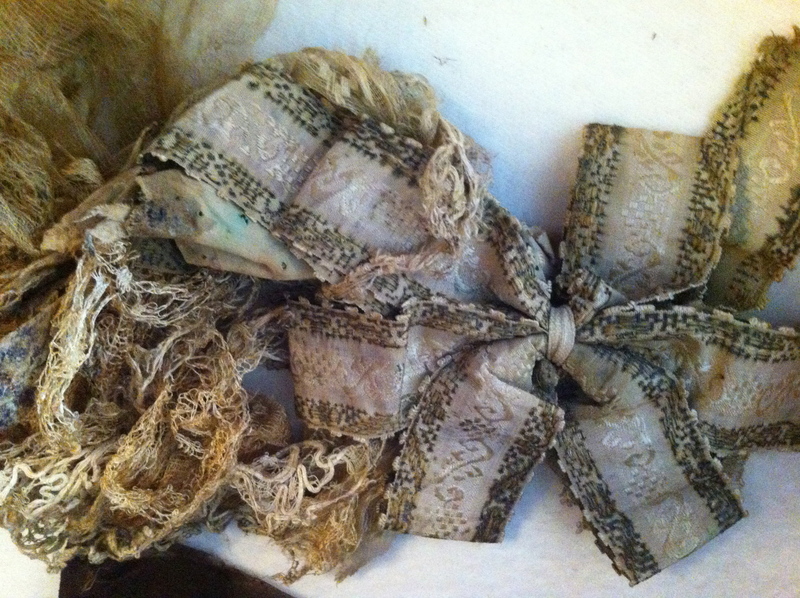 As the fashions changed, the wealthiest families tended to leave their outdated garments to the Church. 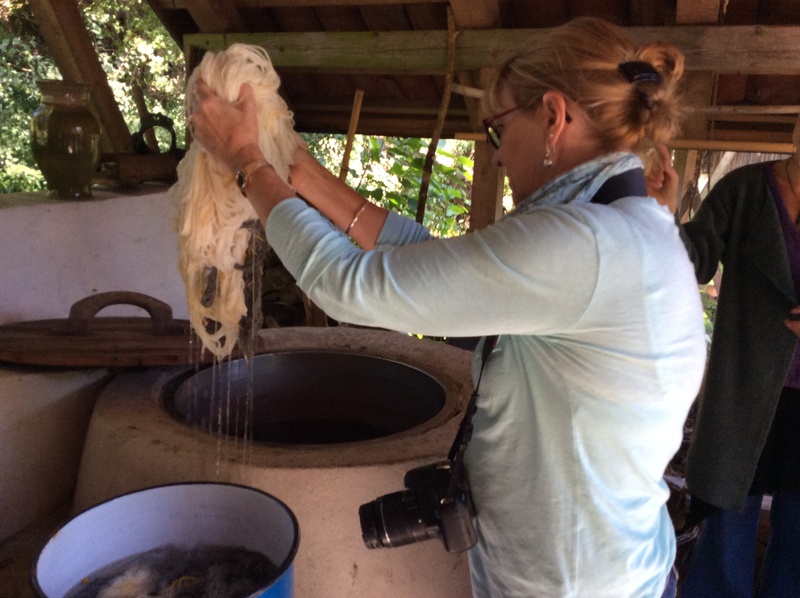 Thanks to this practice, many valuable velvet and silk fabrics have been preserved up to our day. 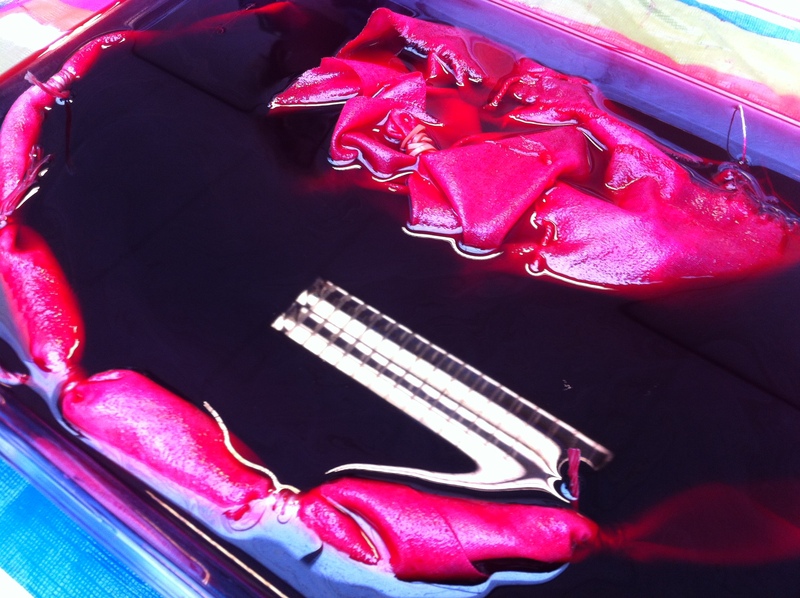 Look at these deep, red amazing colours of the centuries old velvets! I was excited to see all these beautiful items but left the colletions wondering what stories were associated with these clothes and textiles. As I sat on the stairs afterwards with a cup of coffee in my hand, I though to myself, who were these families? How did the clothes end up in this museum? Where were the fabrics made and who sew up the clothing? I really must go the archives to find out more information! If I am lucky, some of the family account books or household inventories survive! We ended the day with a late lunch-buffet and a peaceful walk along the river Aura in a sunny but slightly crispy Spring weather. 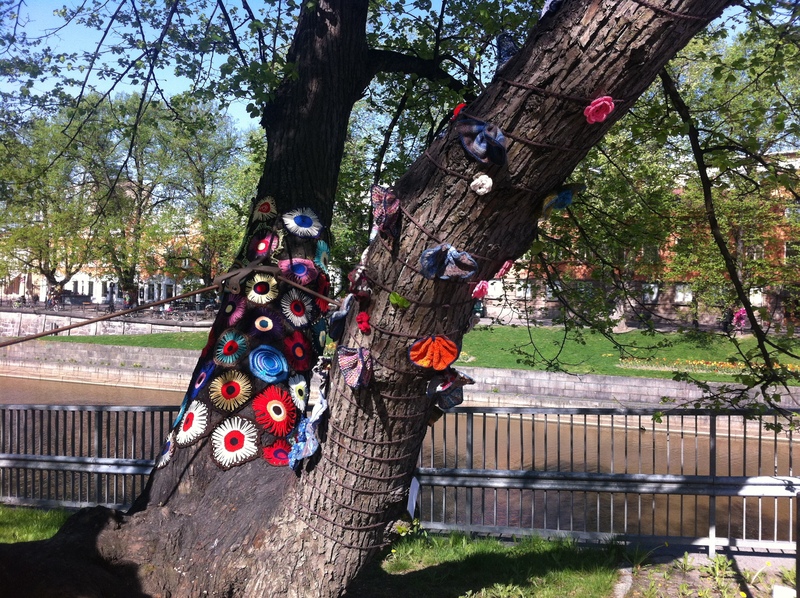 We found these trees on the banks of the river, dressed in colourful patches of wool, celebrating the rich craft culture of the city. 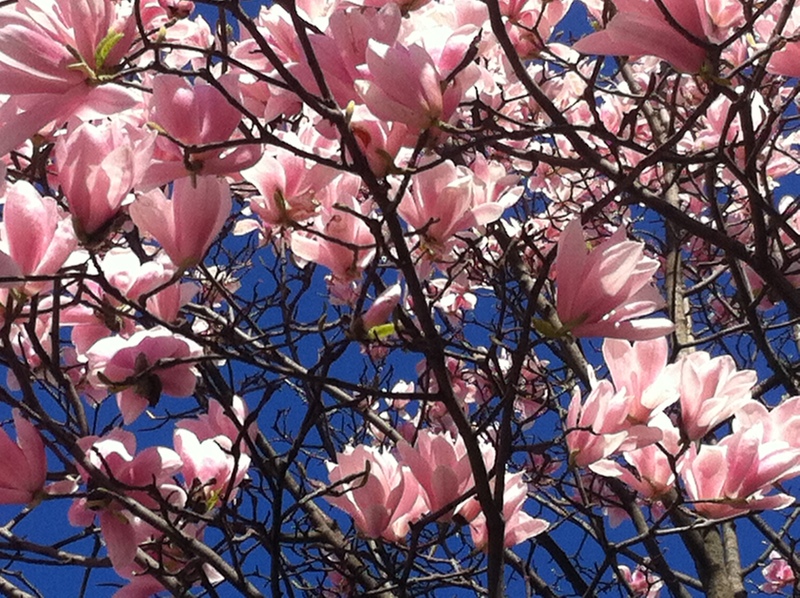 These trees really made me smile! Launching our new research programme CCCC! 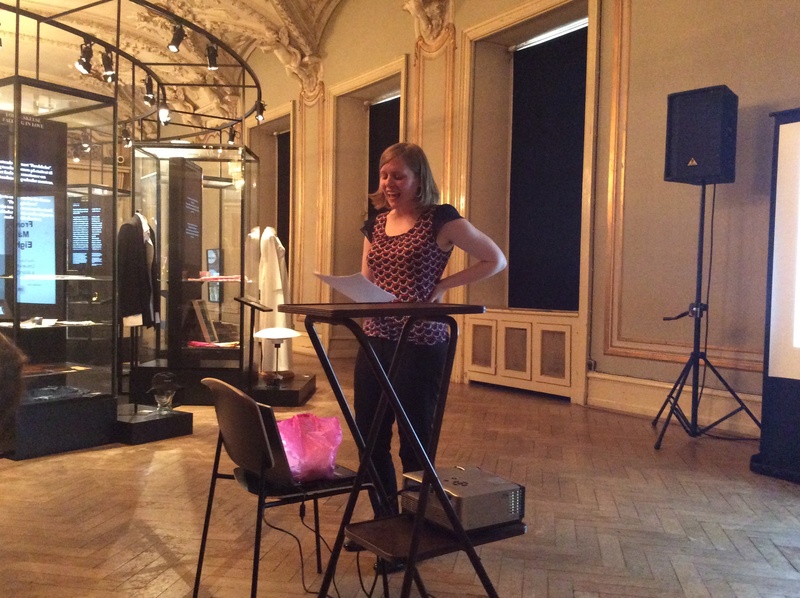 In April, 2013, Marie-Louise Nosch, the director of the Centre of Textile Research, appointed me as the research manager of CTR’s new research programme ‘Clothing, costume, consumption and cultre’ (CCCC), which is run between The Danish National Research Foundation’s Centre for Textile Research, the National Museum of Denmark and the City Museum of Copenhagen. 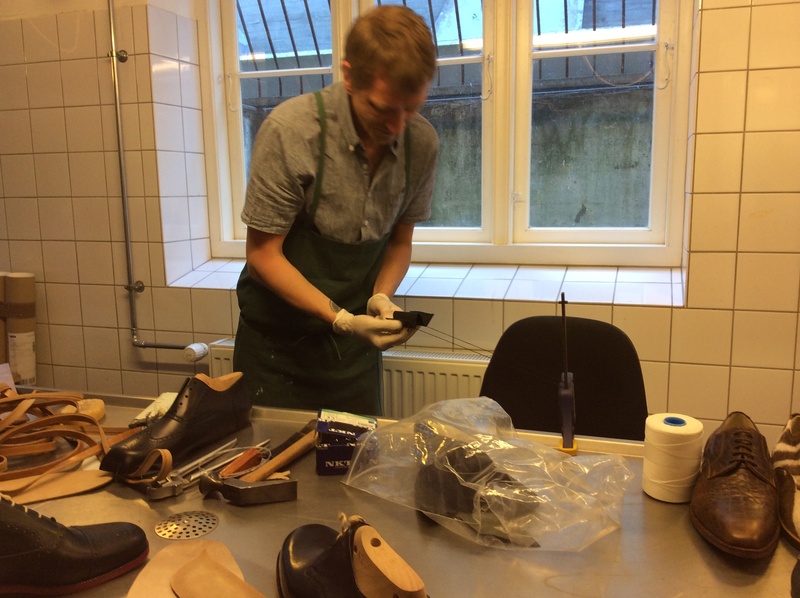 My co-director in the project is the Senior Curator of the National Museum of Denmark in Copenhagen, Dr. Mikkel Venborg Pedersen, who is responsible for the museum’s textile and dress collections. 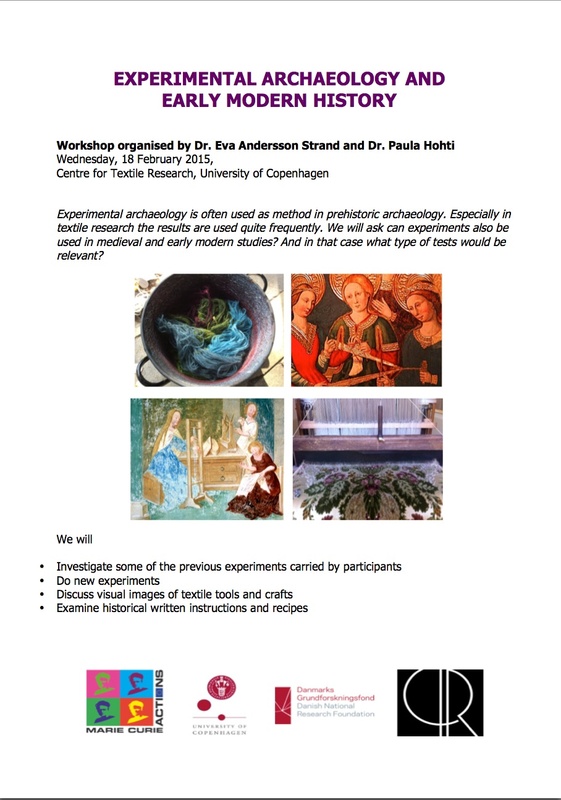 At this point, the purpose of the research programme is to create a network of Ph.D. students and academics to meet and discuss how early modern reserach on dress and textiles could be developed within the centre and at the National museum, especially in regards to method. 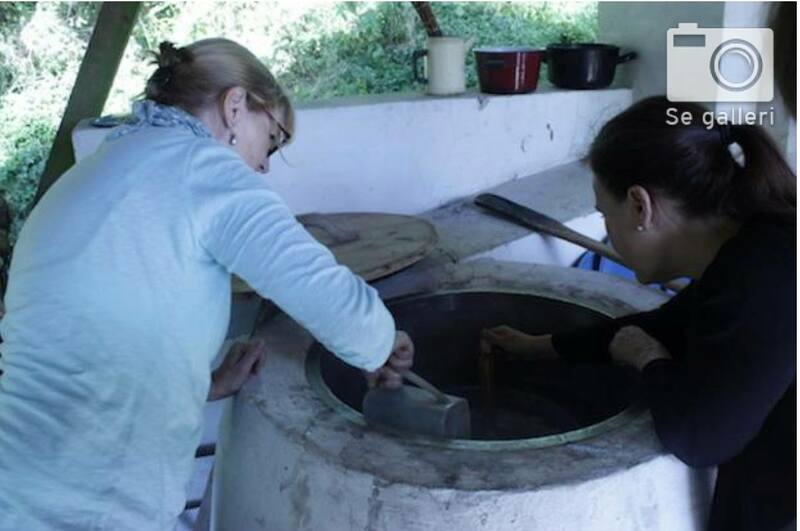 One of our missions is to combine experimental archaelogy with the more traditional methods of history, based on empirical evidence and theoretical models. At the same time, we want to provide the Ph.D. students an opportunity to participate in the activities at both the Centre for Textile Research and at the National Museum, and to feel that they are an important part of our reserach community. We have currently six Ph.D. students from Denmark, Britain, Italy and India involved with the project. 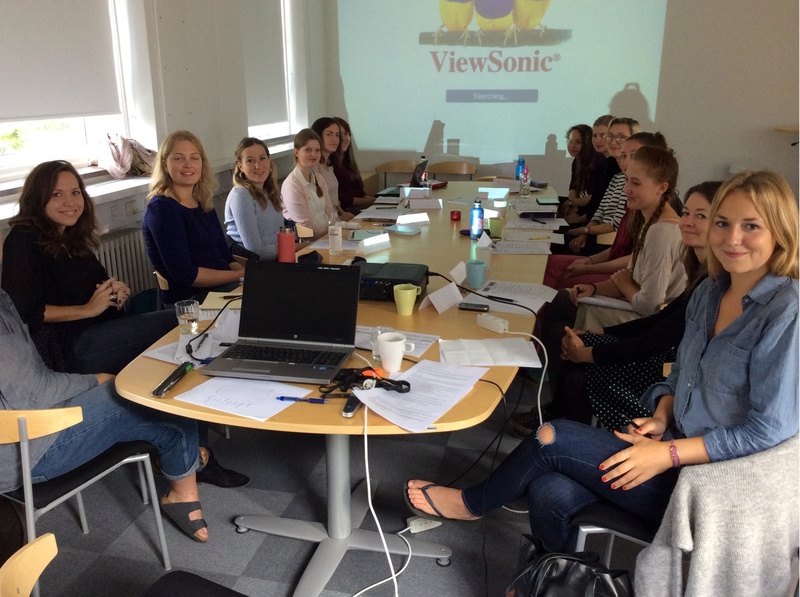 These include Charlotte Rimstad, Vivi Lena Andersen, Toolika Gupta, Karolina Hutkova, Vibe Maria Martens and Alice Dolan. 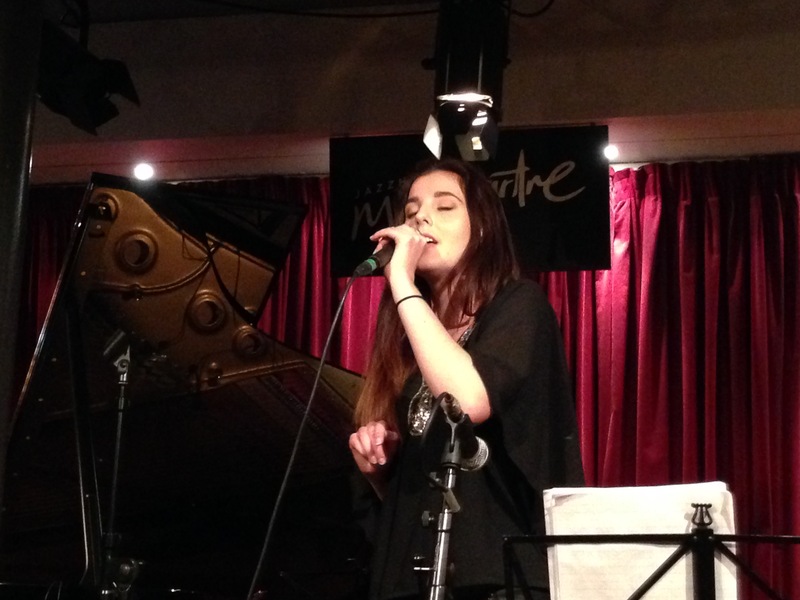 I am so much looking forward to the opportunity to working with these incredibly talented young students! 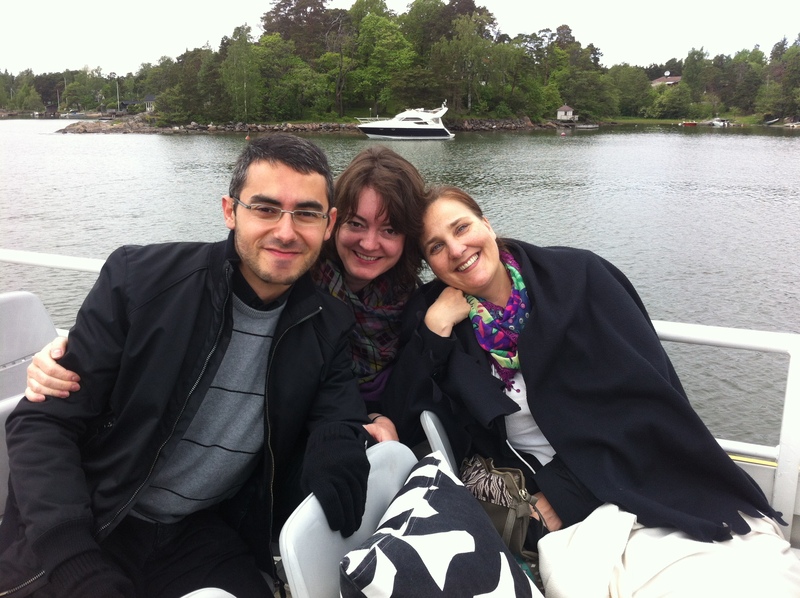 We have also intensive co-operation with many establisehed scholars from several different countries. 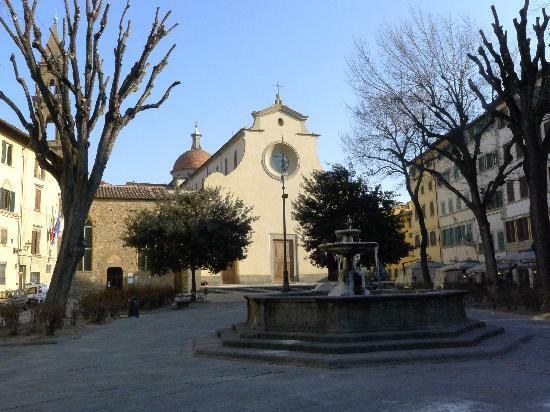 The main international partners of the project include Warwick and Glasgow University, UK, Jawaharlal Nehru University, Indian Council of Historical Research, Delhi, India and the Europe University in Florence, Italy. 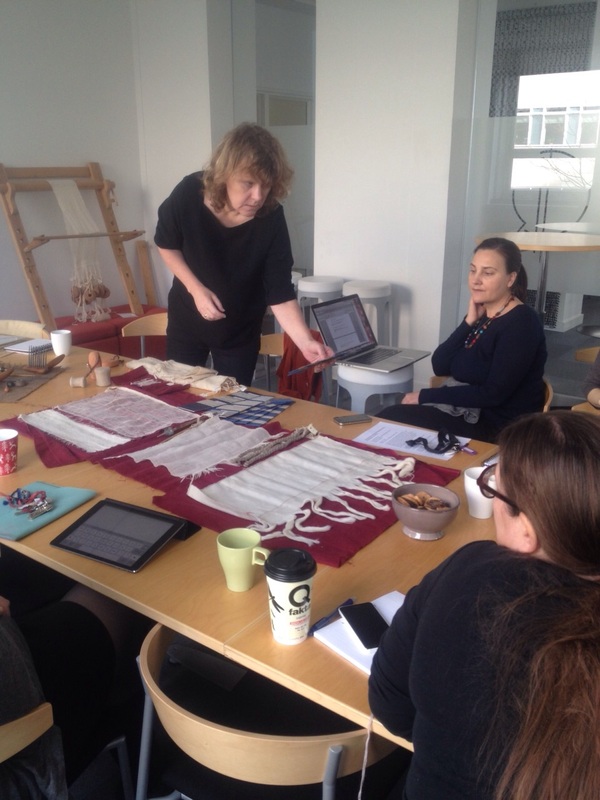 Our plan is in near future to organise brain-storming sessions and workshops that include both practical work on textiles as well as theoretical discussions about the production of wool, silk and linen and their uses and meanings in various social and cultural contexts. 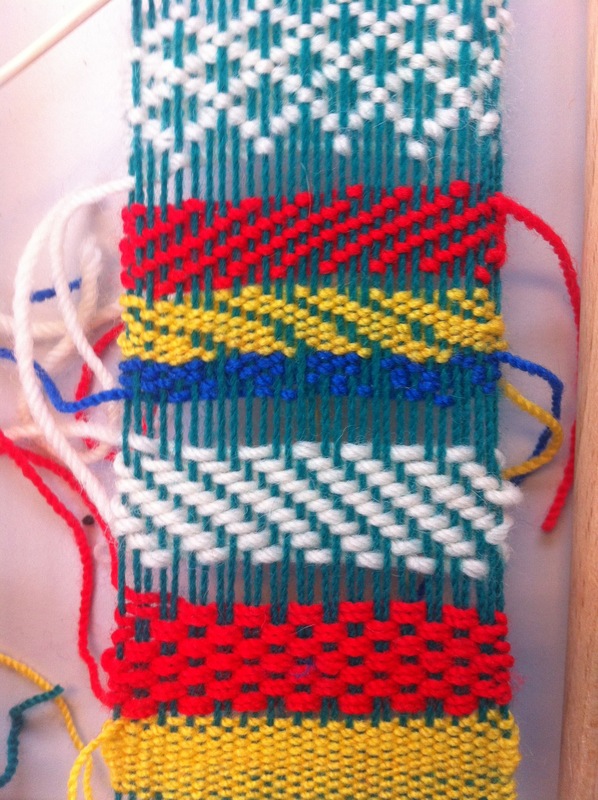 We are also planning a workshop in India in 2014, where a number of traditional crafts and textile techniques now lost to us are still preserved and practised. 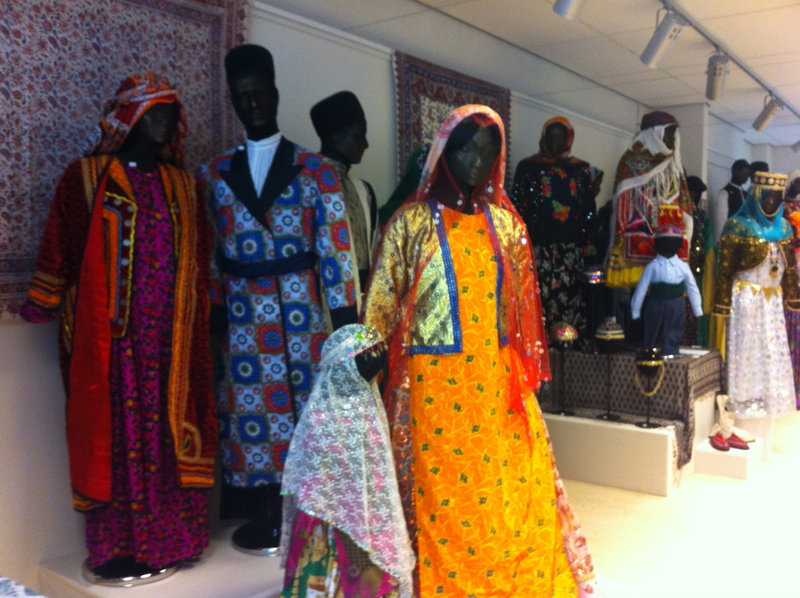 You can visit our webpage at: http://ctr.hum.ku.dk/costumes_clothing_consumption_culture. Please leave your comments if you have any great ideas or if you’d like to keep posted on our activities! 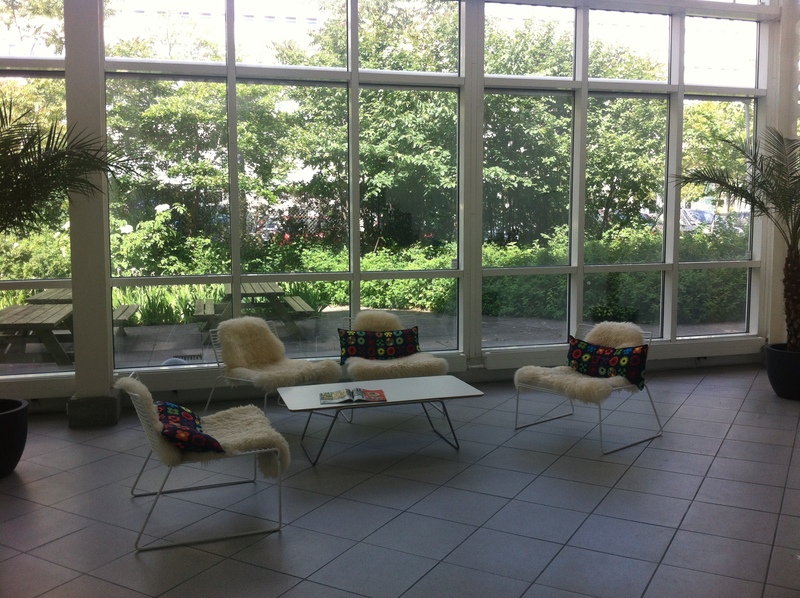 Starting work at the Centre for Textile research! 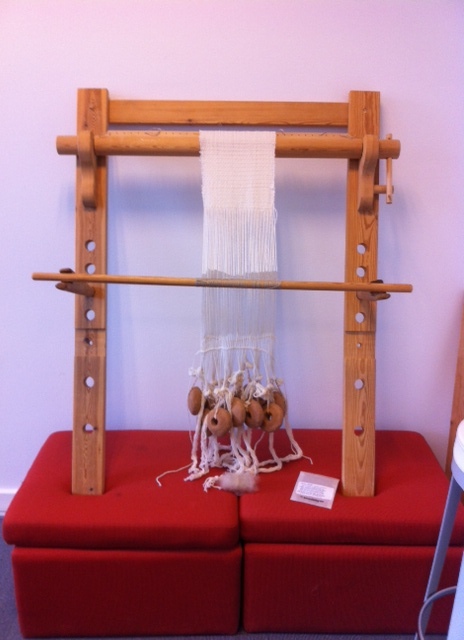 The University of Copenhagen’s Amager campus has been under major construction and the Centre for Textile Research had just been moved to new, beautiful modern premises. 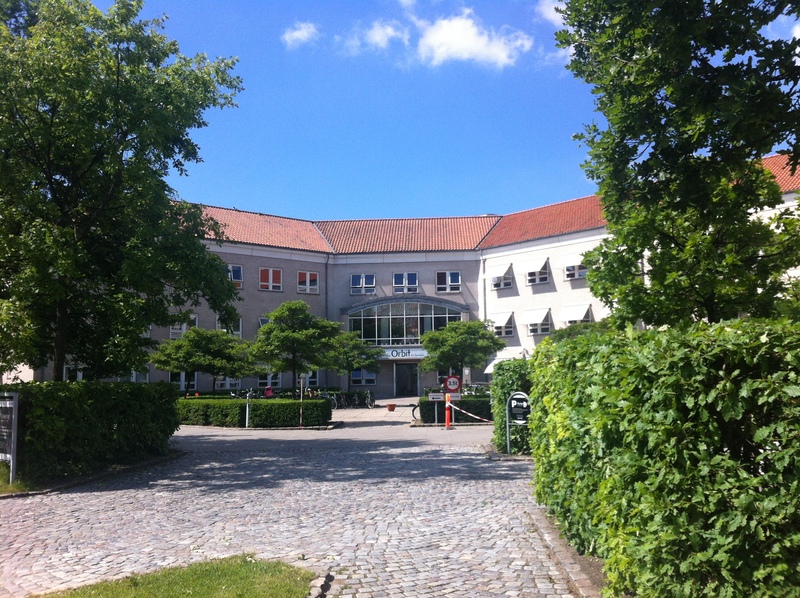 Settling to the new university in a foreign country was sometimes hard work but the large community of researhcers and students at the CTR was extremely welcoming. 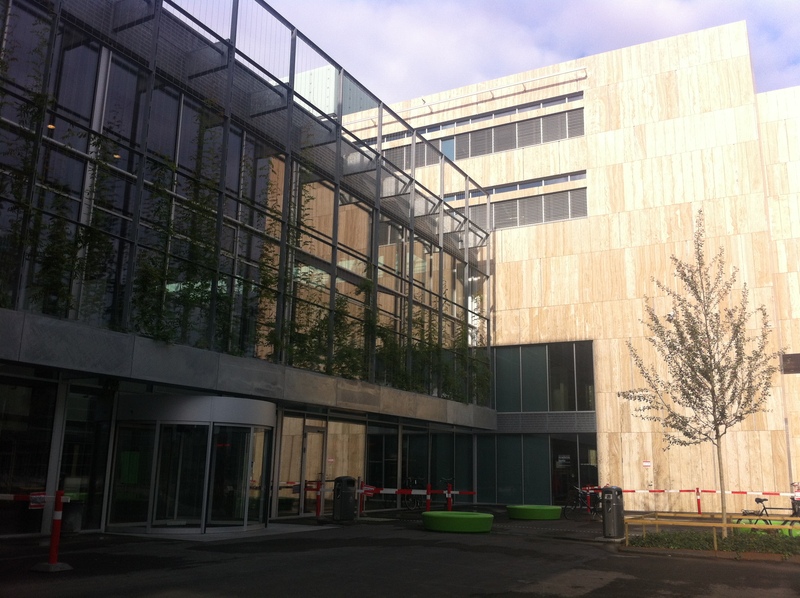 The Centre is run by Prof. Marie-Louise Nosch and it hosts a large number of international researchers, from Europe, United States and India. 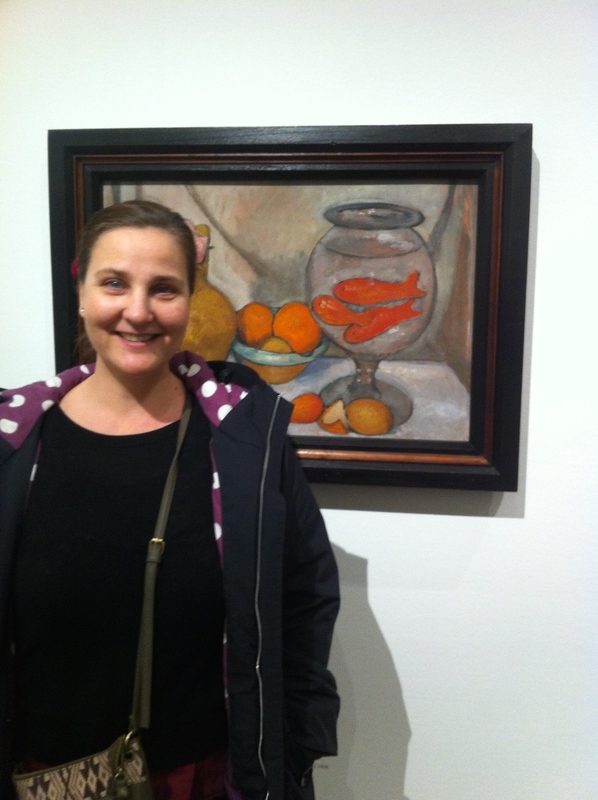 I was also immediately introduced to my own, very sweet reserach assistant, Julie Bjørg Raith, who will help us run our new Research Programme titled ‘Clohting, Costumes, Clothing, Consumption, and Culture’ (CCCC), which I am co-directing with the head curator of textiles and fashion at the National Museum, Denmark, Dr. Mikkel Venborg Pedersen. 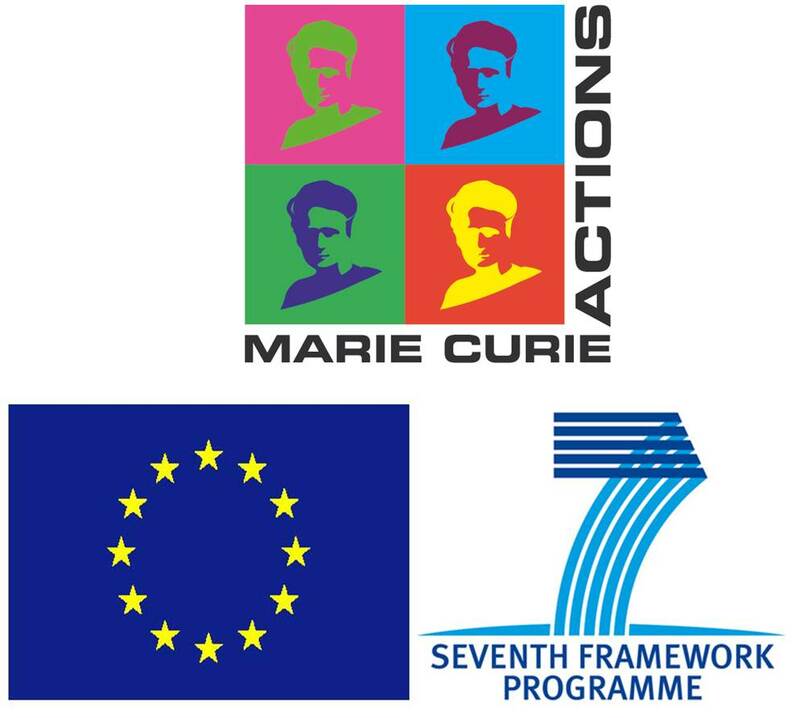 We are expecting five more Marie Curie researchers at the CTR this Autumn so it will an excting period of two years! 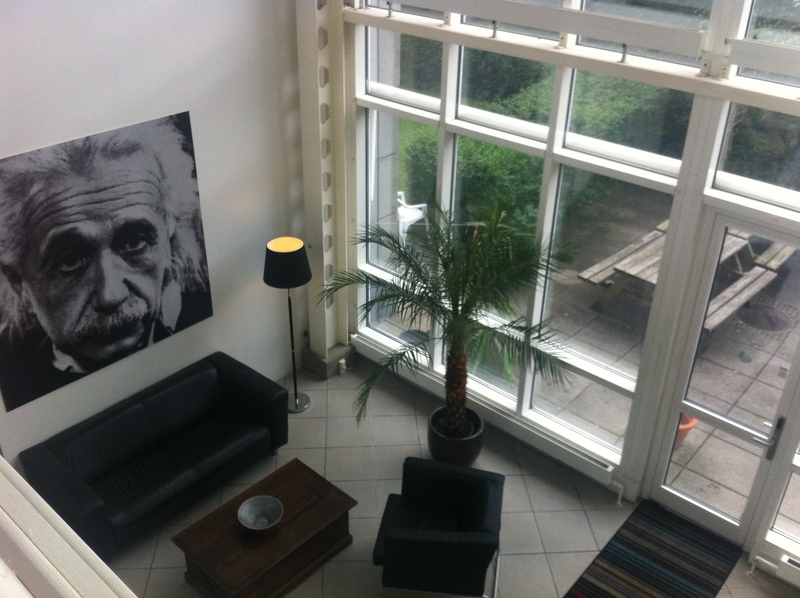 This is a truly inspiring environemnt to start a new research project, I am very excited! 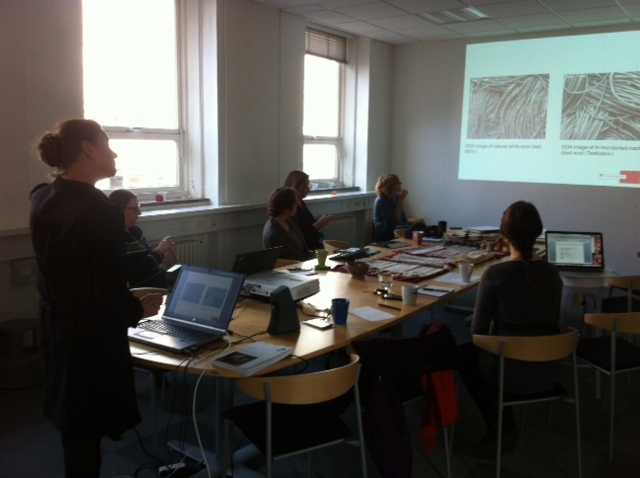 You can visit the Centre for Textile Research webpages at: http://ctr.hum.ku.dk/ or find them on Facebook! 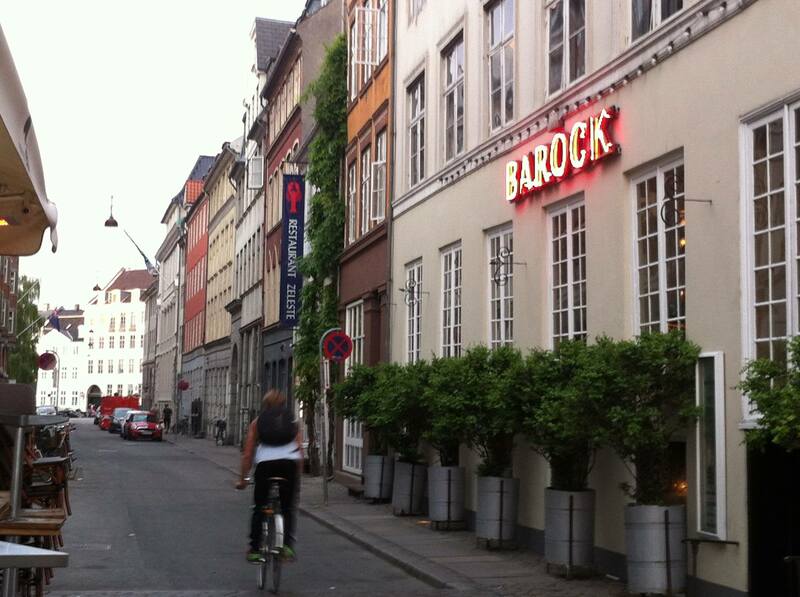 My exciting research period in Copenhagen started on March 1, 2013. I found a beautiful one-bedroom flat at Blågårds Plads in the vibrant district of Nørrebro, about 10 minutes walk from the busy train station Nørreport (though I soon discovered that for Danish people everything in Copenhagen is always 10 minutes away!). Alhtough the locals told me that the neighbourhood, and in particular my home square had a bad reputation, I really enjoy the lively, bohemian and multi-cultural neighbourhood life, with small cafes, live jazz music, bars and wonderful street vegetable stalls! Love it! 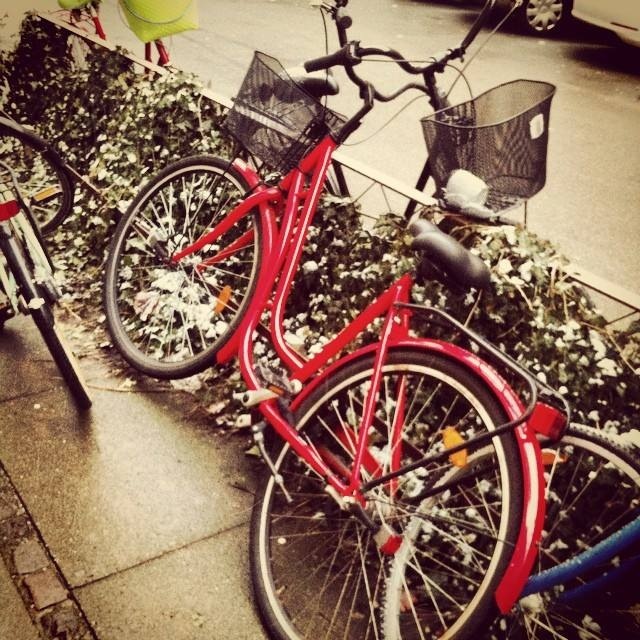 In Copenhagen, everyone needs a bike! 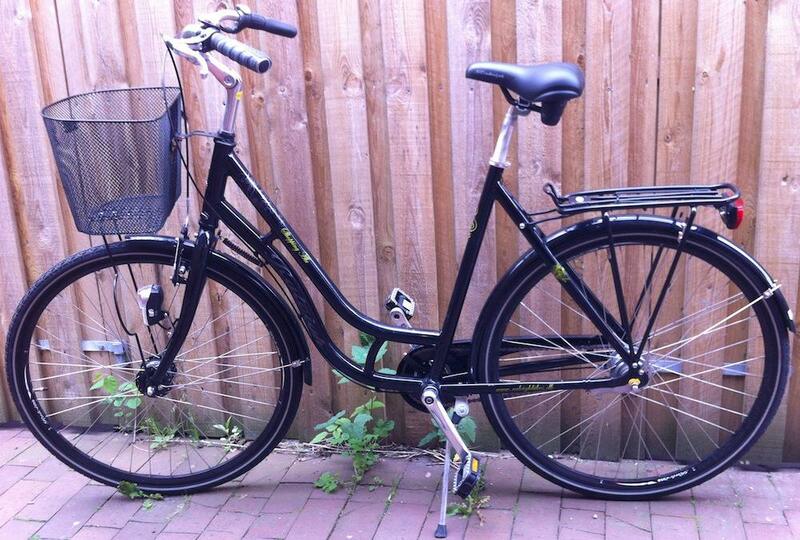 This bike was love at first sight and I could immediately see myself cycling on it in a Copenhagen style, the front basket stuffed with flower buckets, organic food and, of course, a couple bottles of Carlsberg beer! 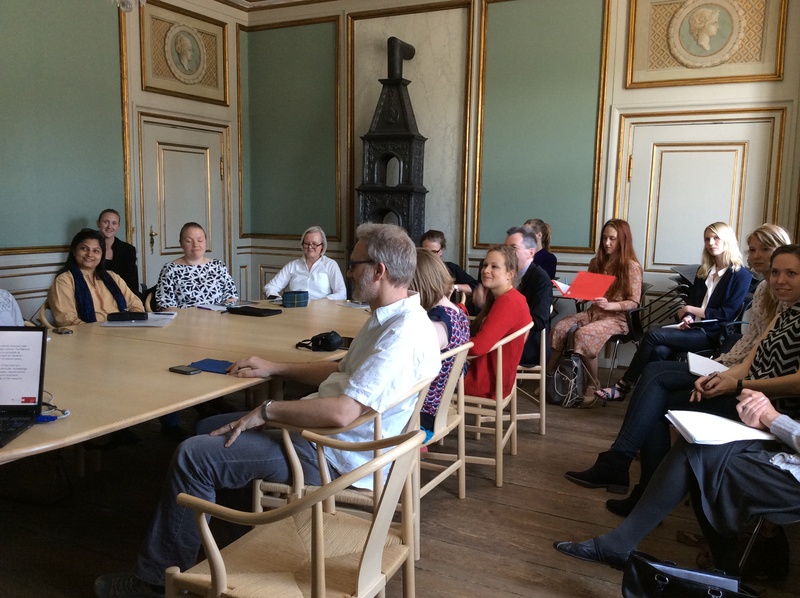 By the way, did you know that the Carlsberg Foundation is one of the major funders of historical reserach in Denmark? Like a proper tourist, I started my stay in Copenhagen with sightseeing in the city. 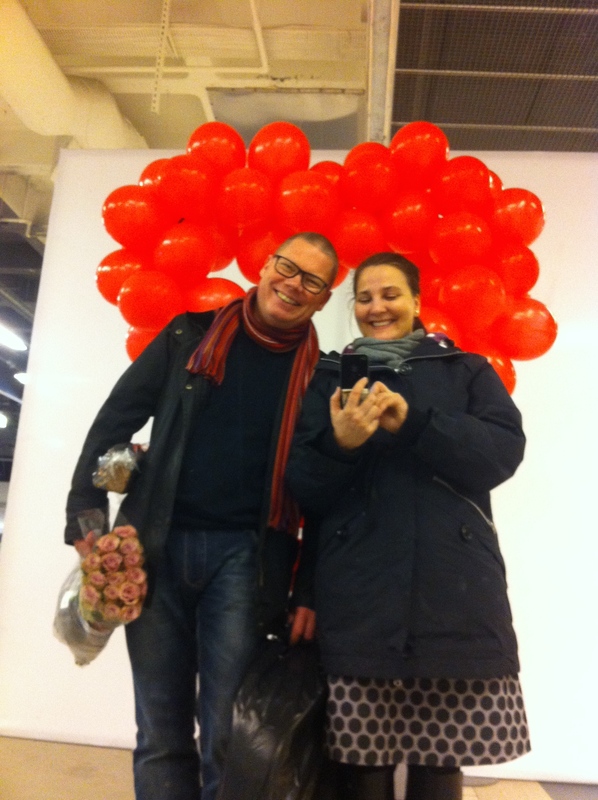 I was accompanied by my daughter Venla, a trendy 20-year old jazz singer and graphic design student, who loves are, good food and art. Cruising on the canal boat, passing by the newly built Opera House on Holmen, the incredibly famous Little Mermaid and the new library buliding known as ‘Black Diamond’, we got a sense of Copenhagen’s charm. One of the most famous locations in the city is Nyhavn, the small harbour area sided by a row of colourful and picturesque building from the 1700s. The famous writer H. C. Andersen wrote his first fairy tale in the house number 20 down the harbour in 1835. 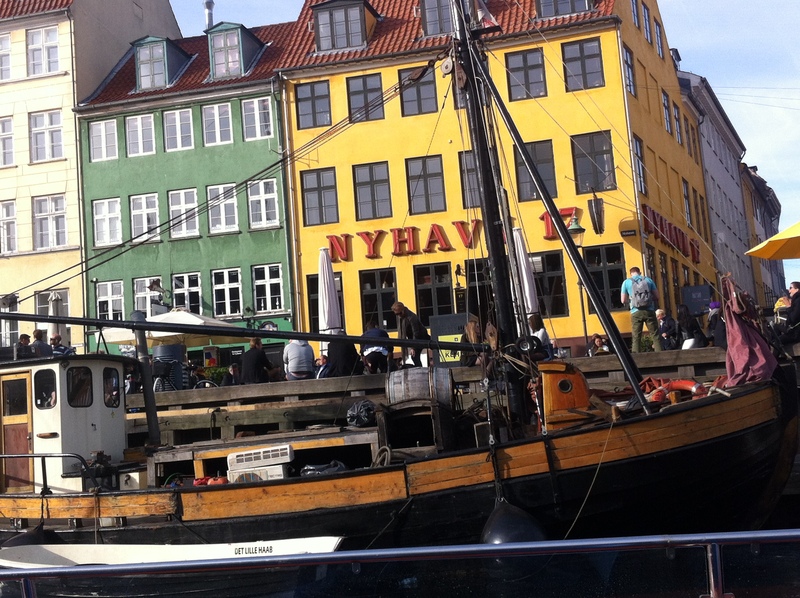 Today, Nyhavn is filled with bars and cafes that offer a variety of drinks and the famous Danish Smørrebrød. 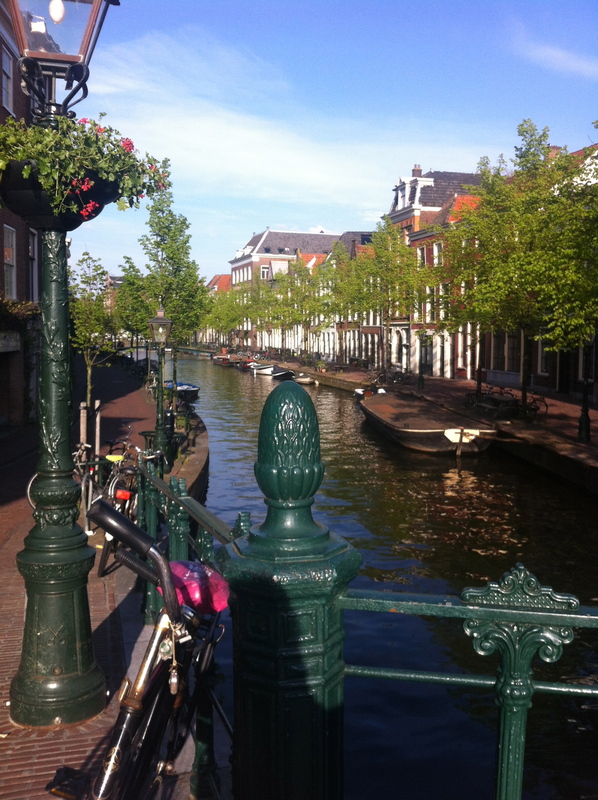 We soon discovered that people here are really friendly and relaxed. They seem to enjoy their life. 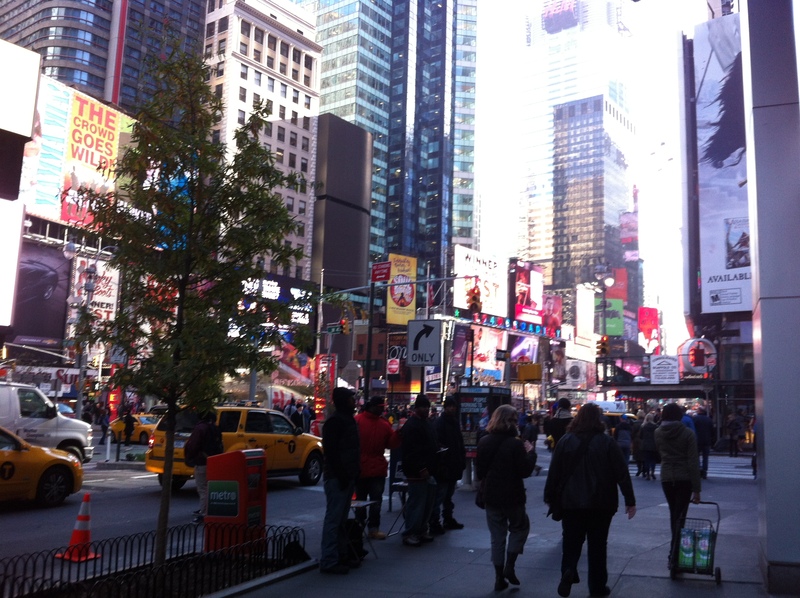 Below, the city’s inhabitants are enjoying the lunch hour in front of the Black Diamond. We also discovered some great restaurants. 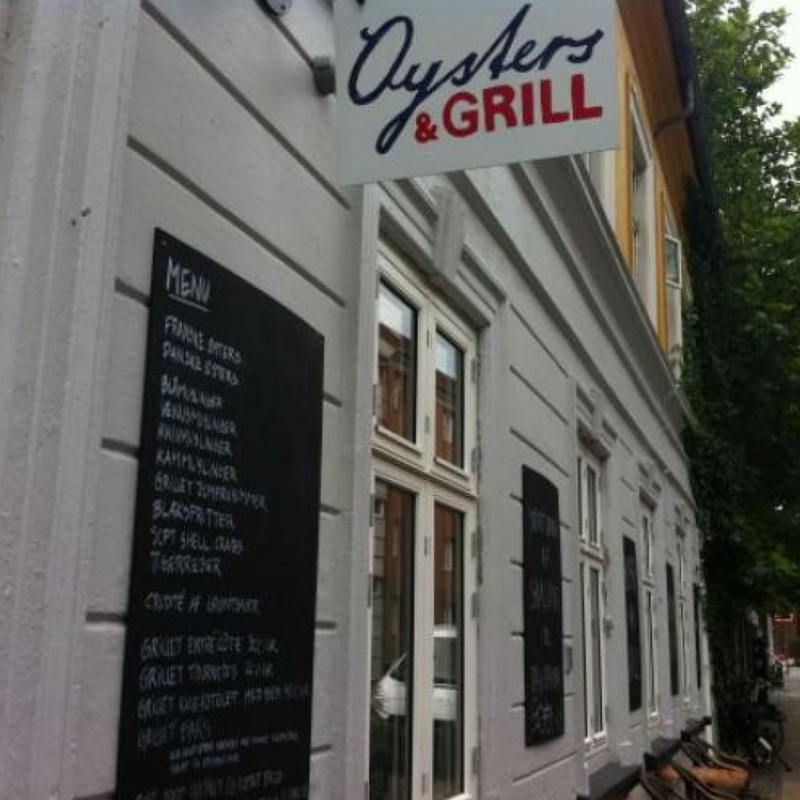 The Oyster & Grill near our place on Sjællandsgade in Nørrebro soon became our favourite. 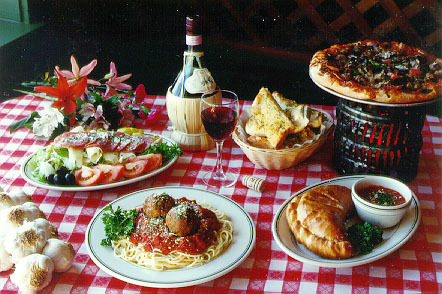 The place offers great steaks, beuatiful seafood platters and delicious home-made Italian bread in an informal setting, made up of small tables that are laid out with colourful tablecloths and candles. 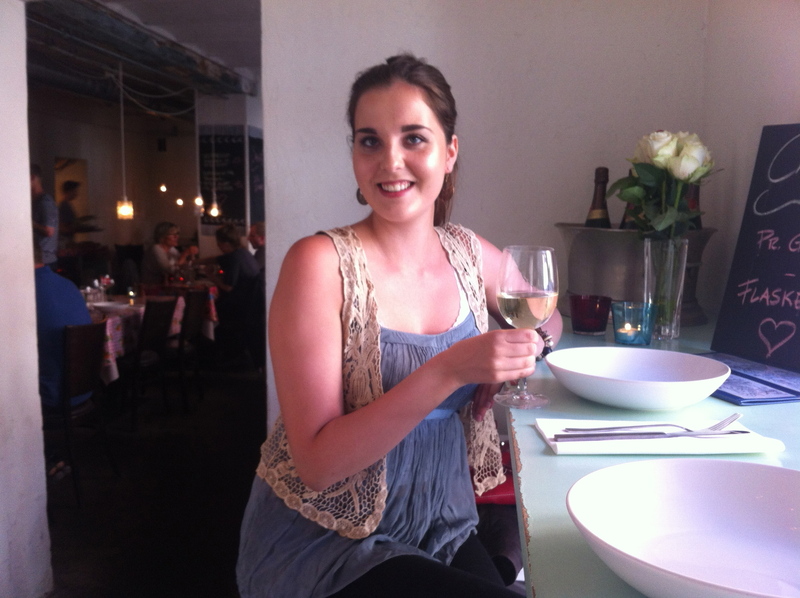 At our first visit, we stayed at the front bar and ordered a big platter of fresh mussels, prepared in parsley sauce, with a nice glass of white wine! Here is my daughter Venla. I recommend you book a table because the place is always full!